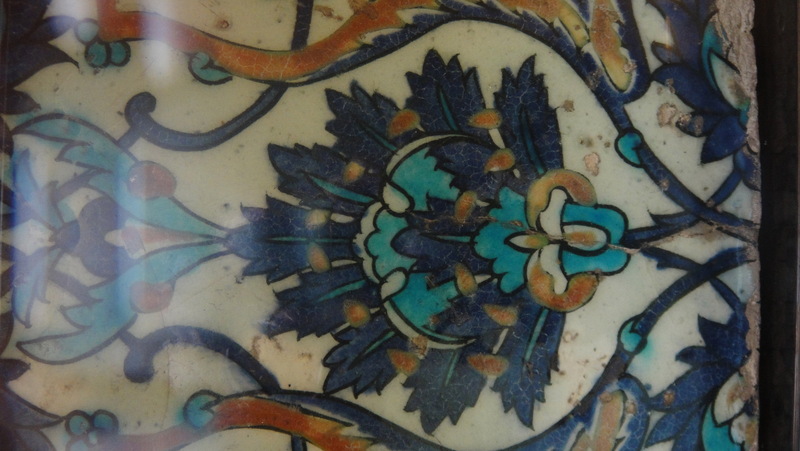 Two days spent with artists in Kutahya who are trying to revive the great art of Iznik pottery teaches you mainly one thing: how difficult the technique is. 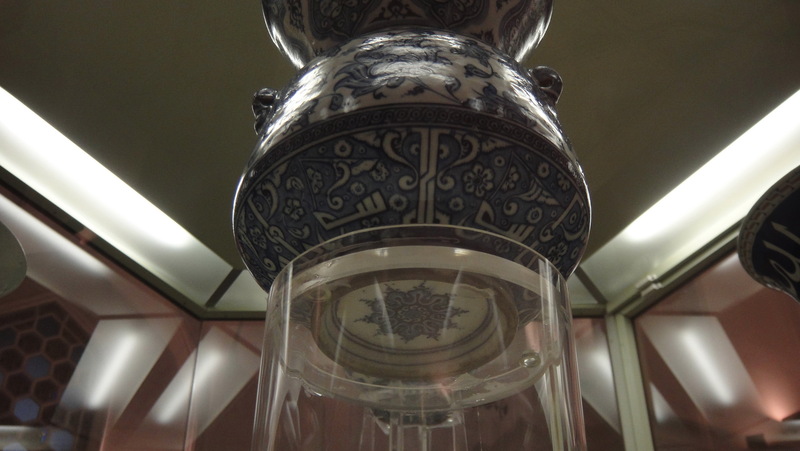 The art of making quartz pottery has been lost. 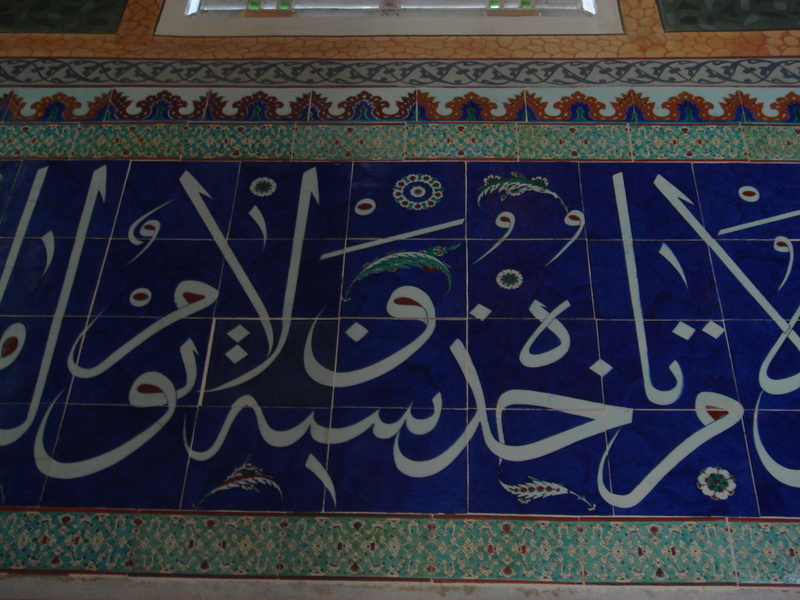 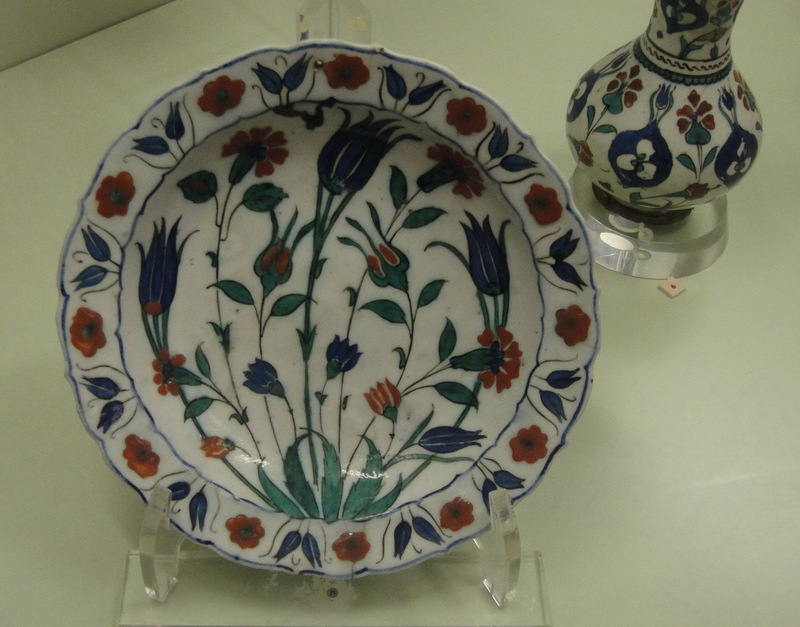 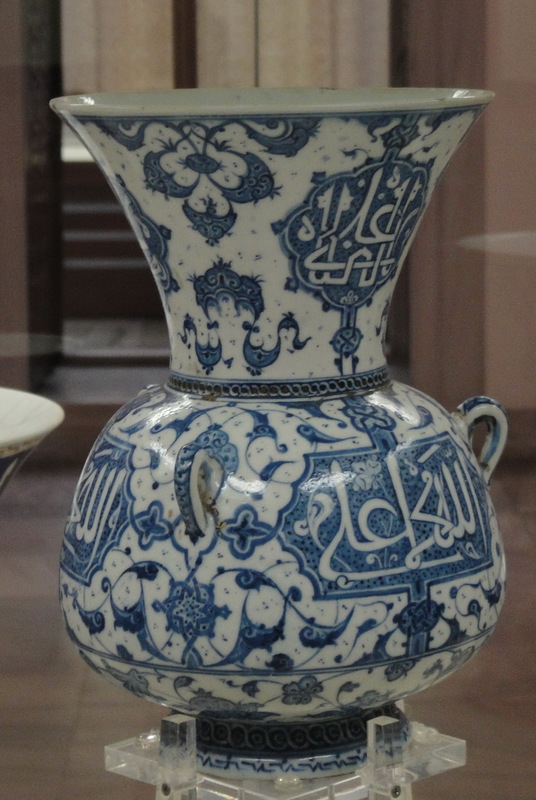 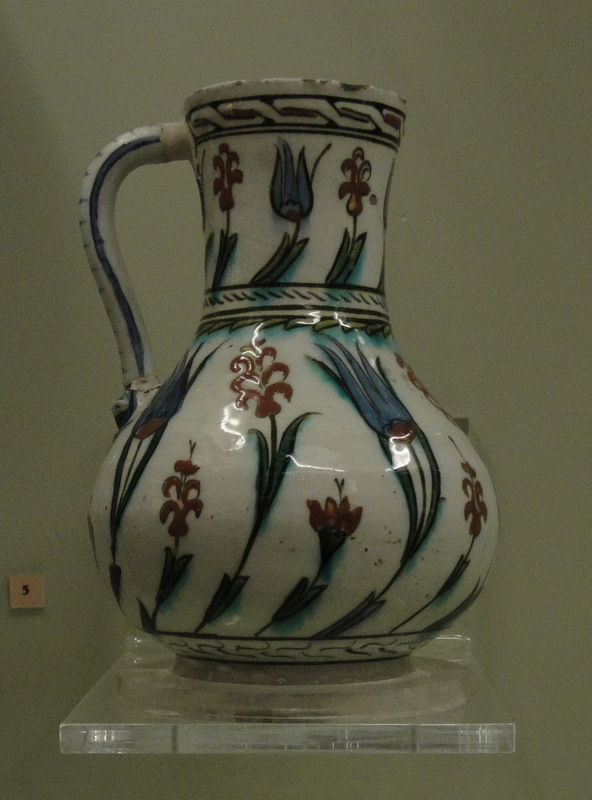 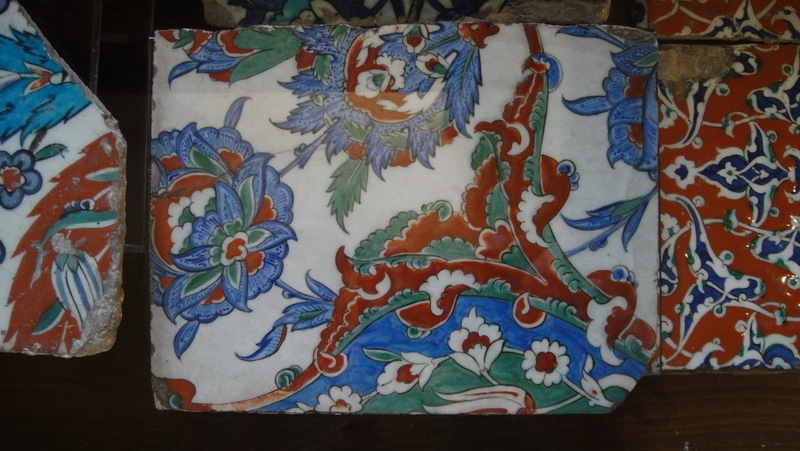 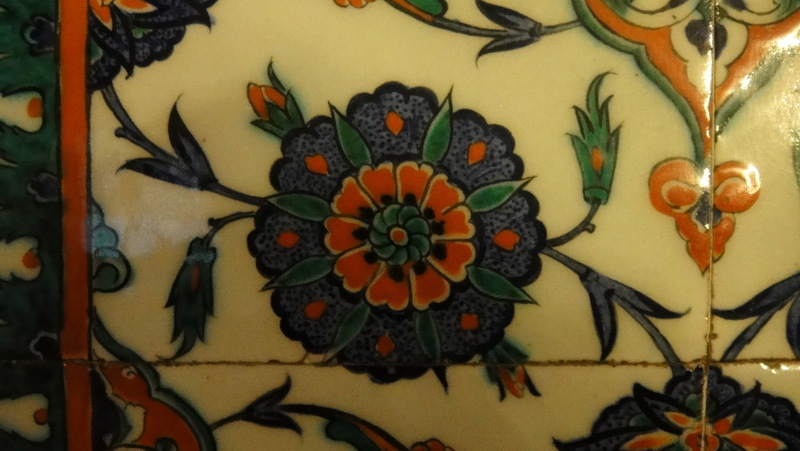 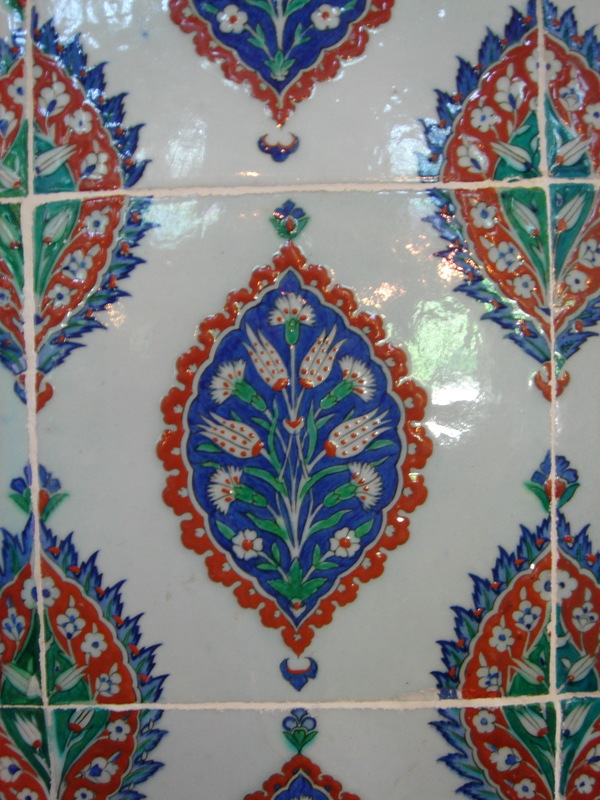 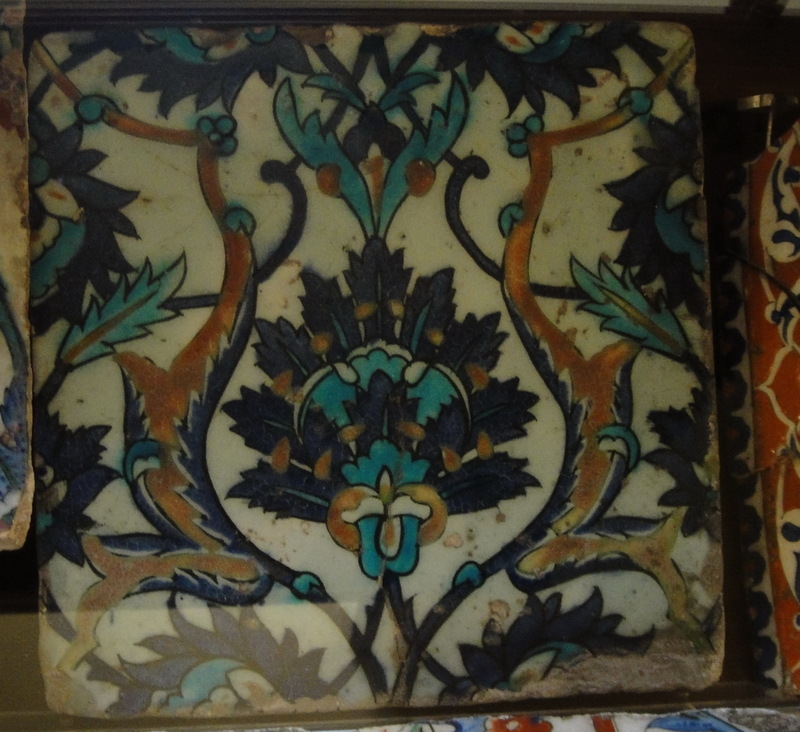 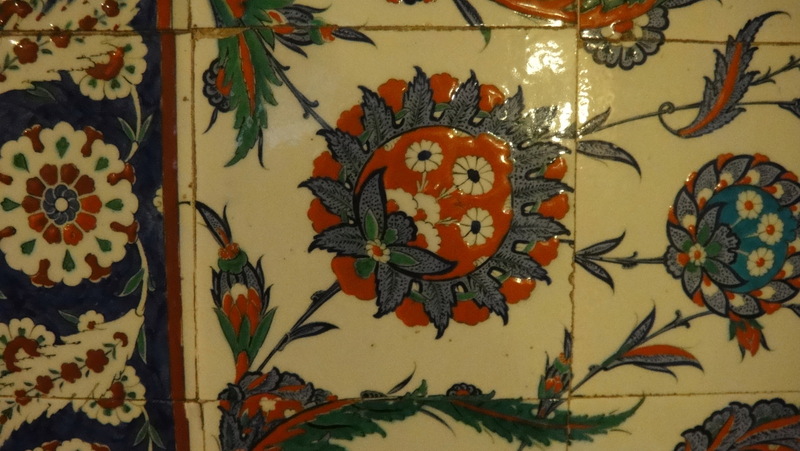 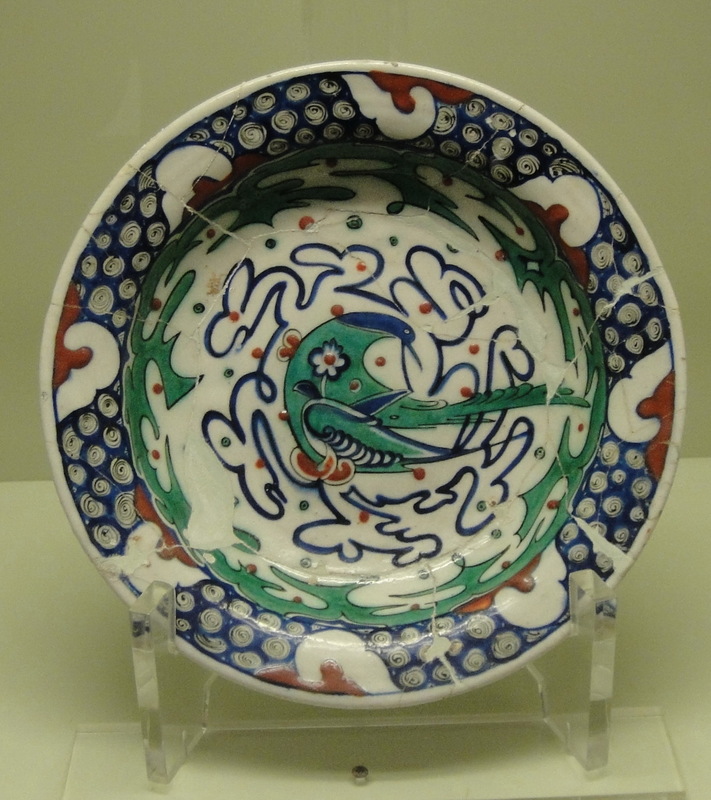 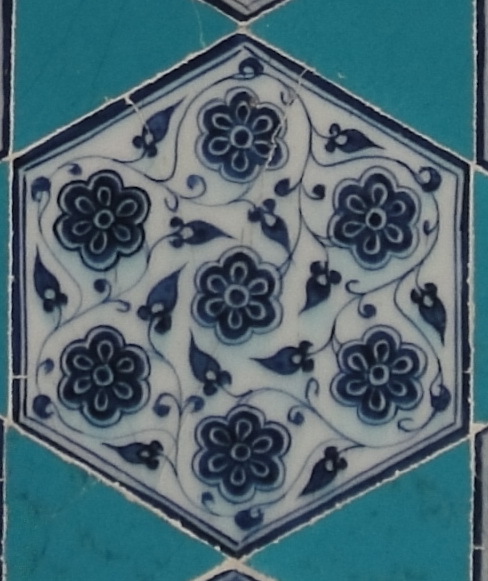 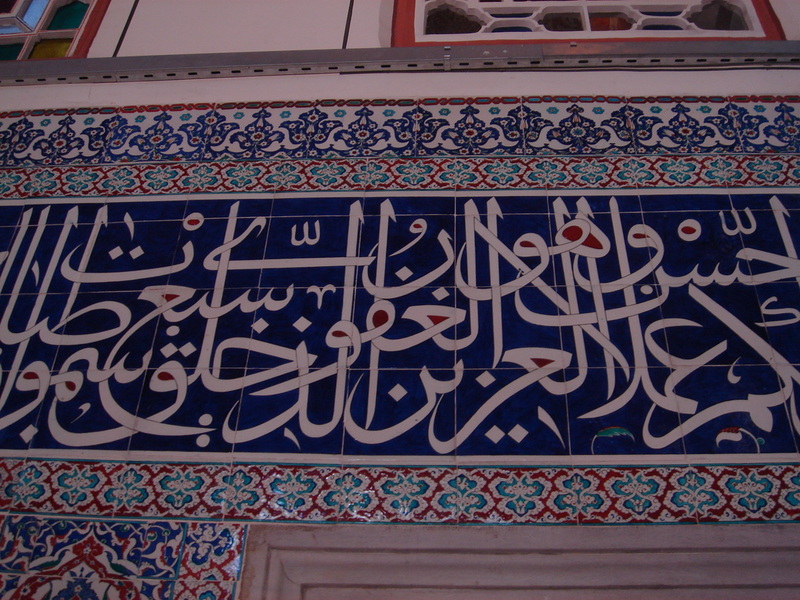 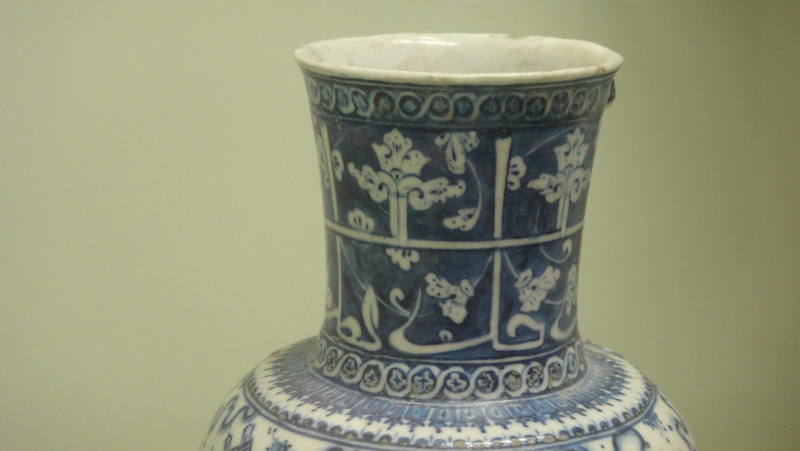 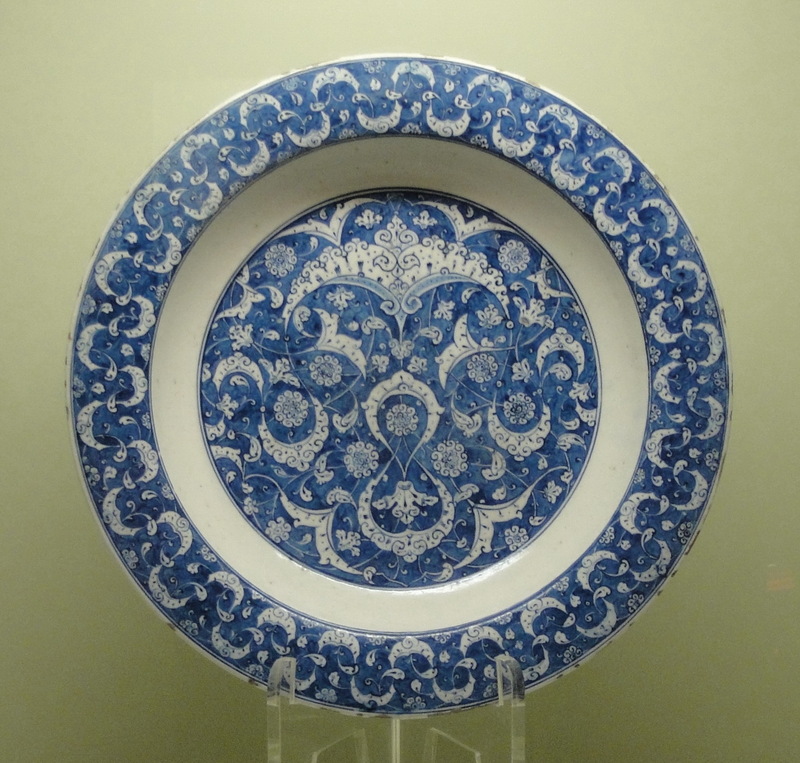 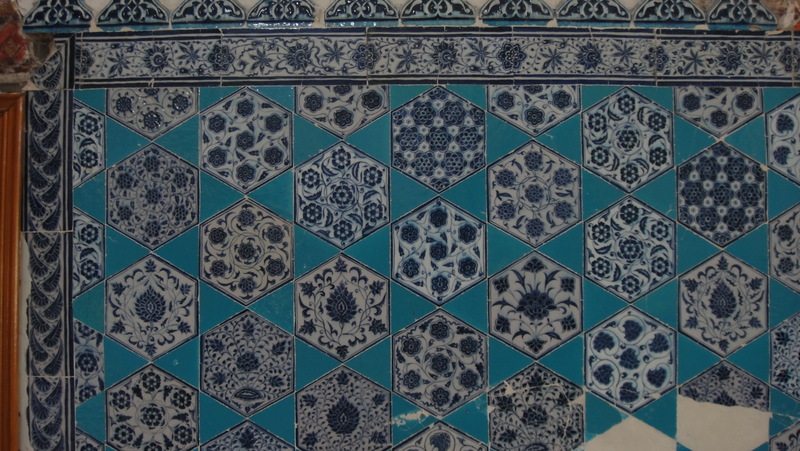 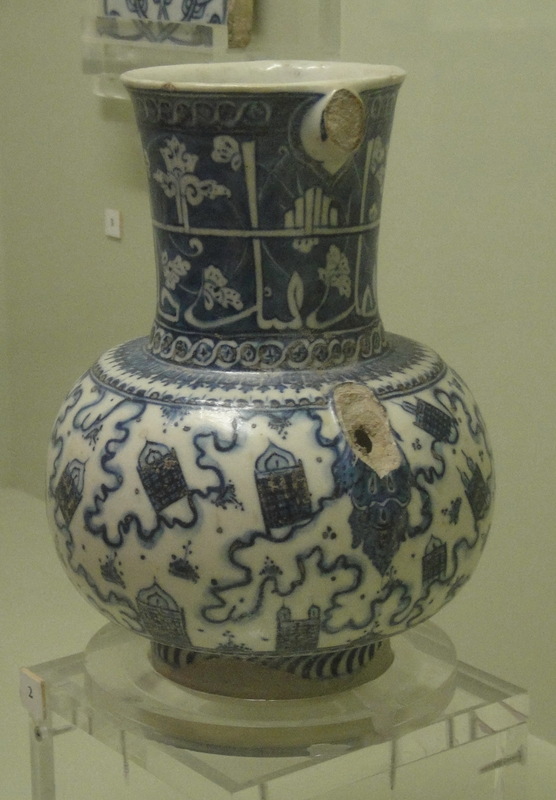 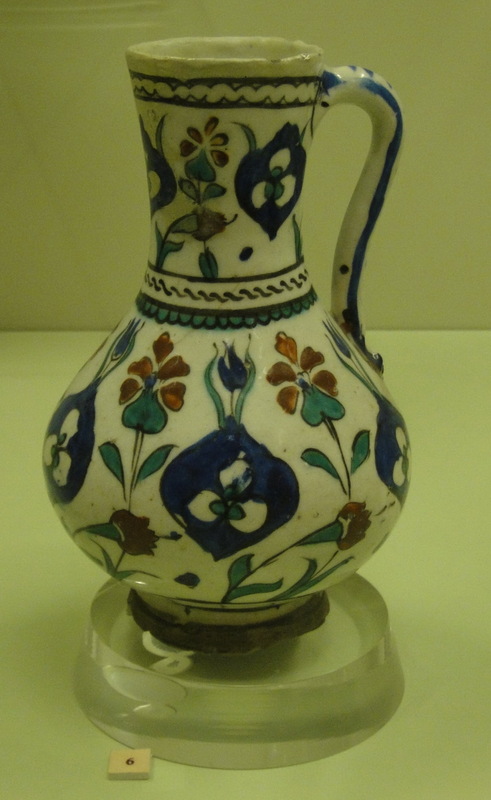 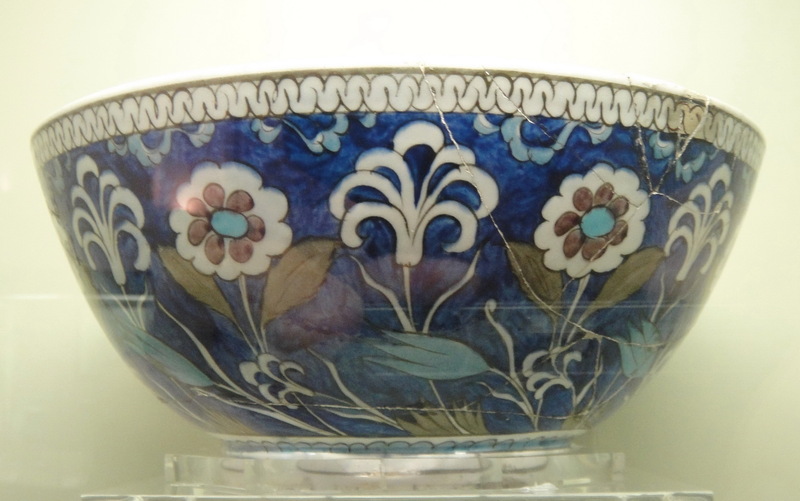 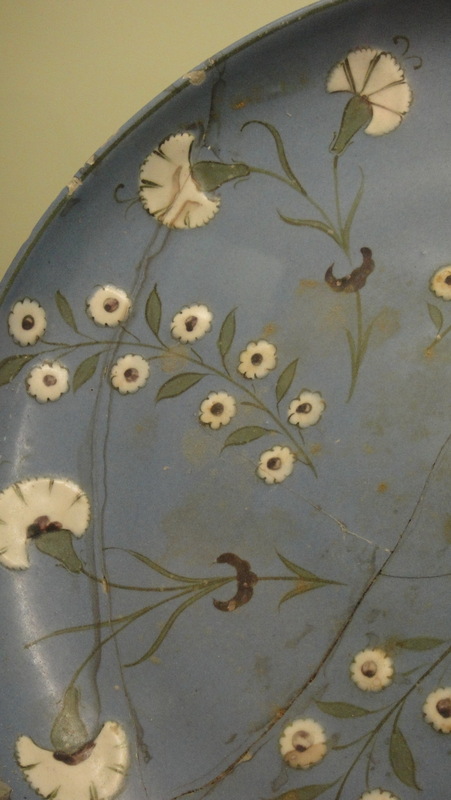 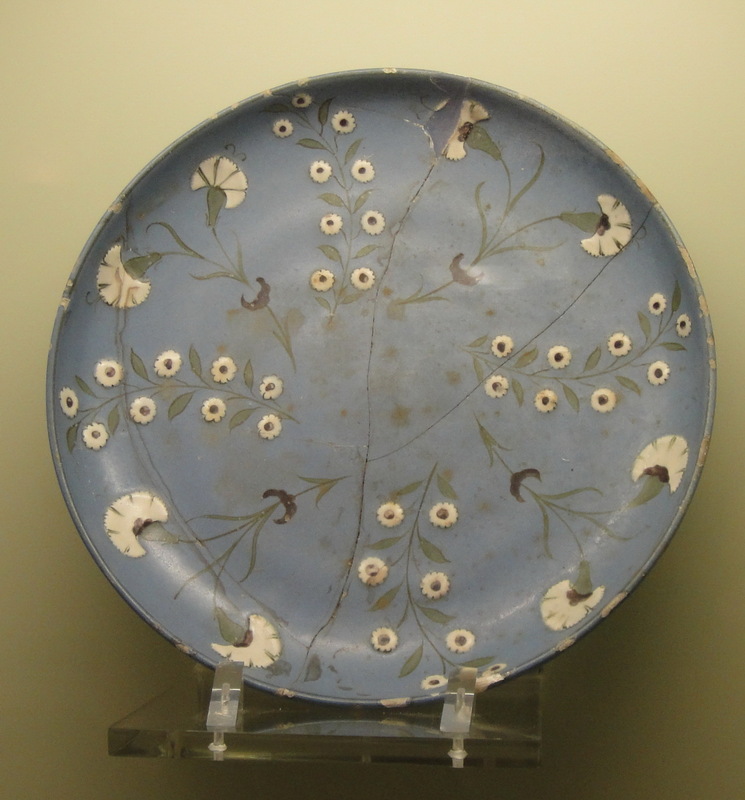 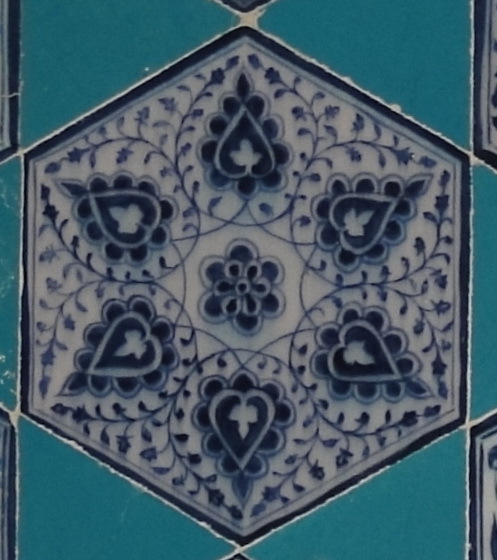 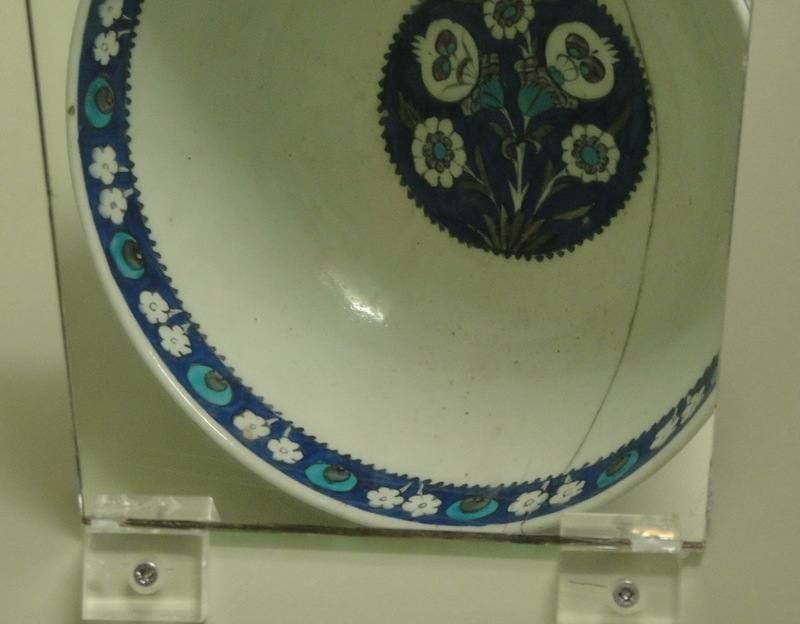 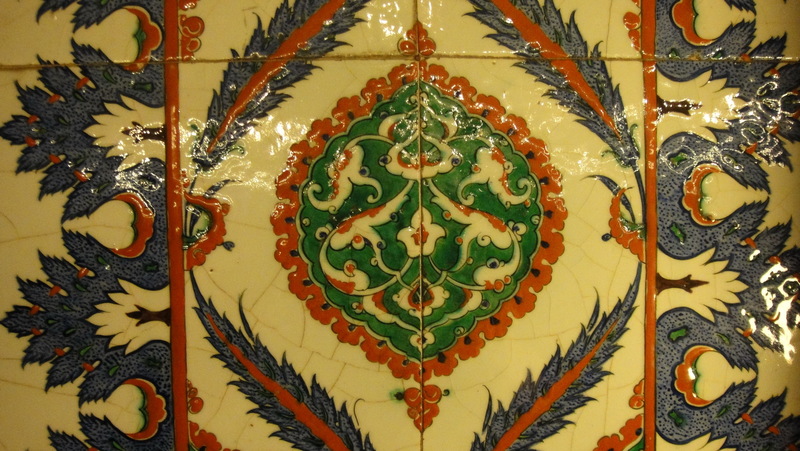 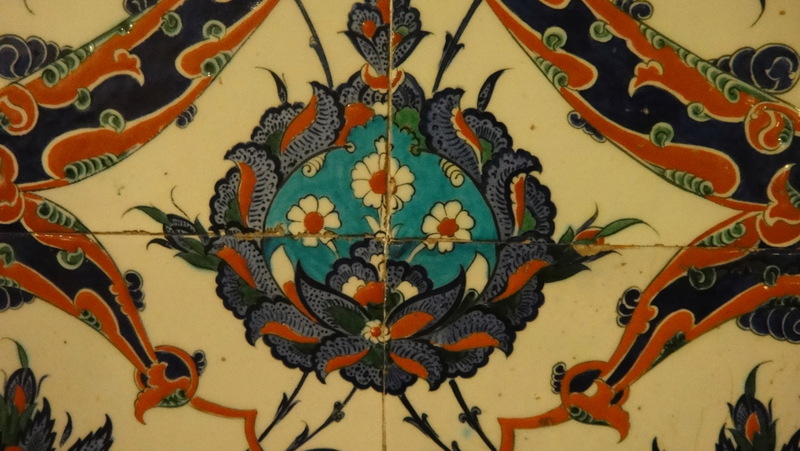 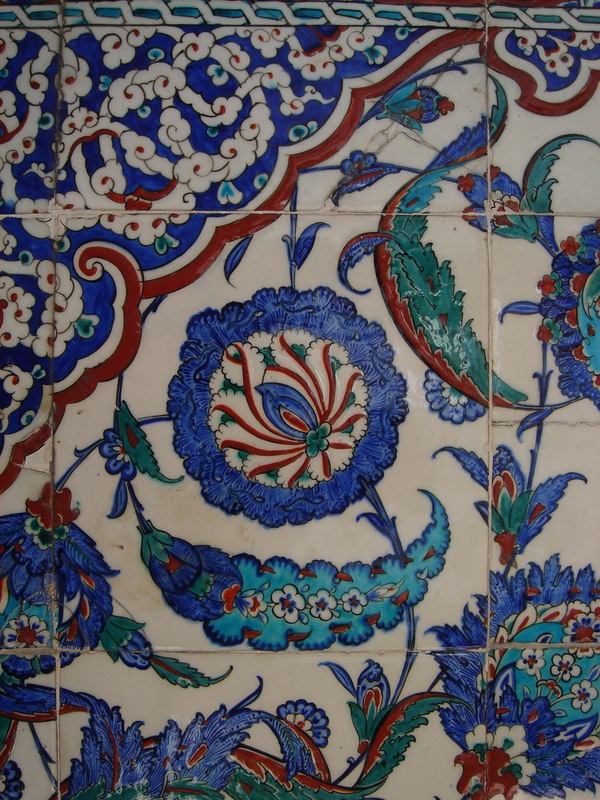 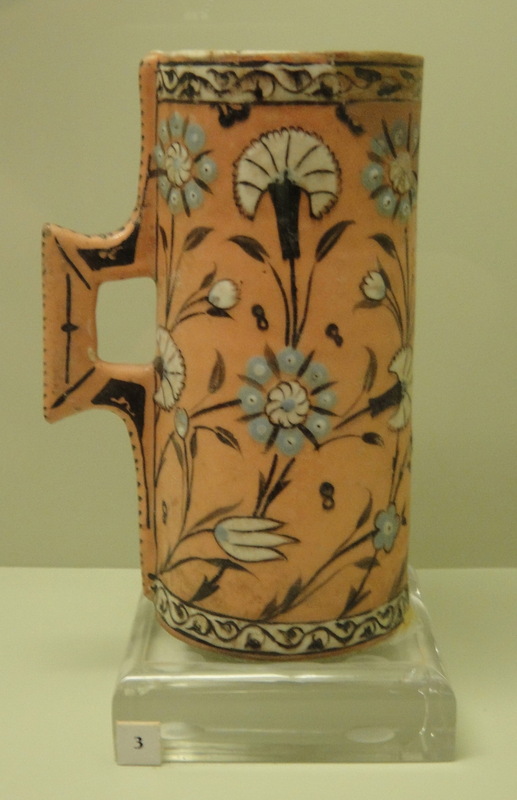 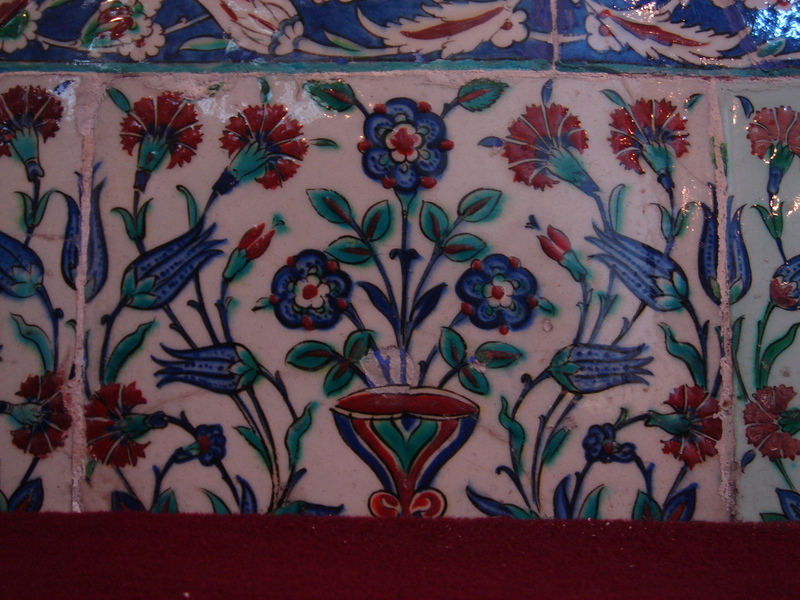 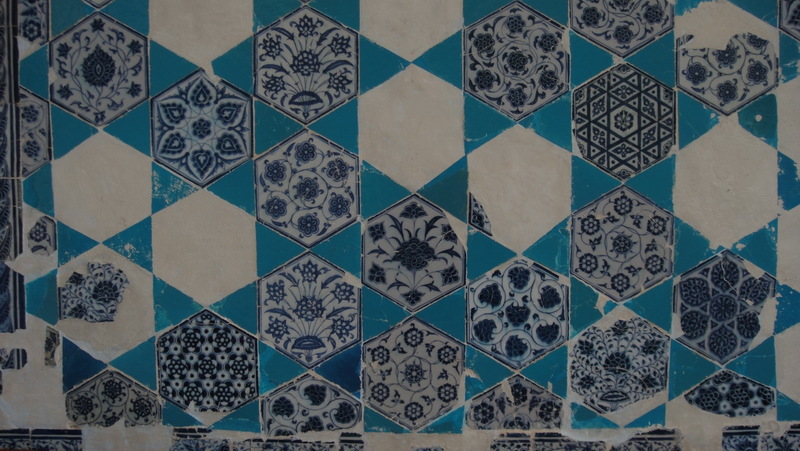 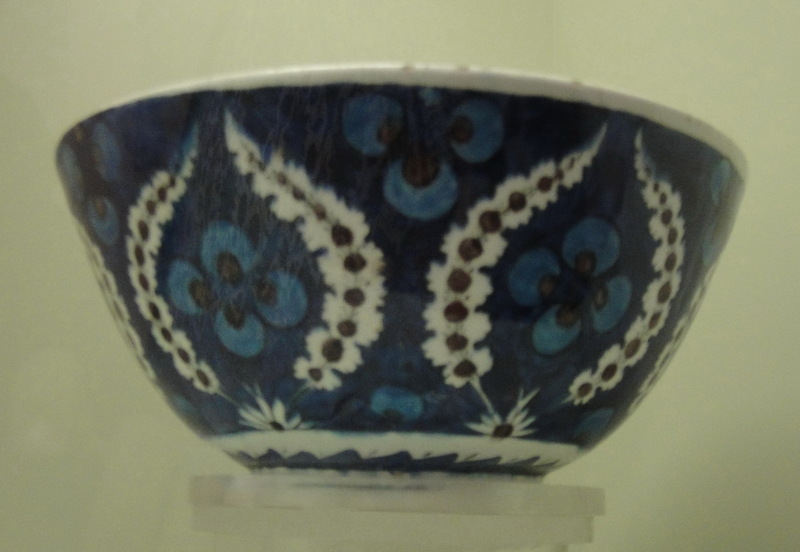 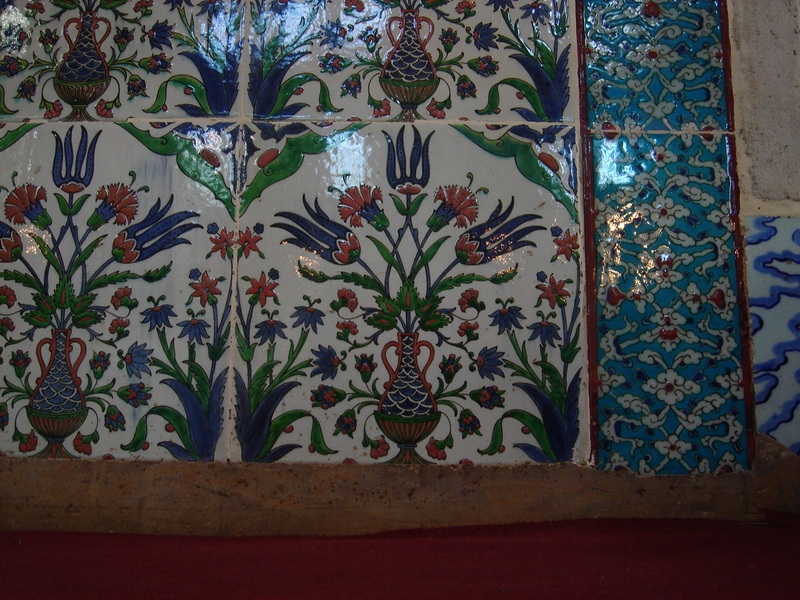 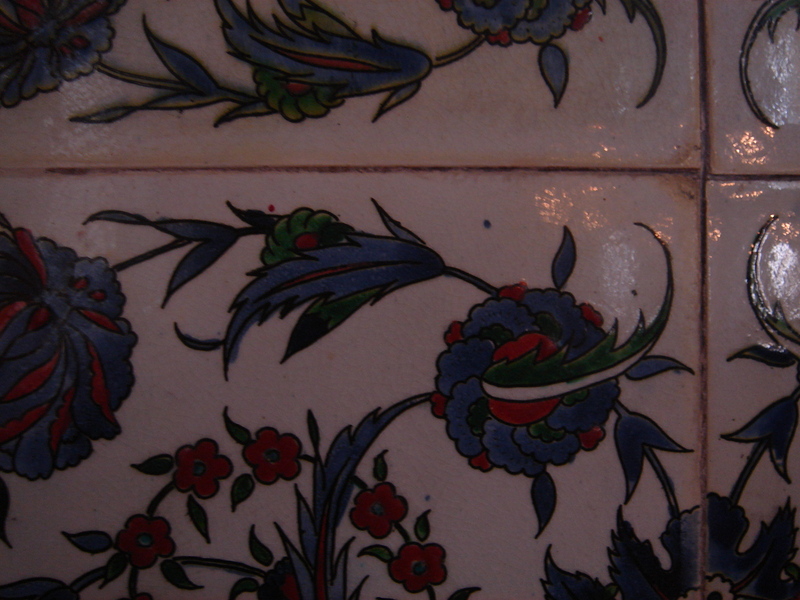 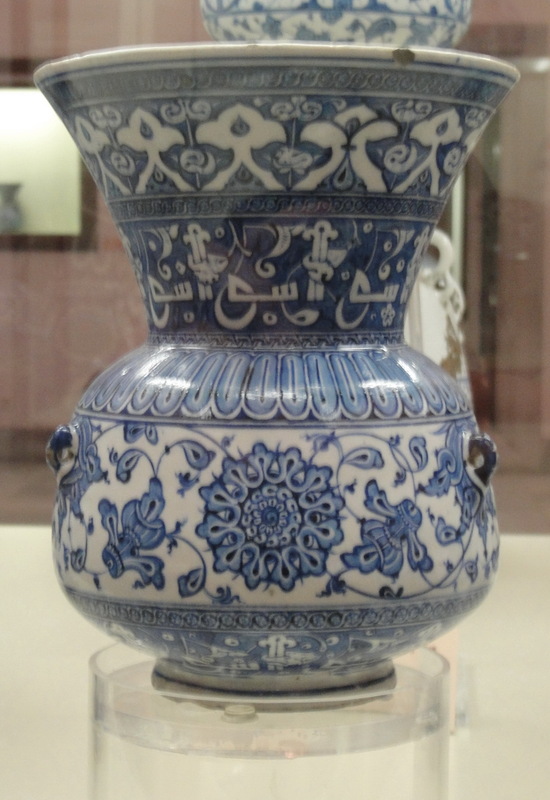 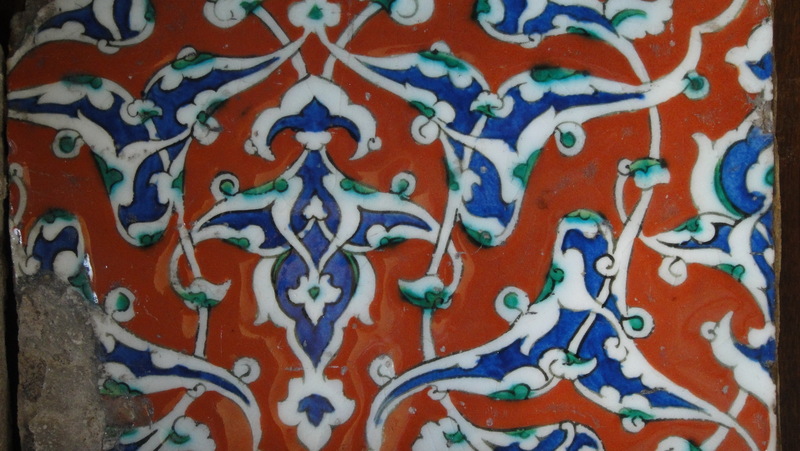 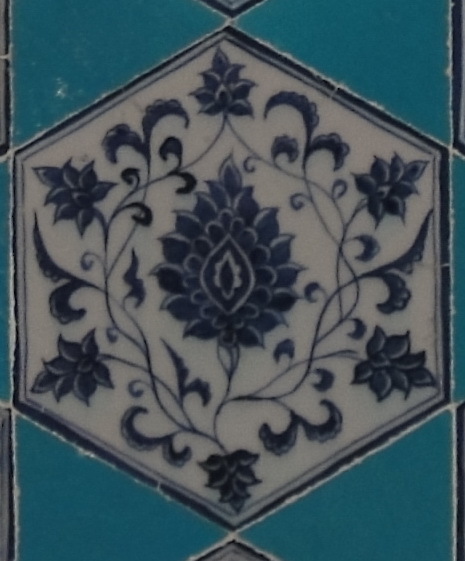 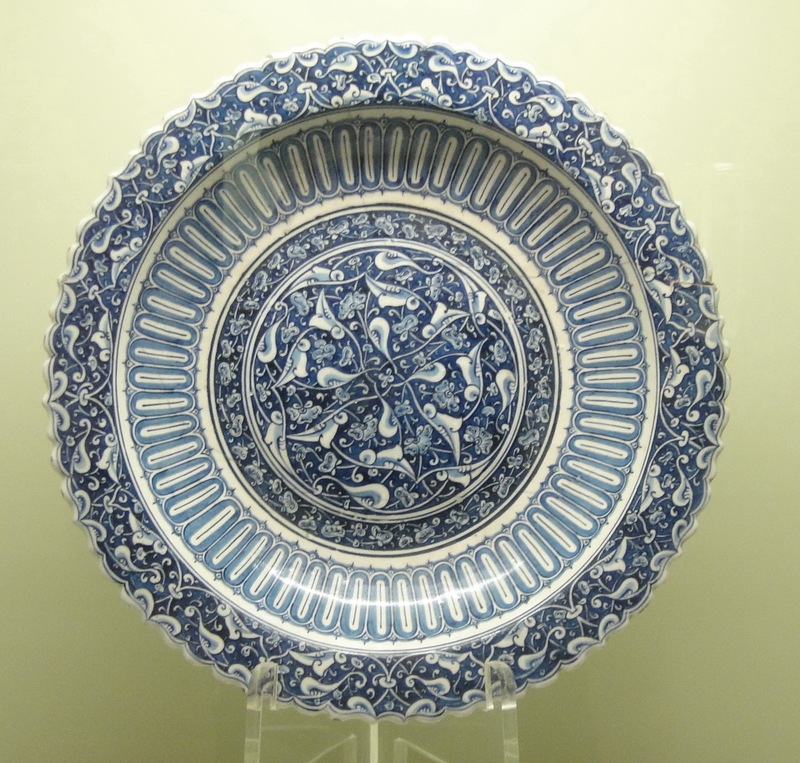 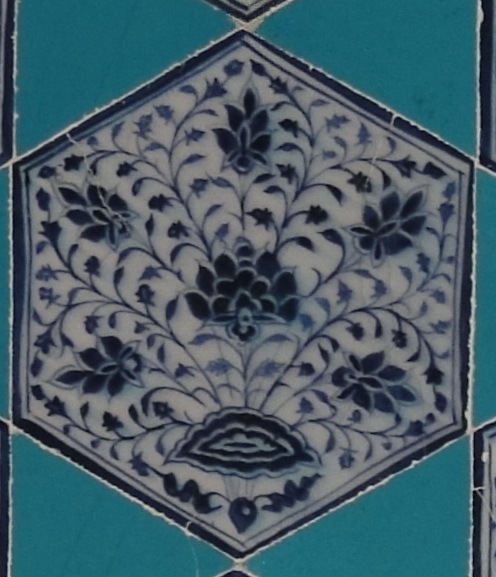 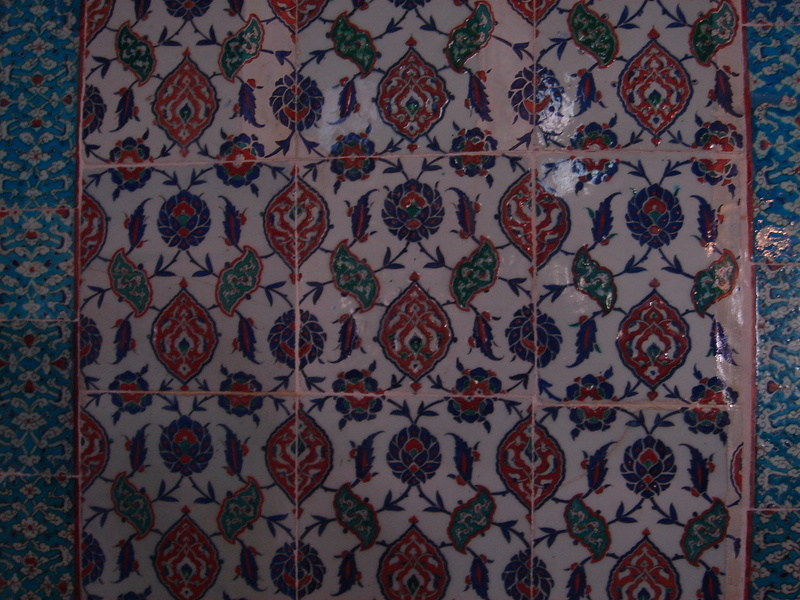 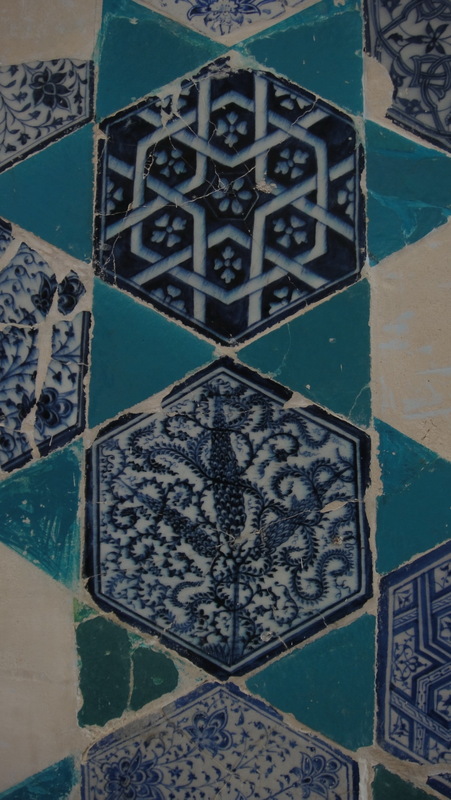 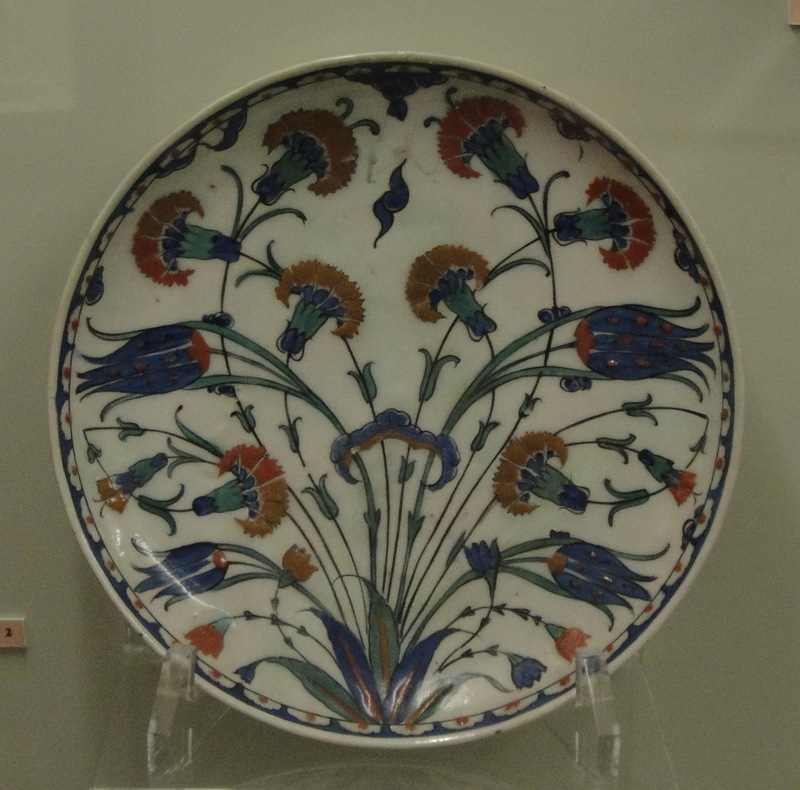 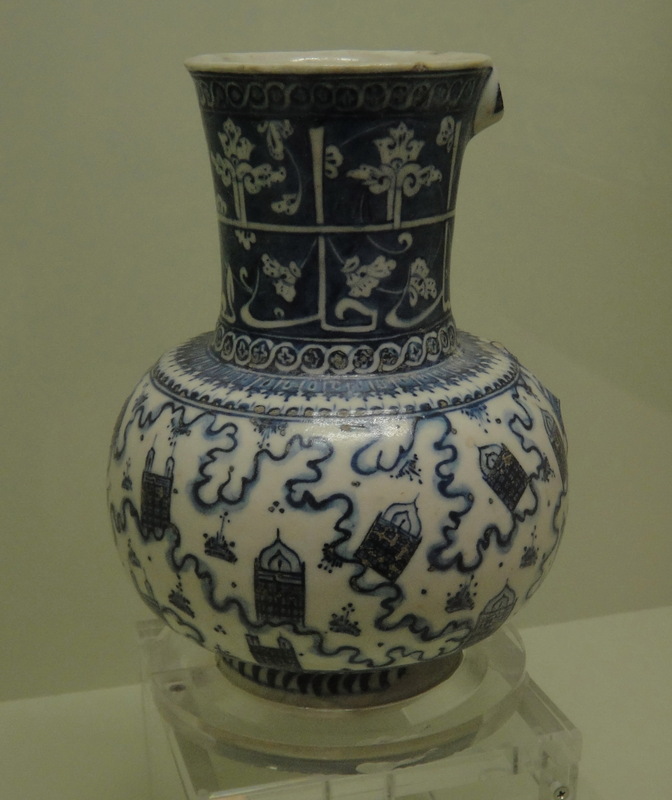 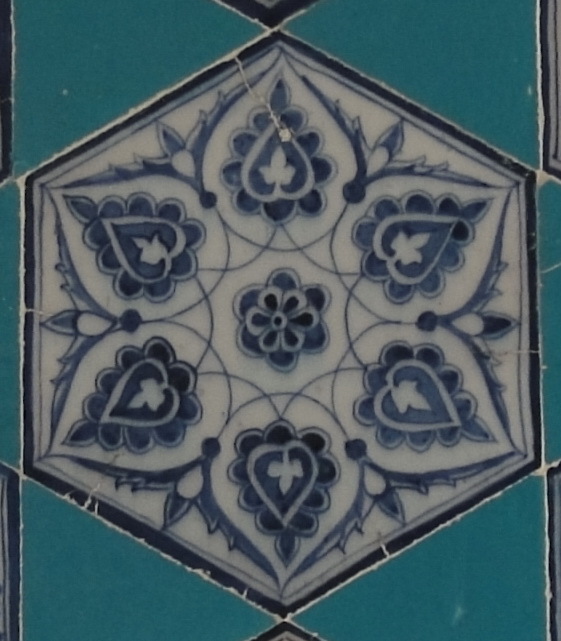 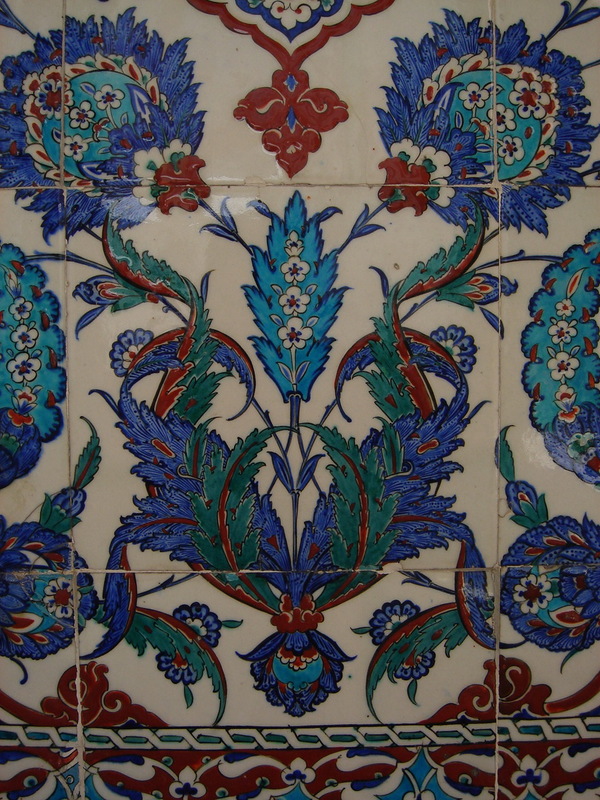 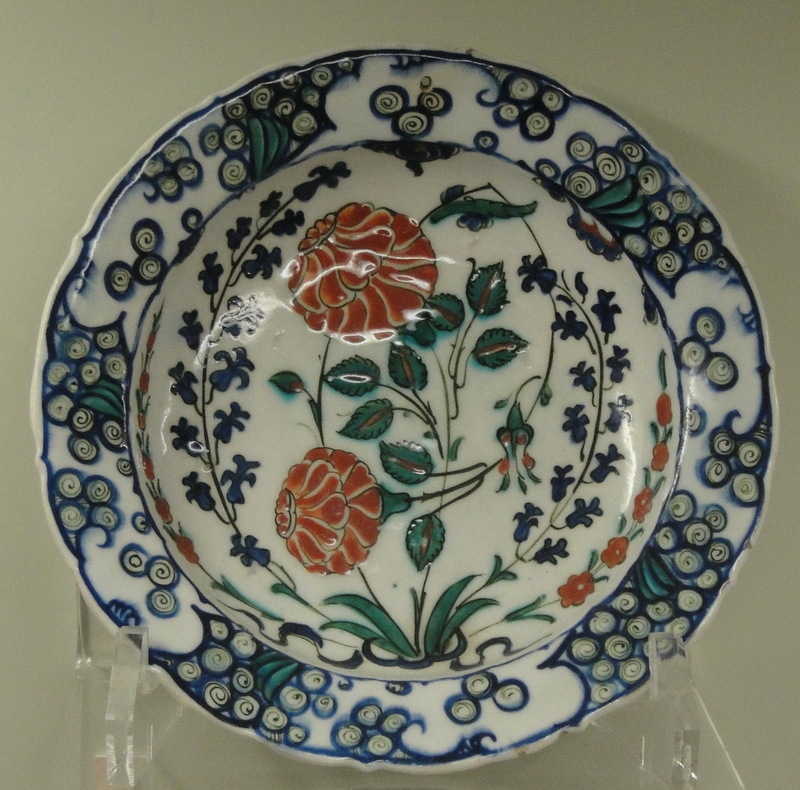 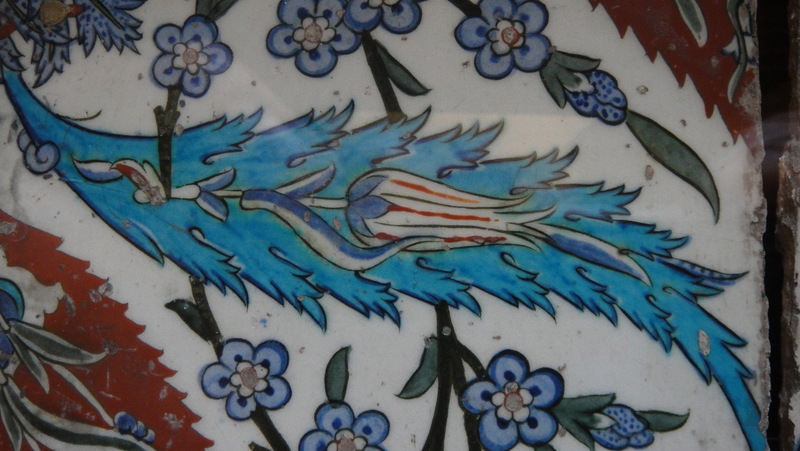 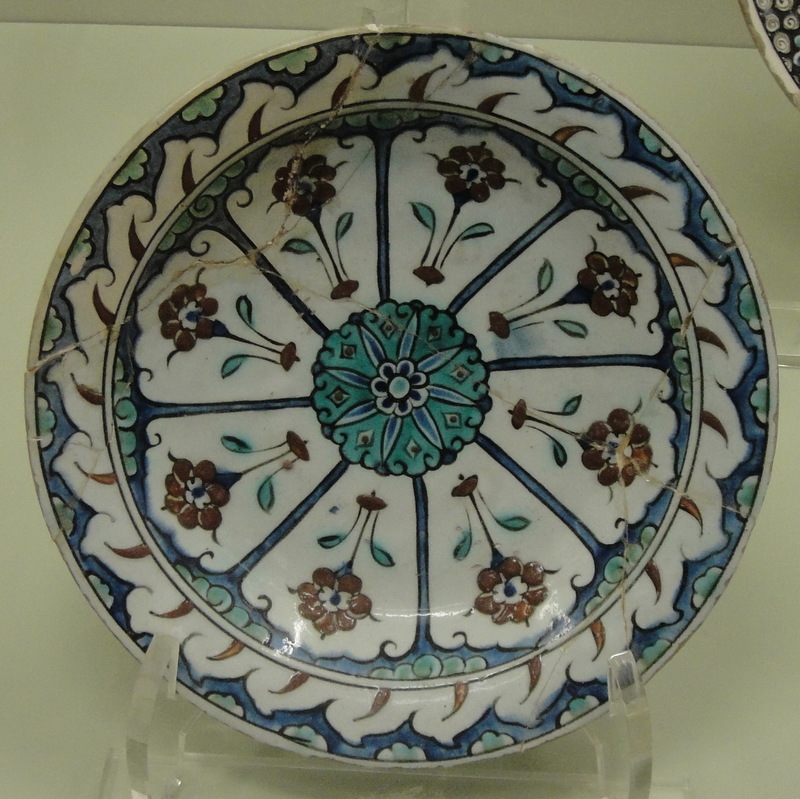 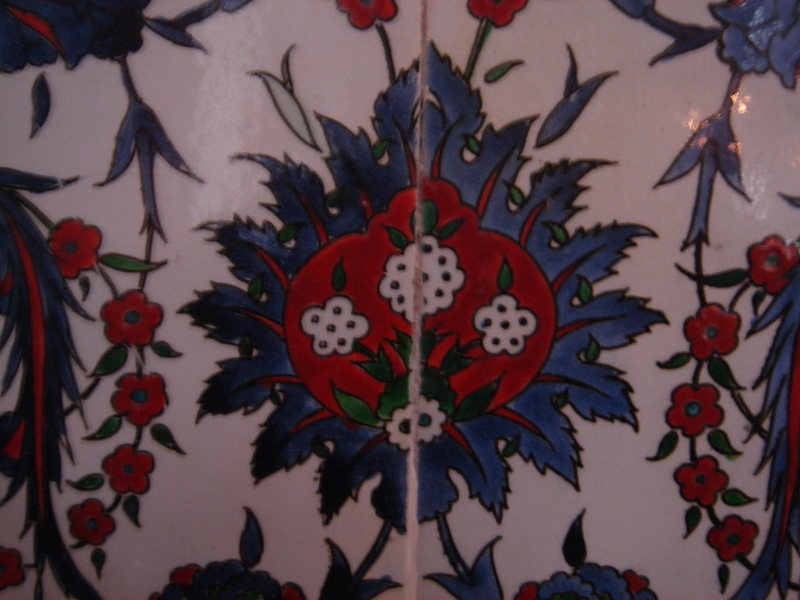 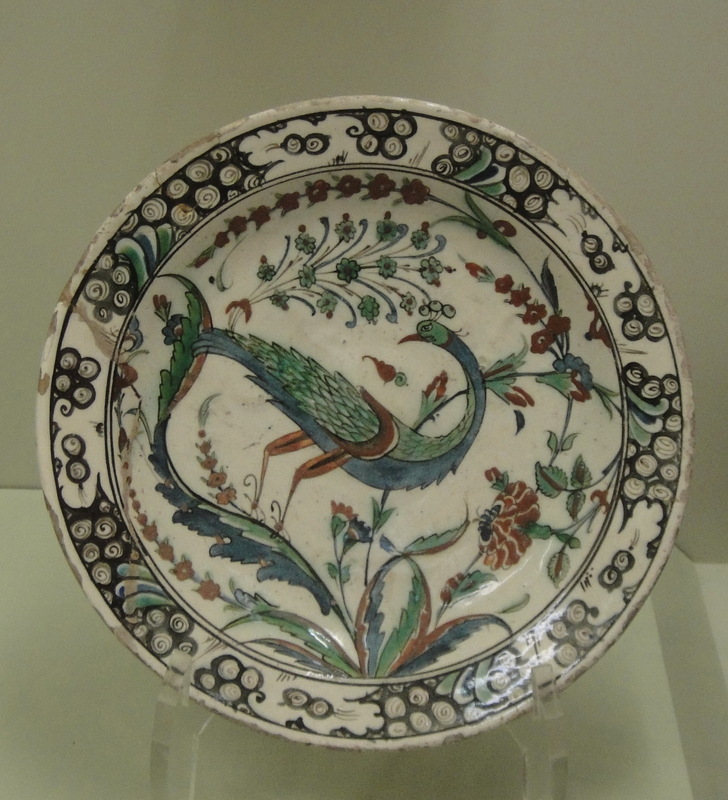 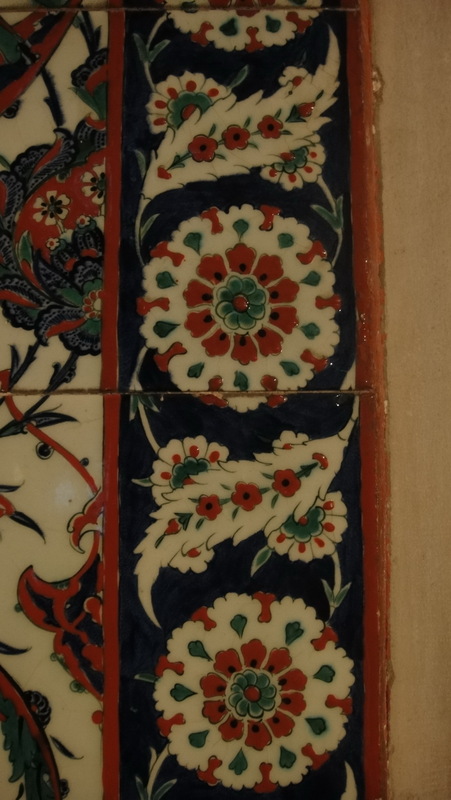 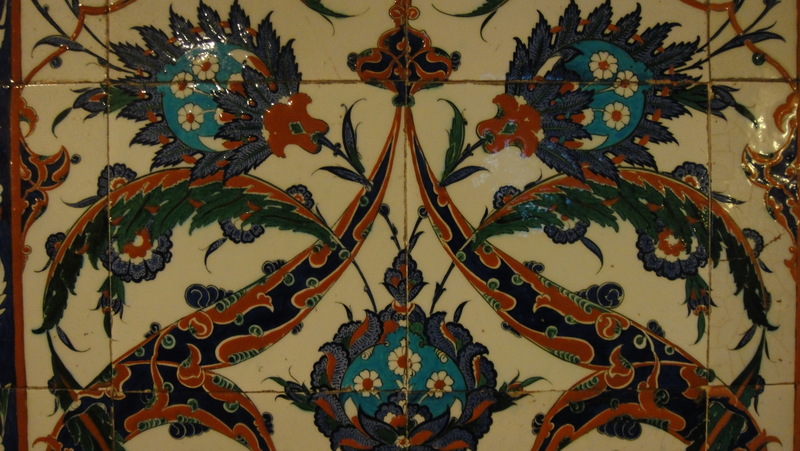 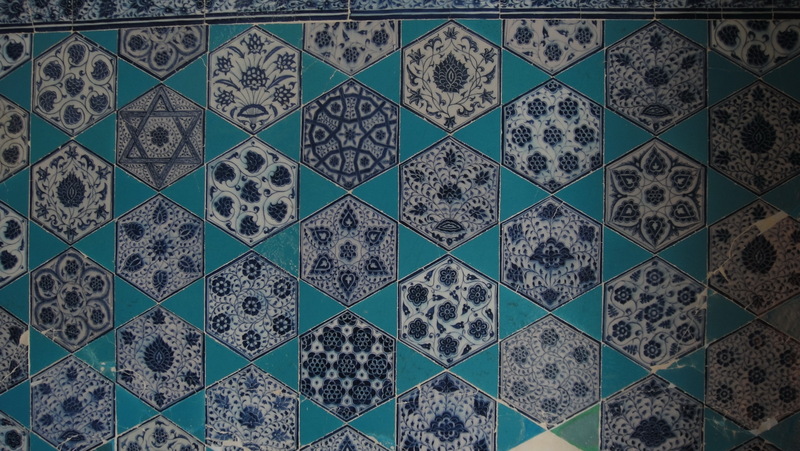 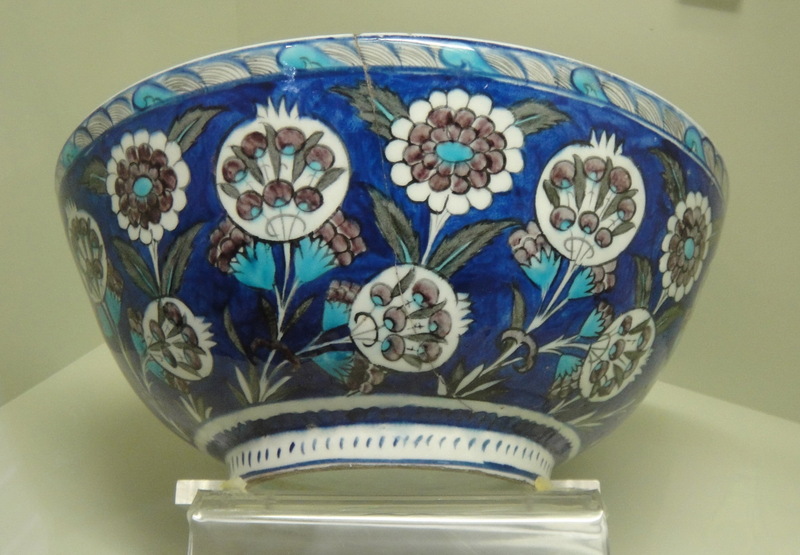 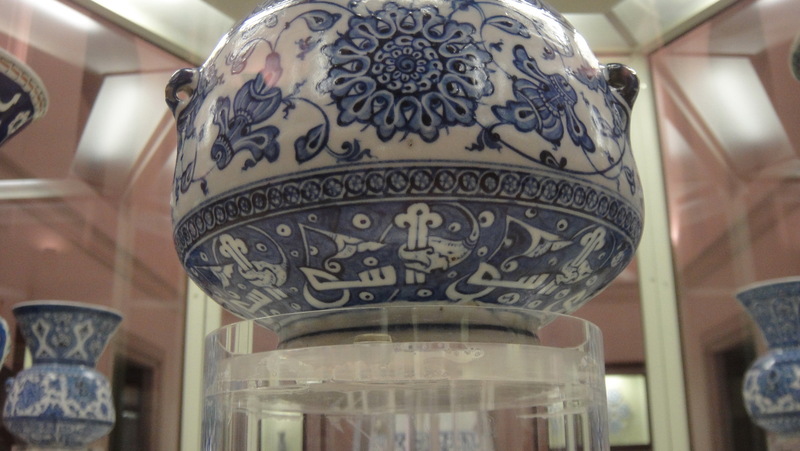 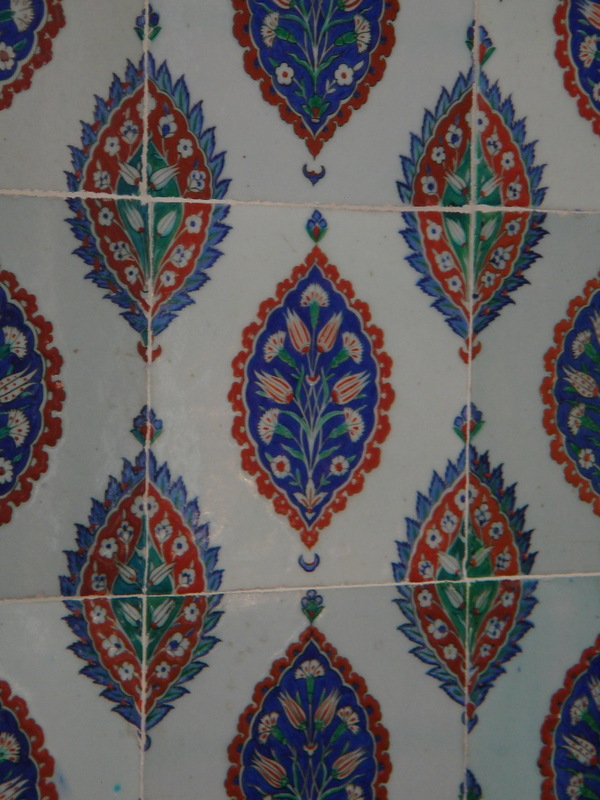 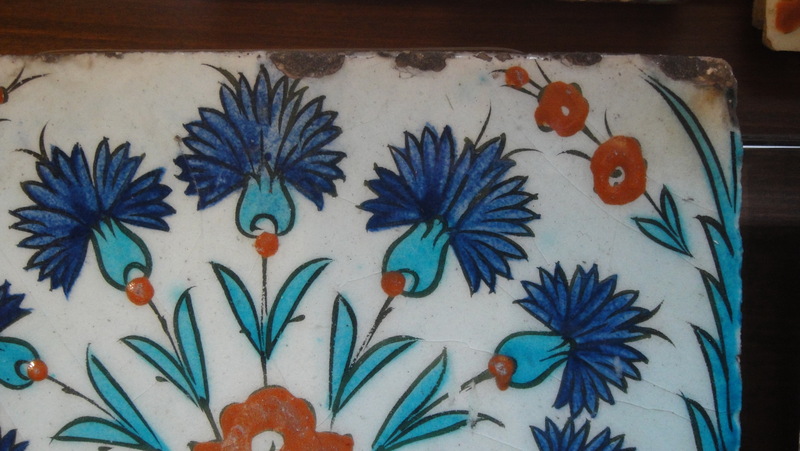 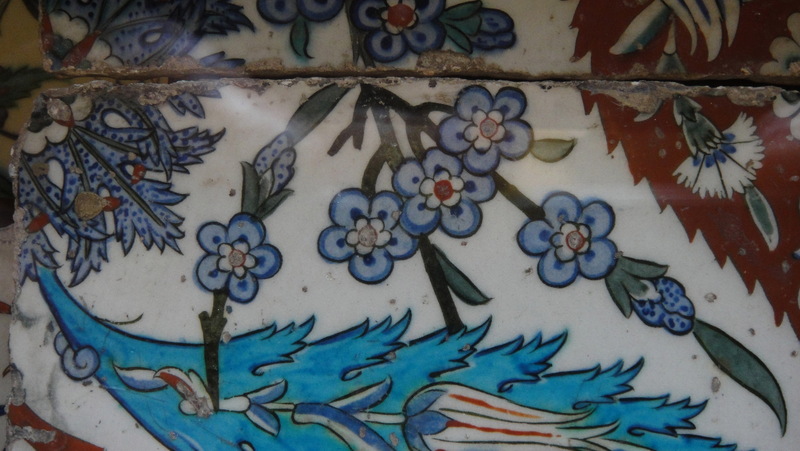 Old Iznik was 85-90% quartz, making it not only incredibly durable – you can whack quartz pottery with stones and not even make a chip; but also strangely luminous: the colors on quartz pottery are richer, more vibrant, instantly recognizable, and irreproducible in any other material. 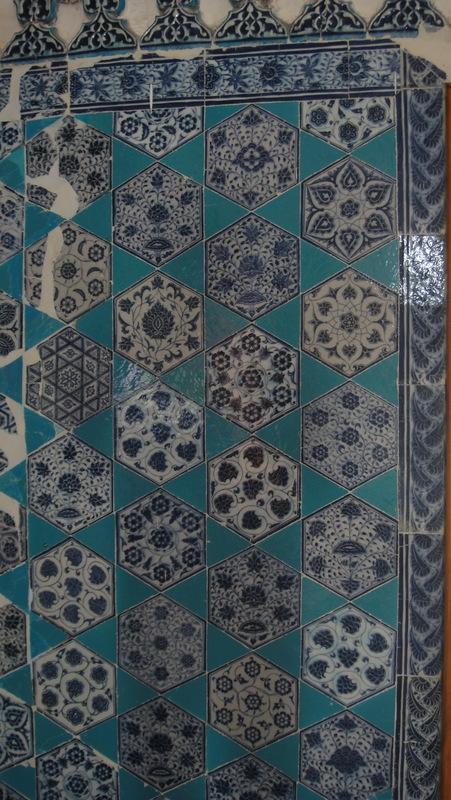 Thus, one aspect of the project is to find the formula for the bicuit. 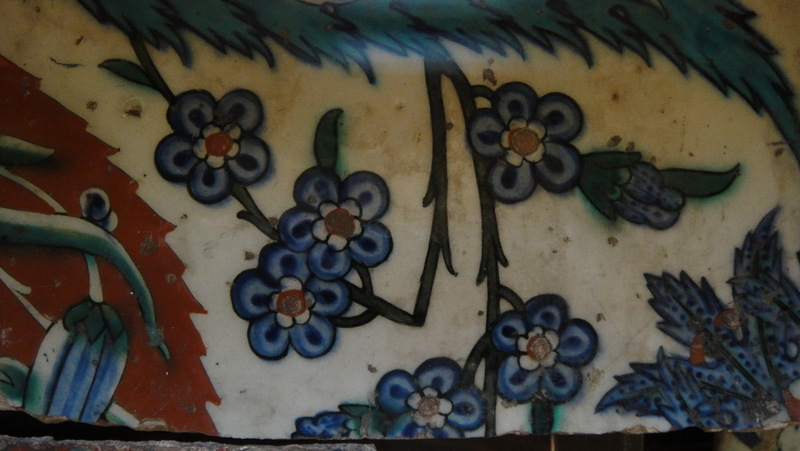 Another is to find the right glaze to match it – quartz is water resistant and both paint and glaze stick to it with difficulty; meaning that they tend to run (“smear”) in the kiln. 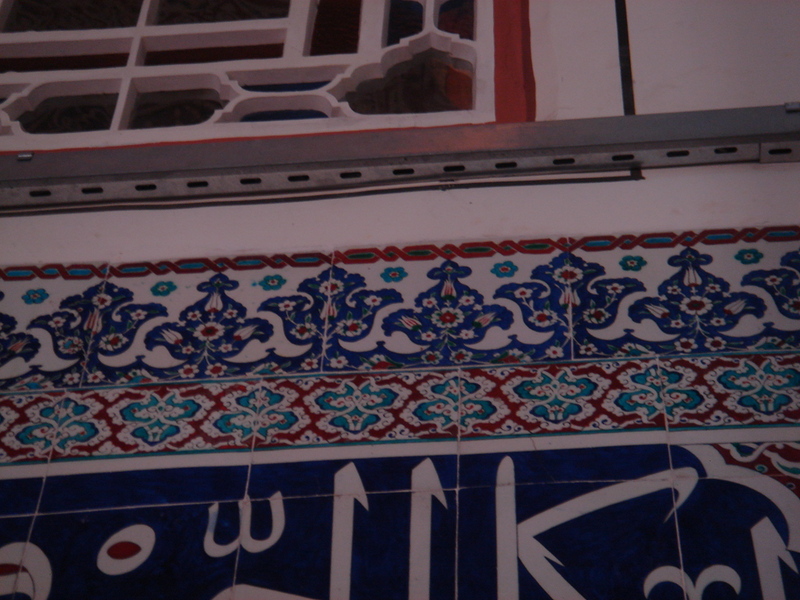 Then, there are problems with the painting technique. 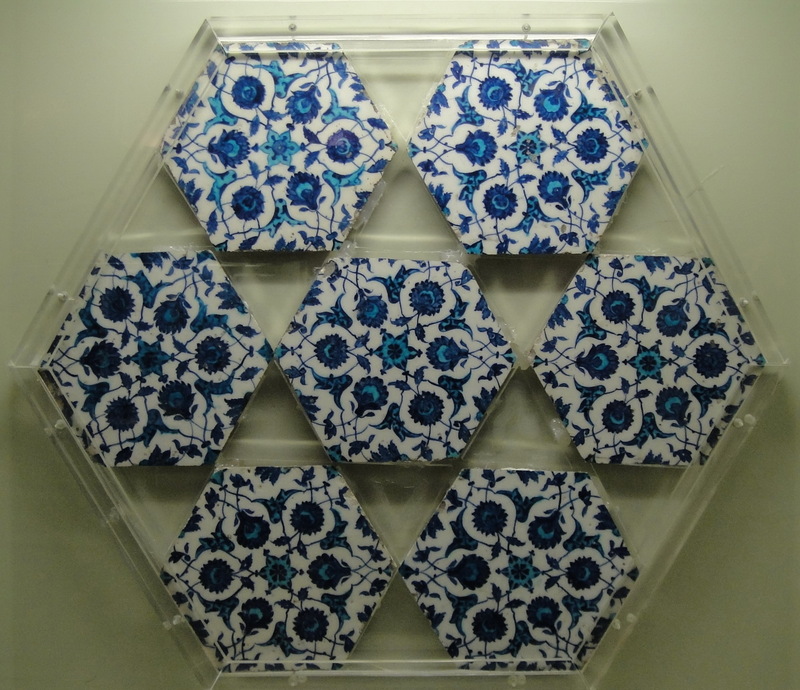 Unabsorbent and slow drying as it is, quartz presents special problems with color mixing (applying one on or next to another) and shadowing (applying different shades of the same color). 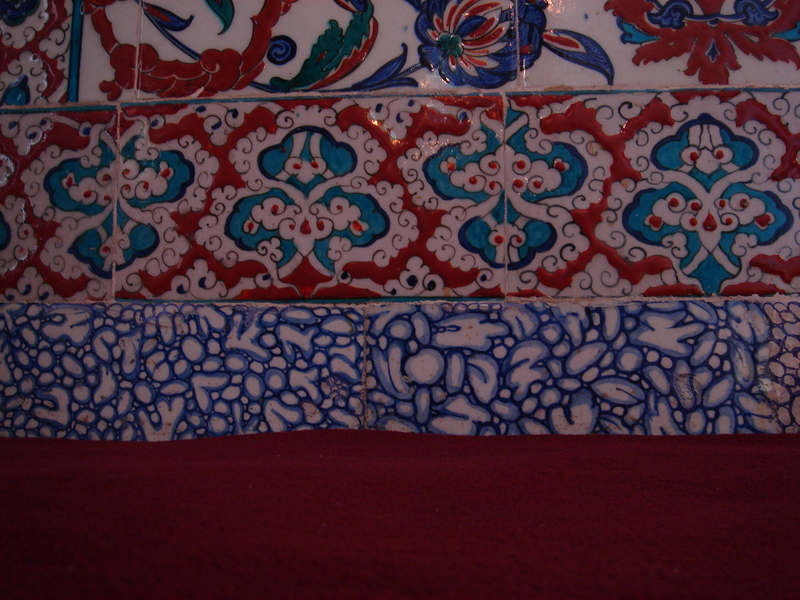 Which in turn leads to problems with the paints themselves: it has been possible to get good results with green and blue; but the special red – the “Armenian red”, always a secret – remains elusive: there are problems trying to discover the precise shade of red; but also obtaining a semi-transparent color (which will allow shadowing) and which will lie flat on the surface (instead of forming round, three-dimensional beads). 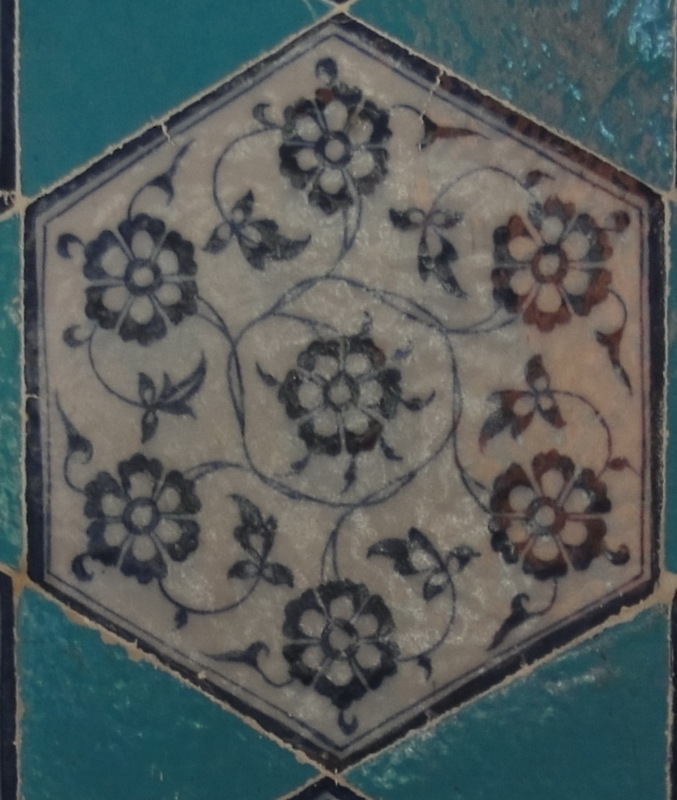 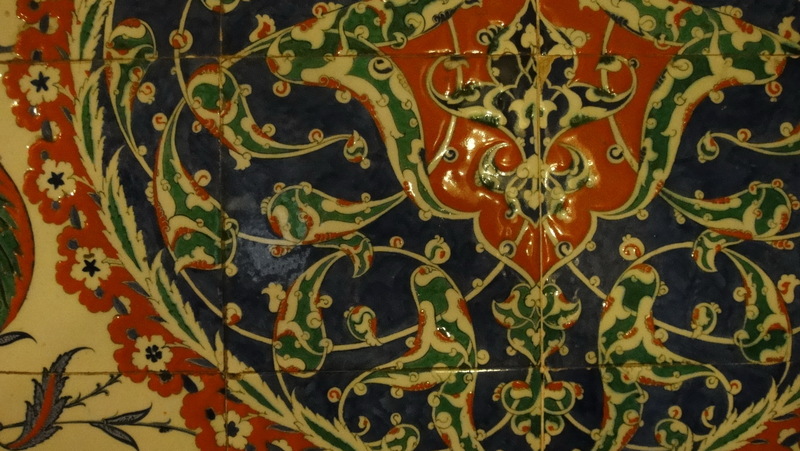 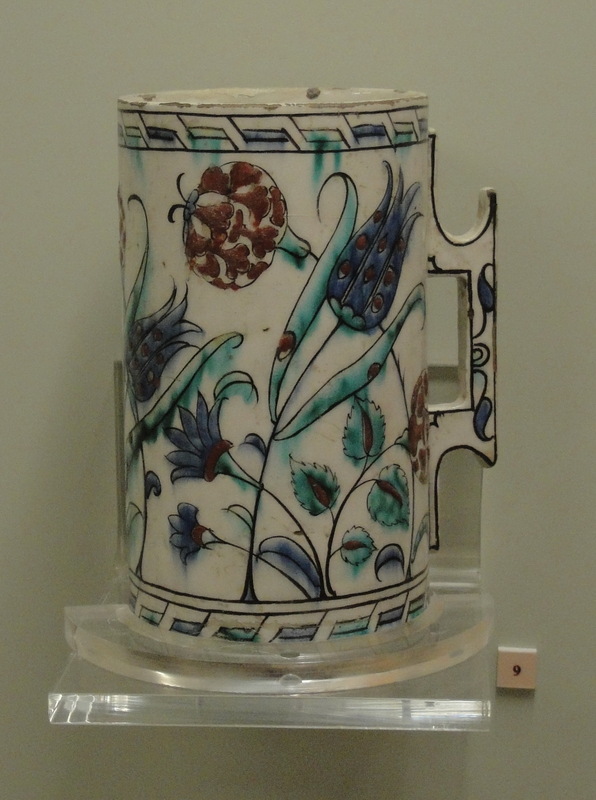 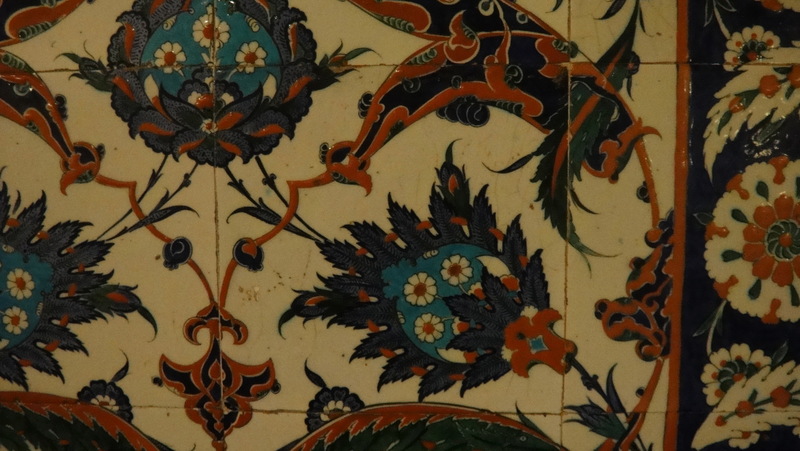 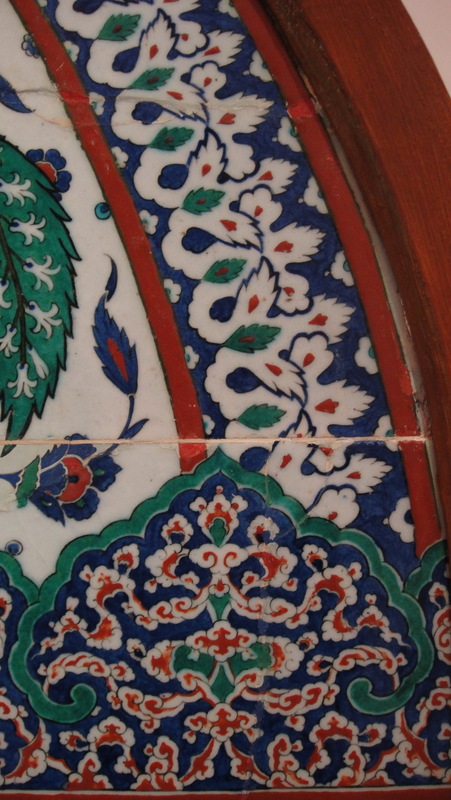 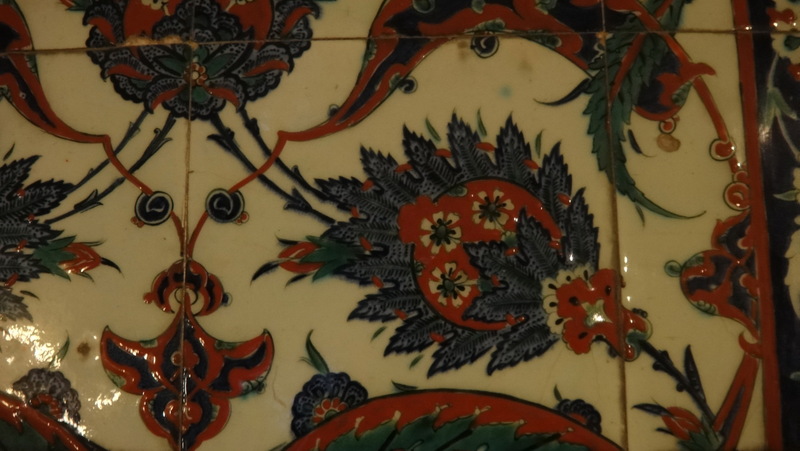 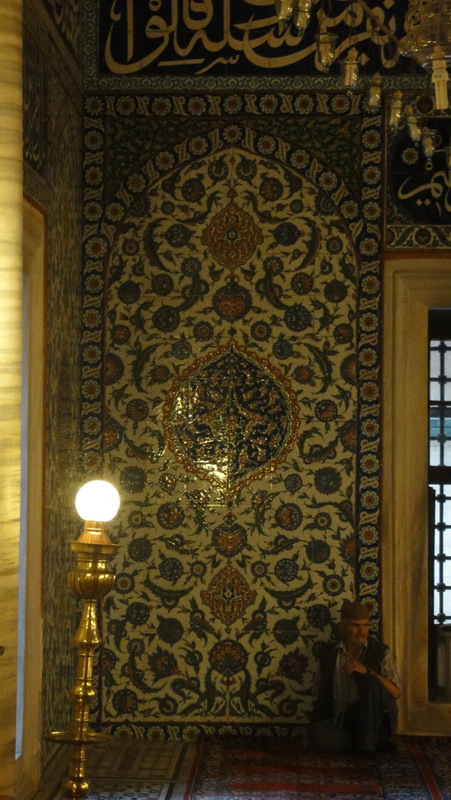 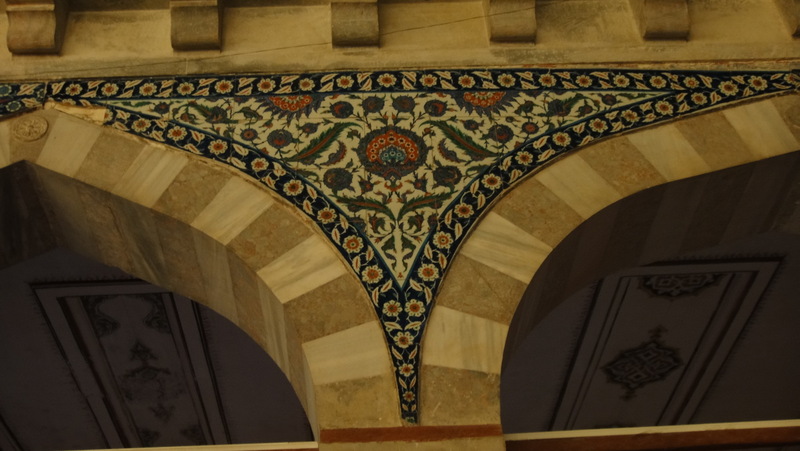 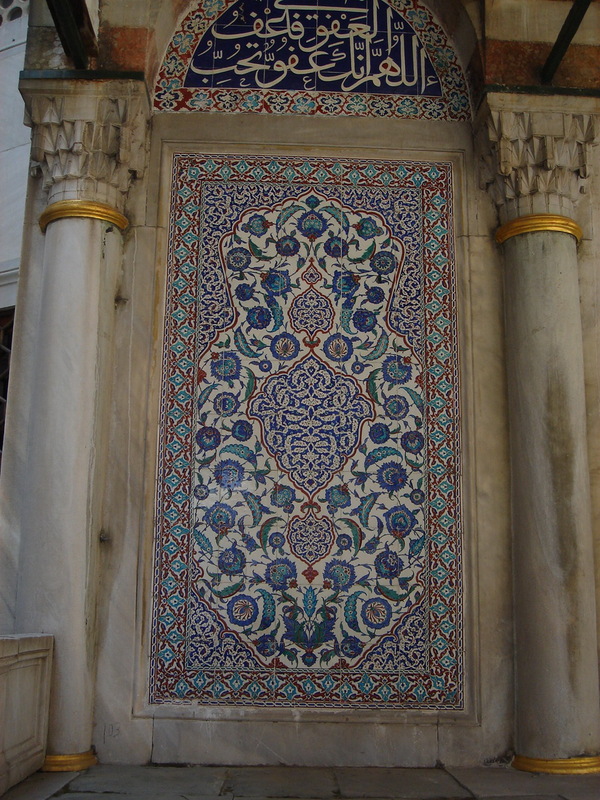 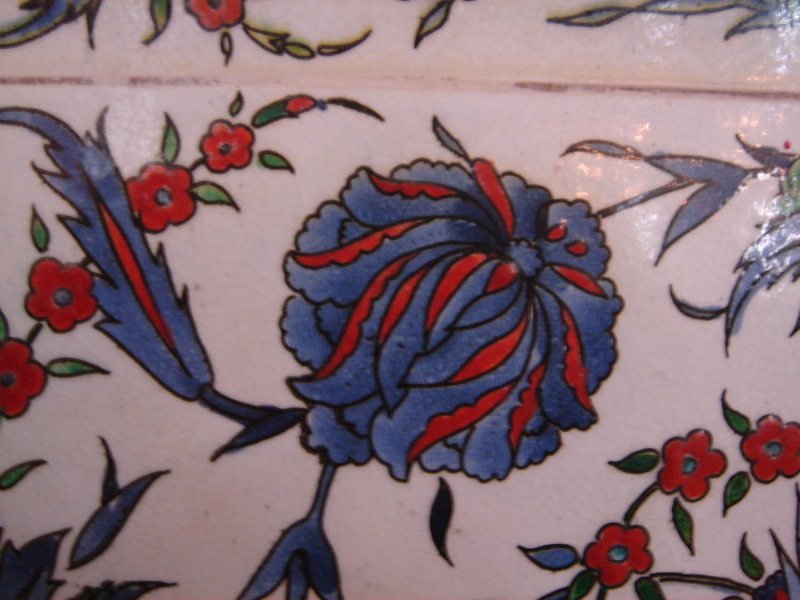 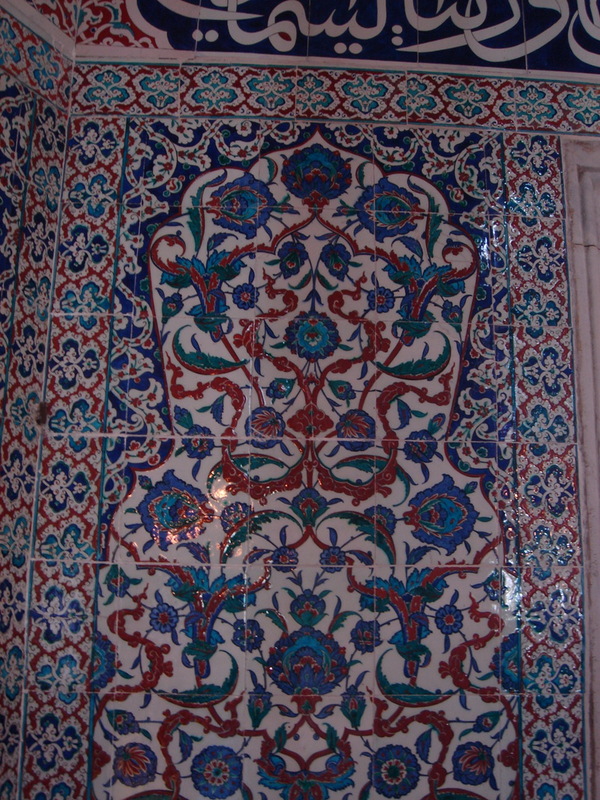 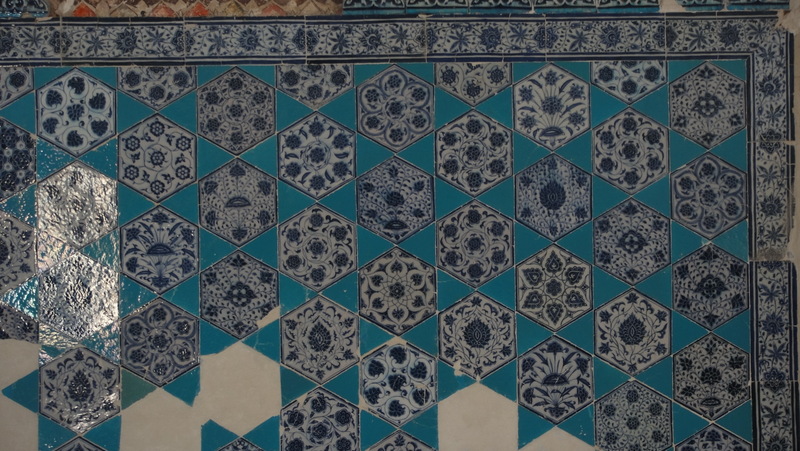 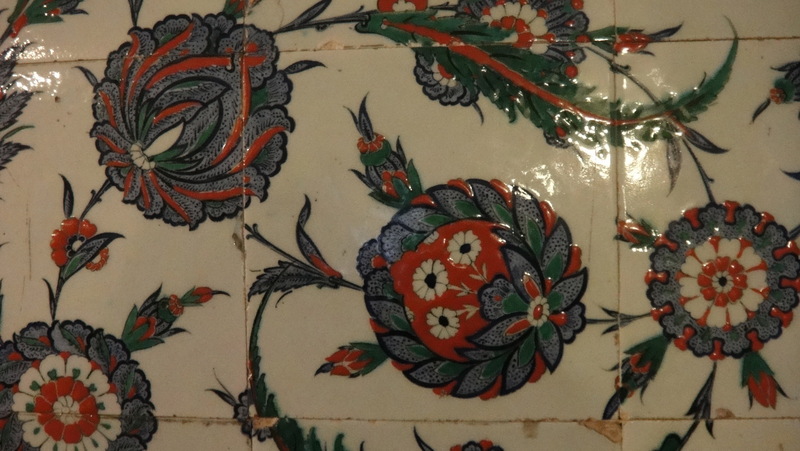 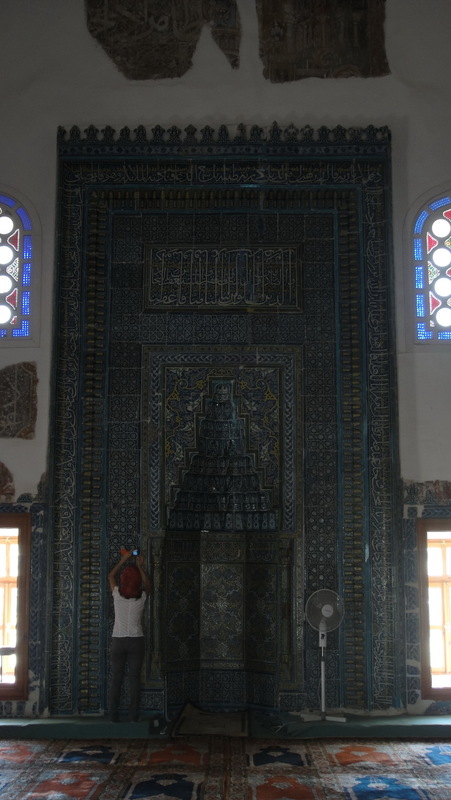 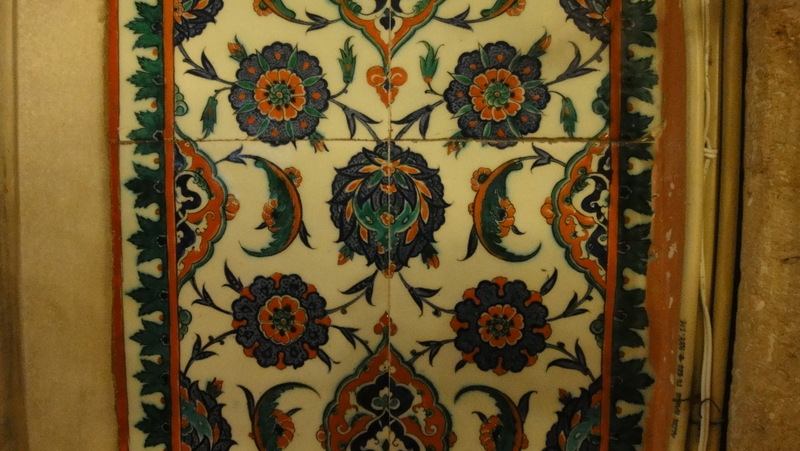 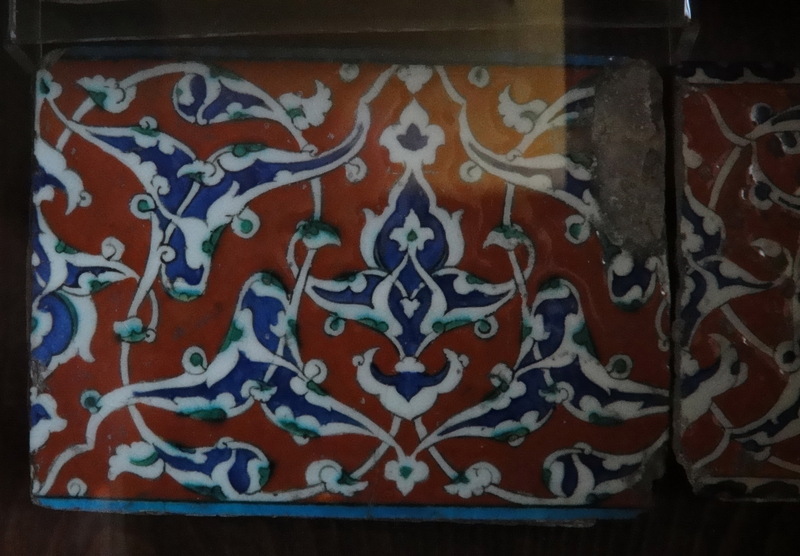 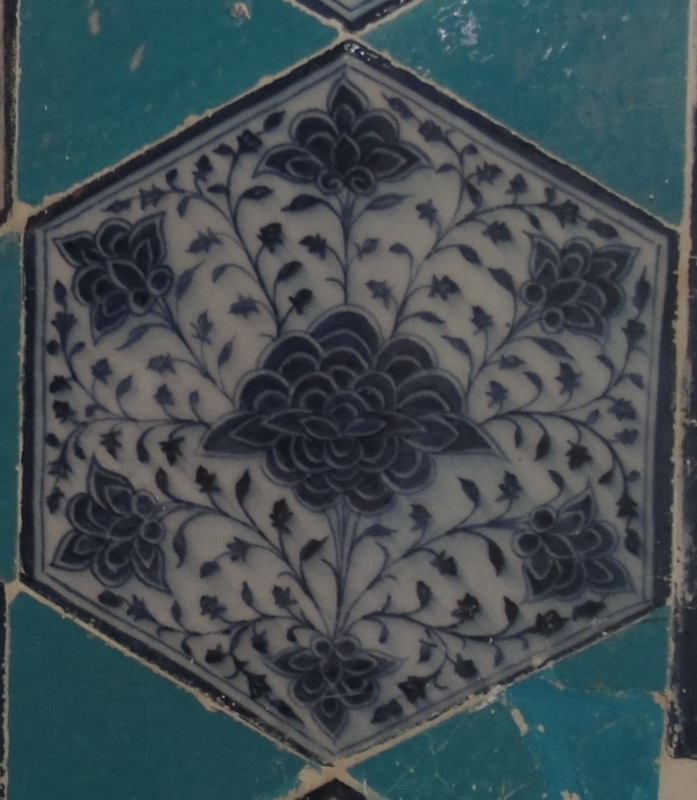 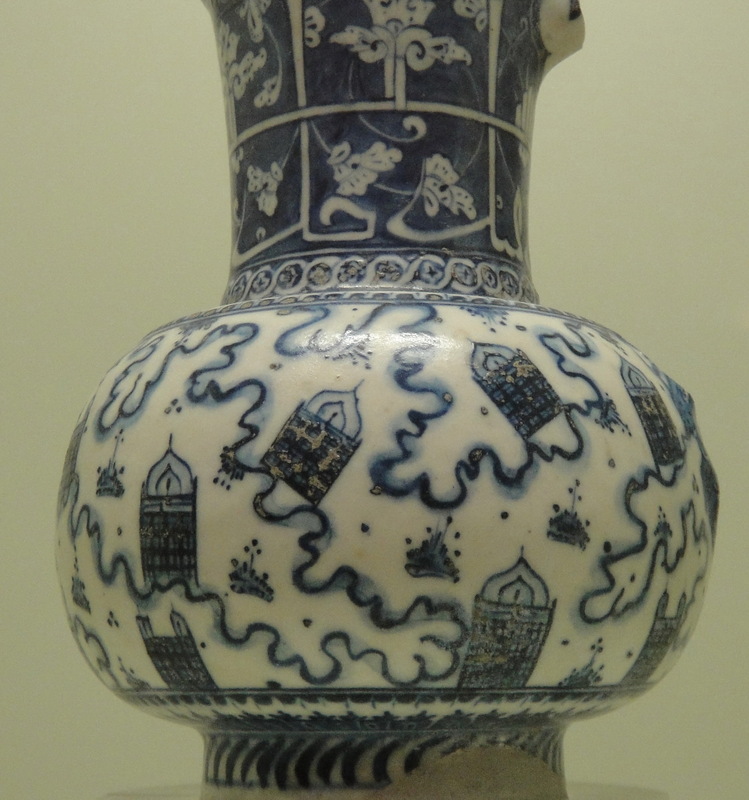 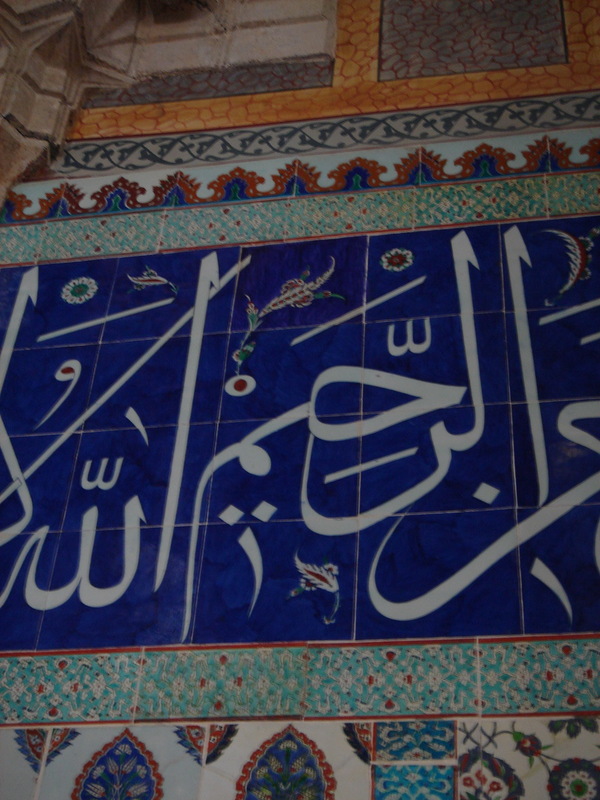 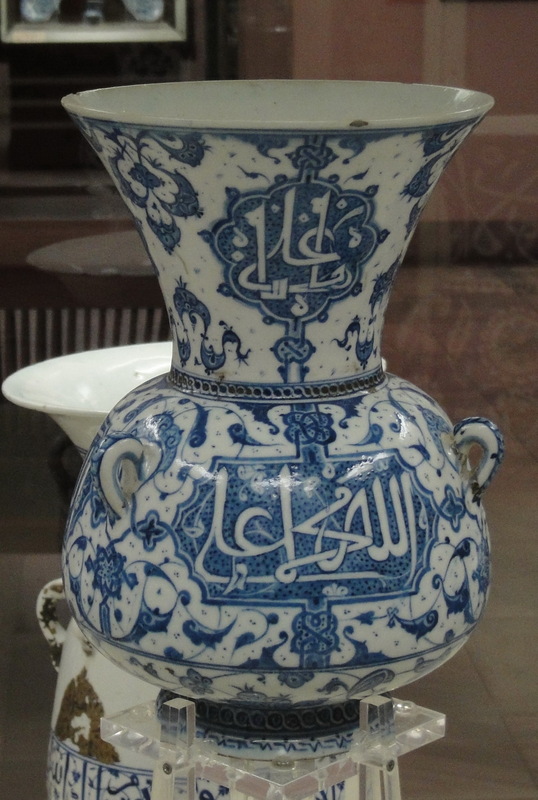 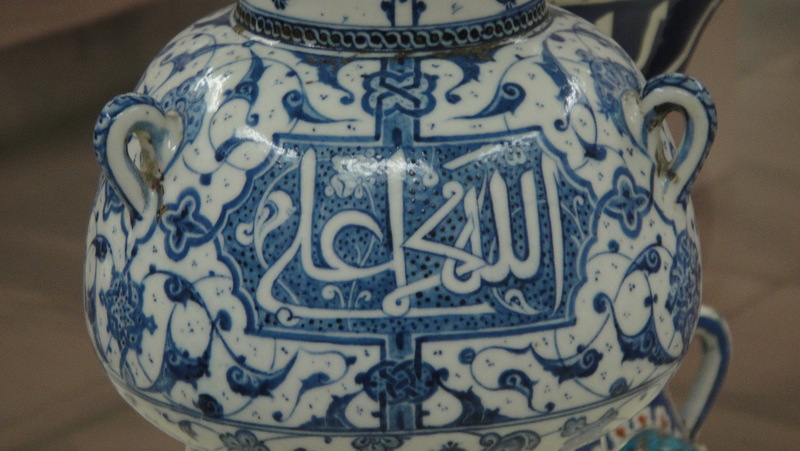 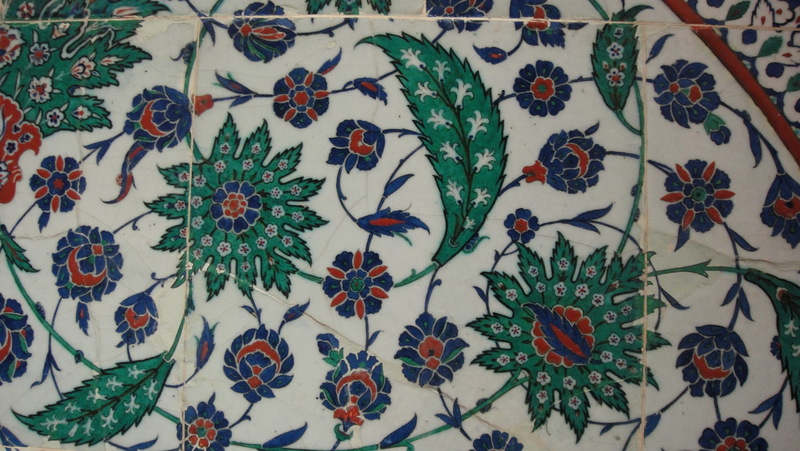 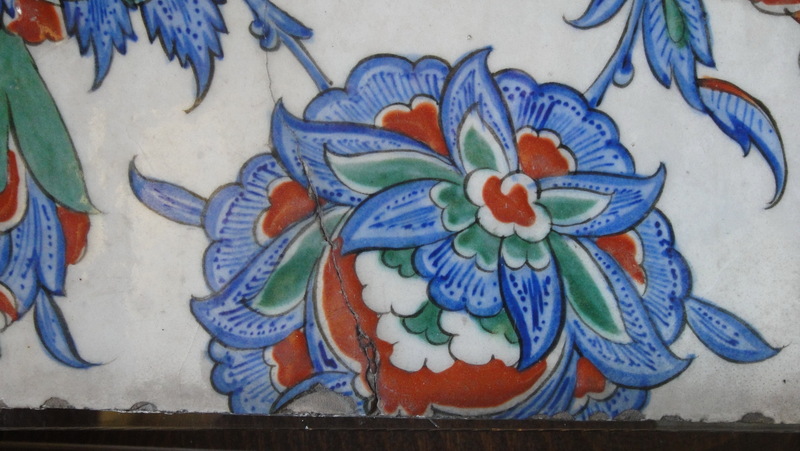 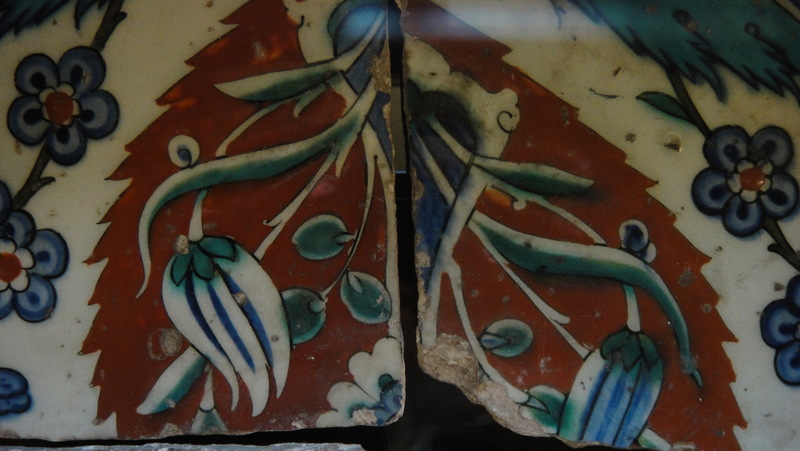 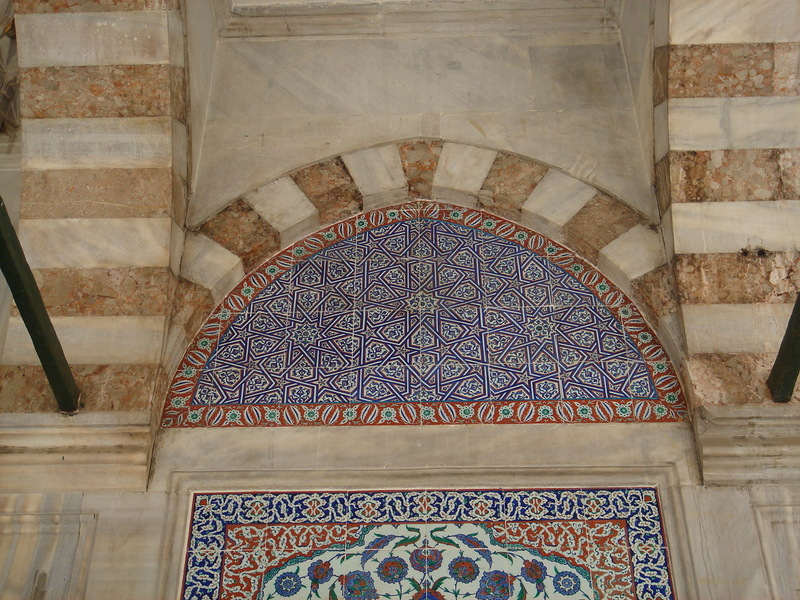 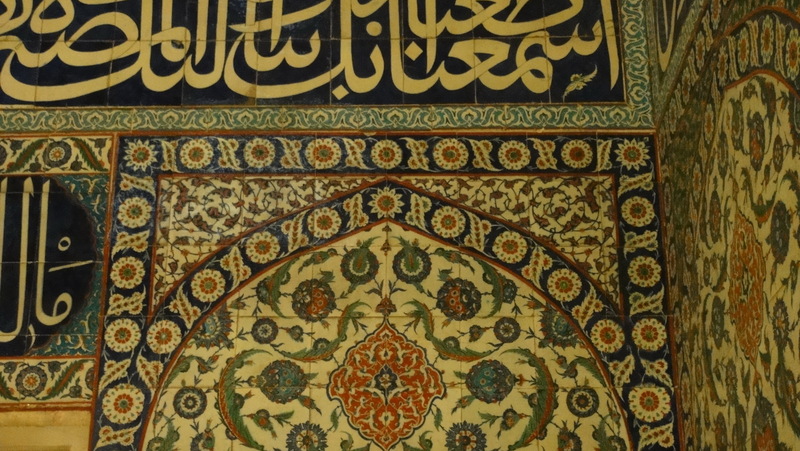 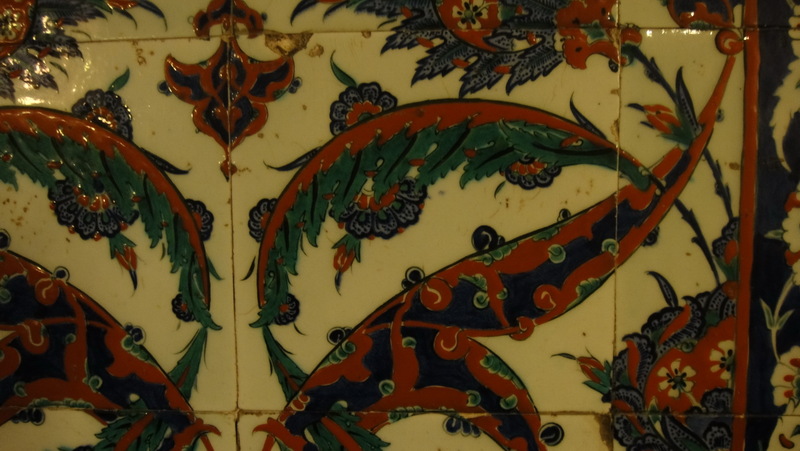 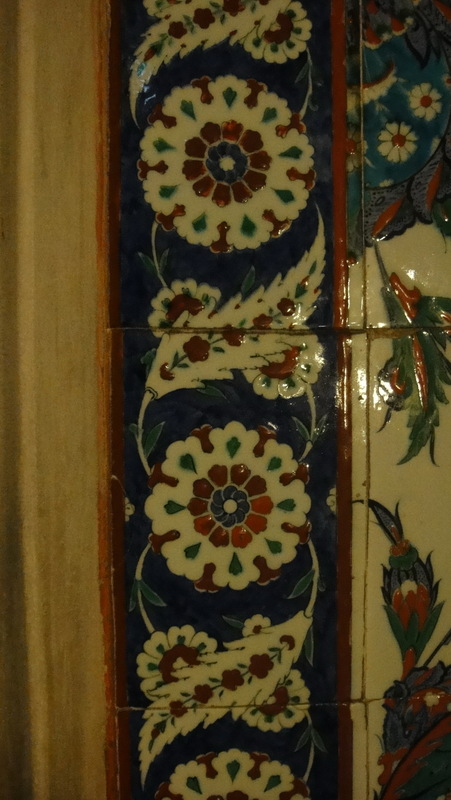 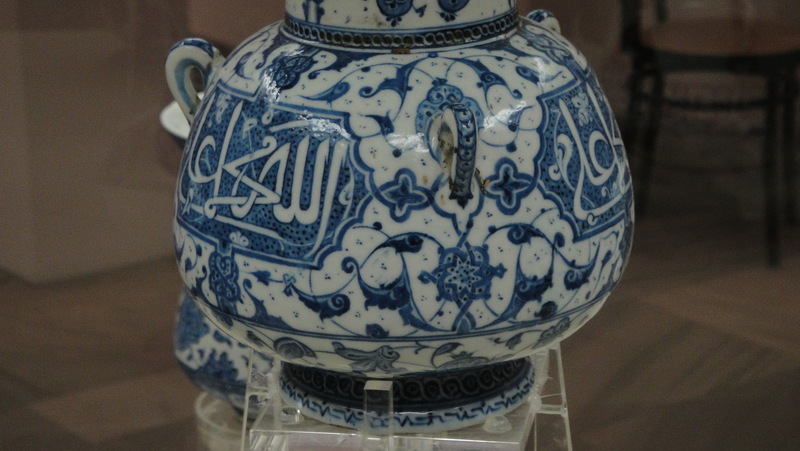 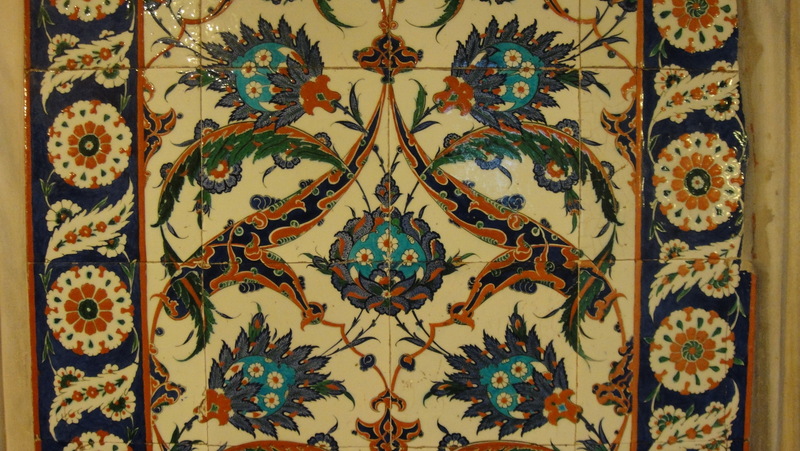 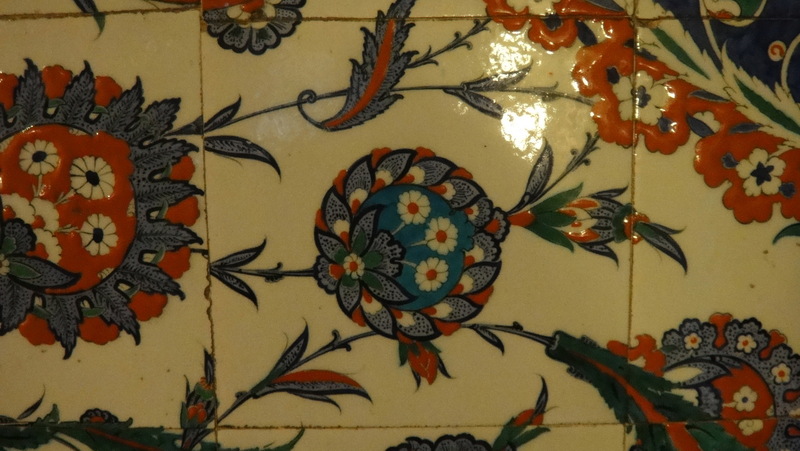 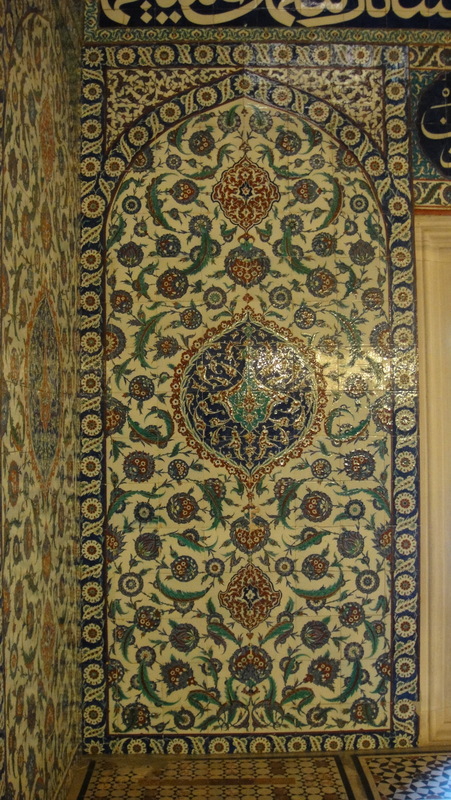 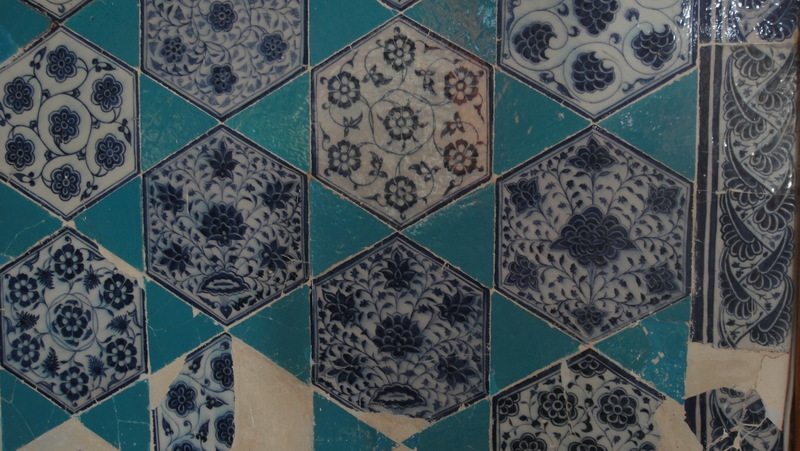 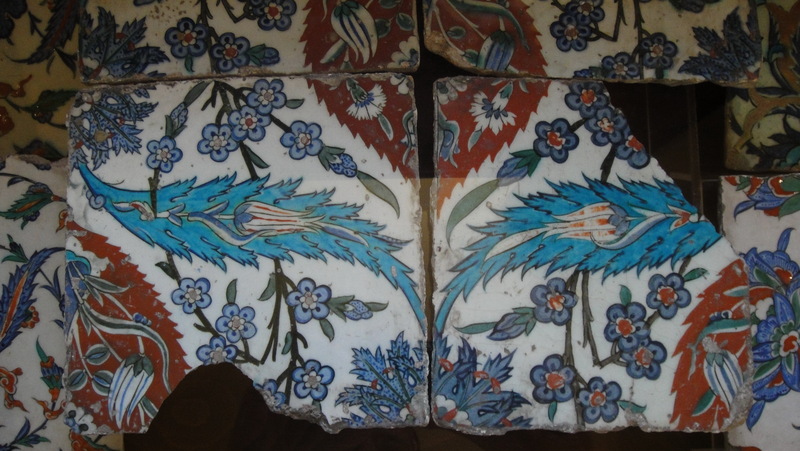 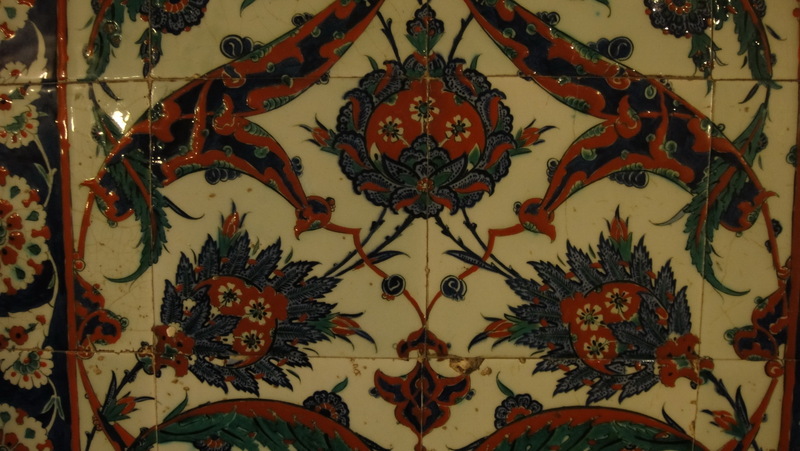 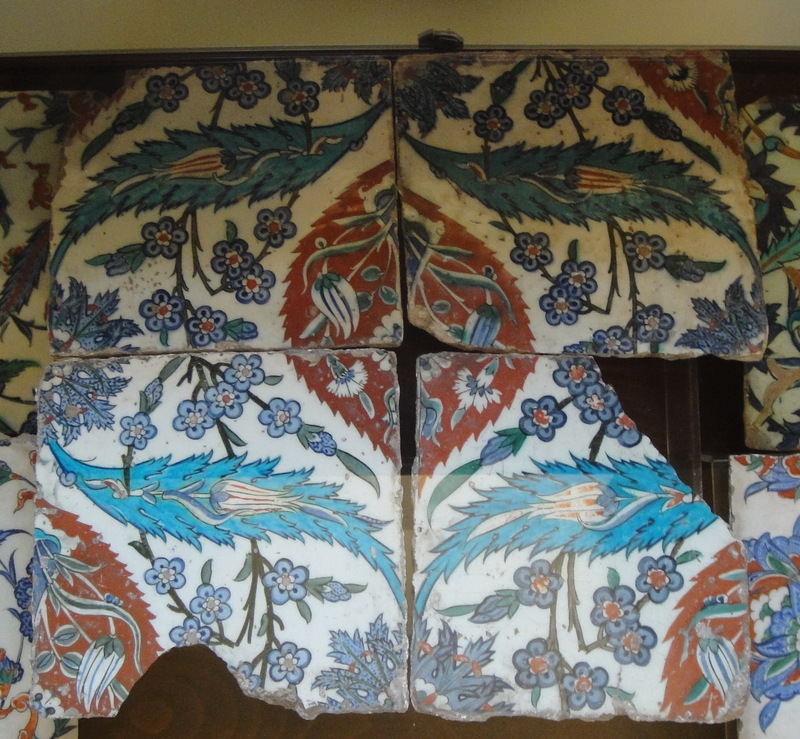 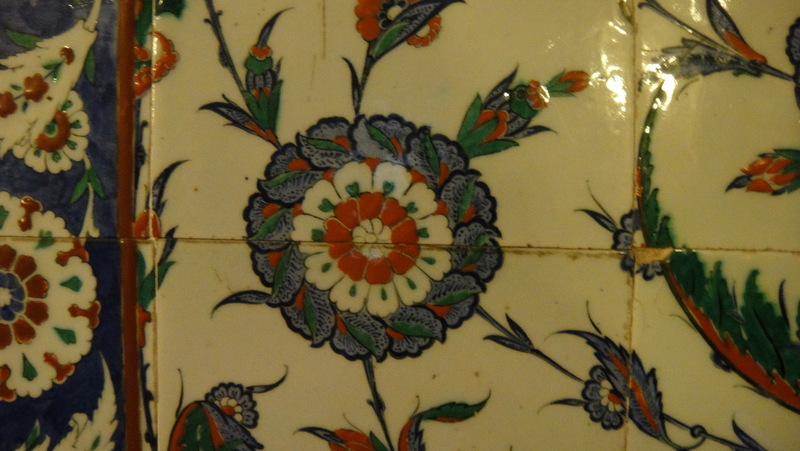 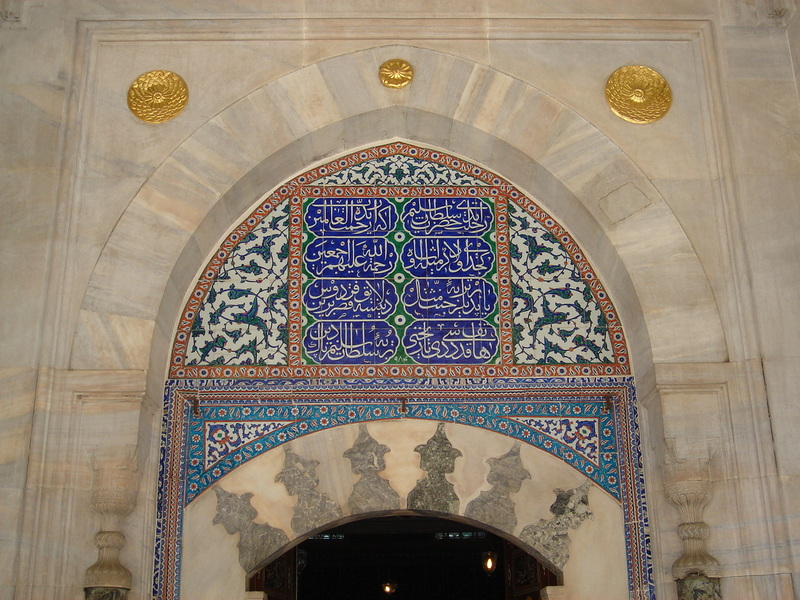 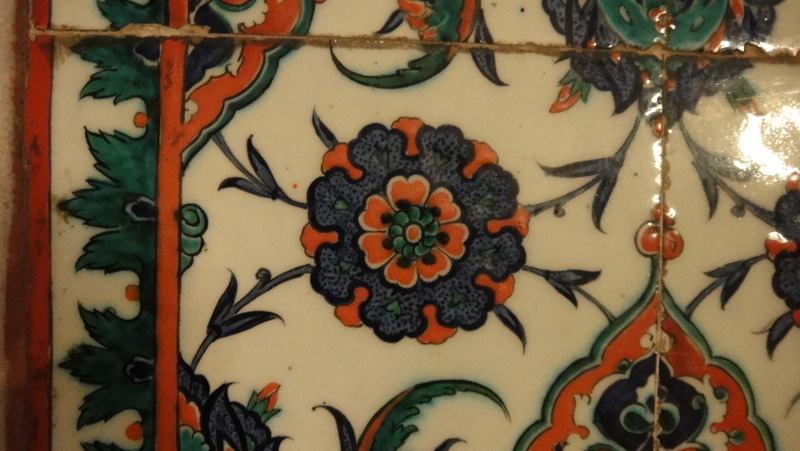 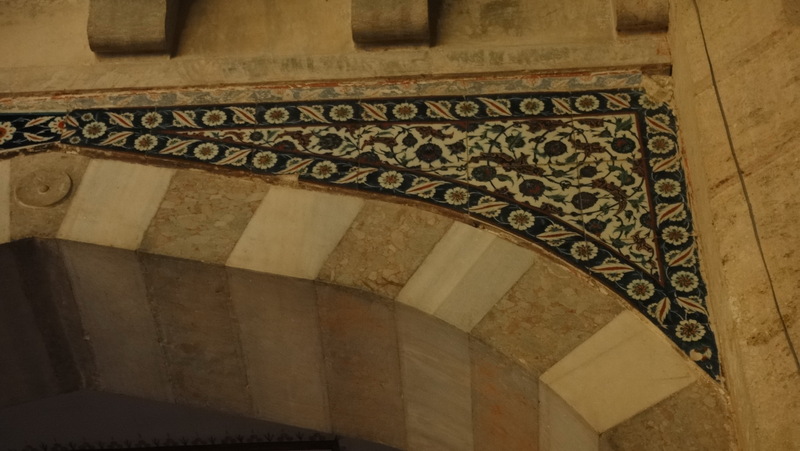 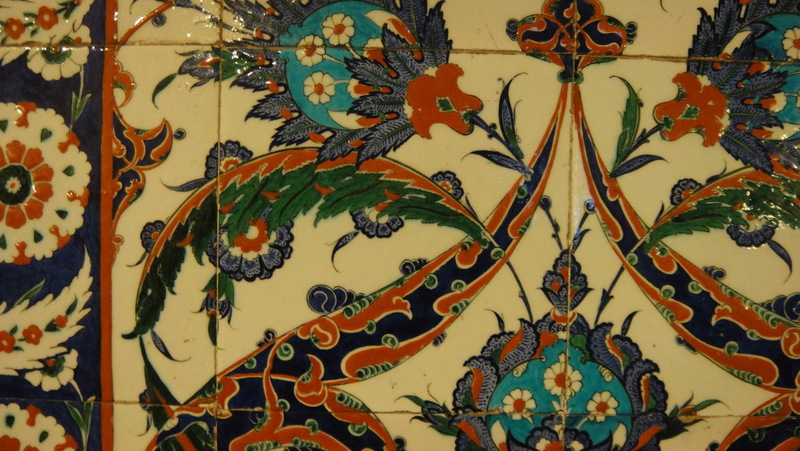 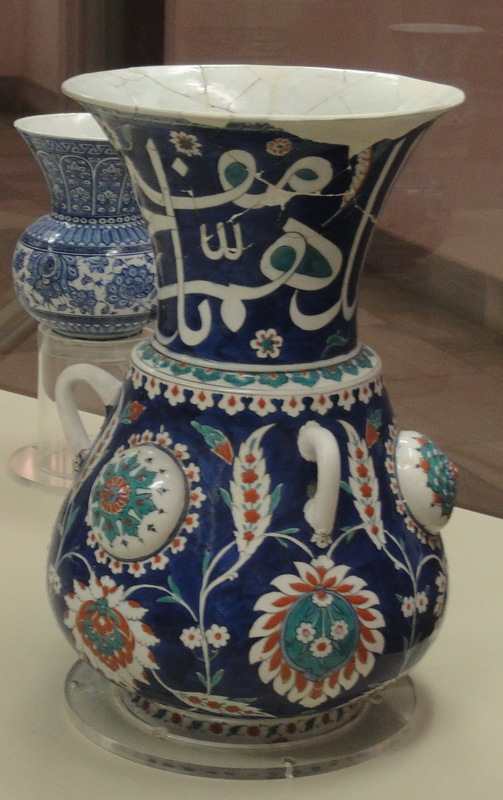 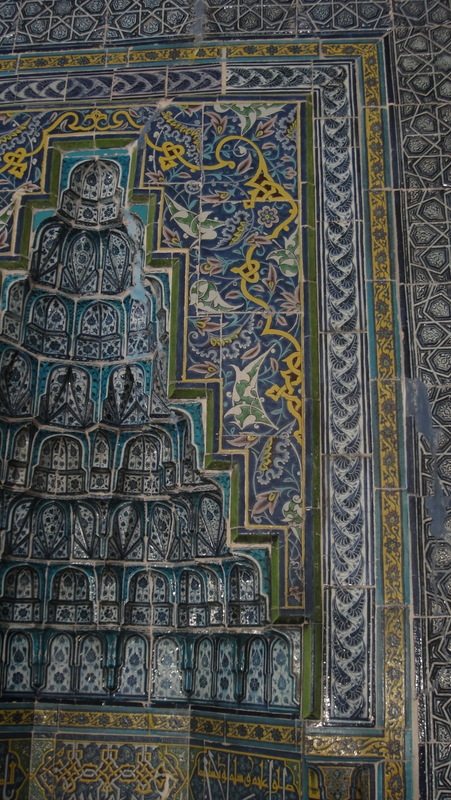 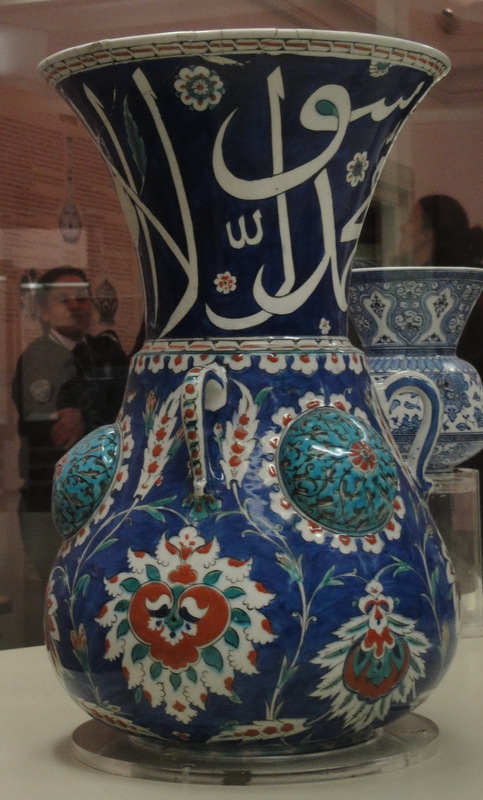 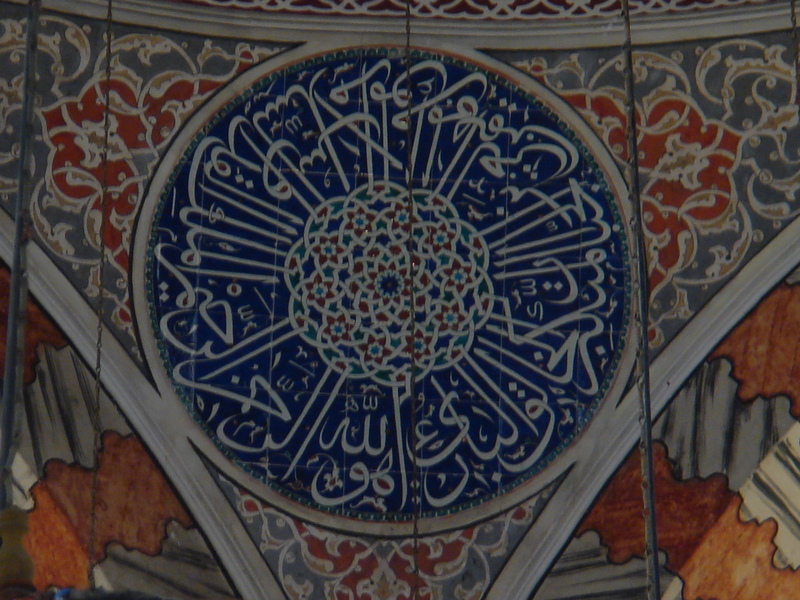 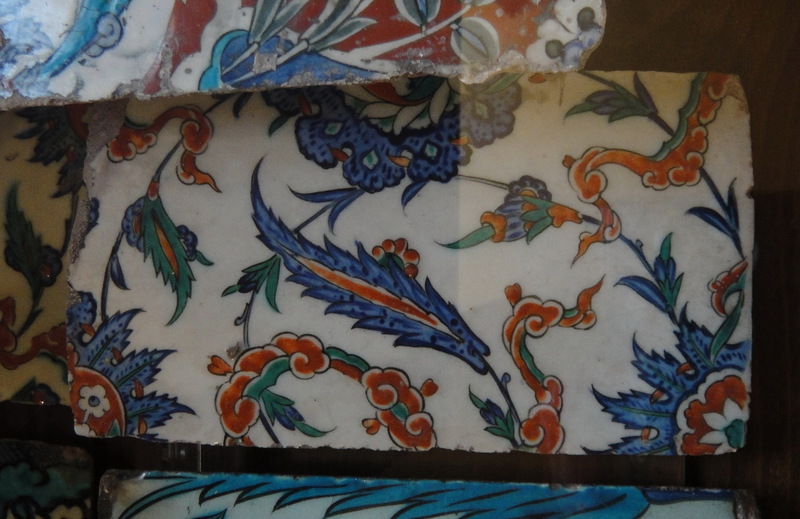 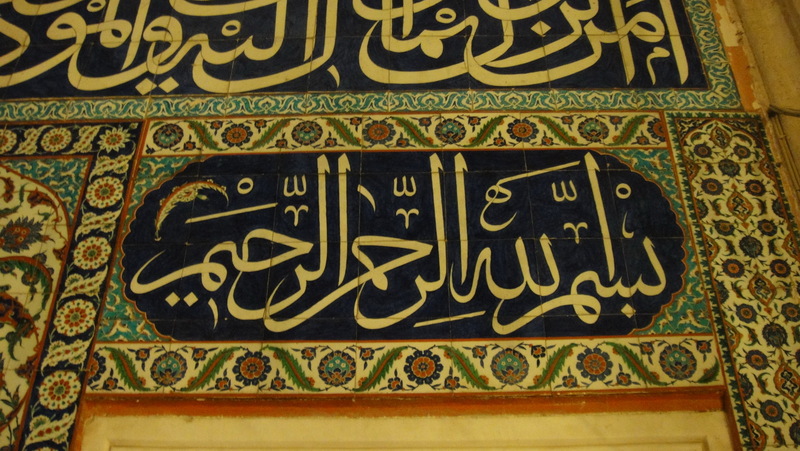 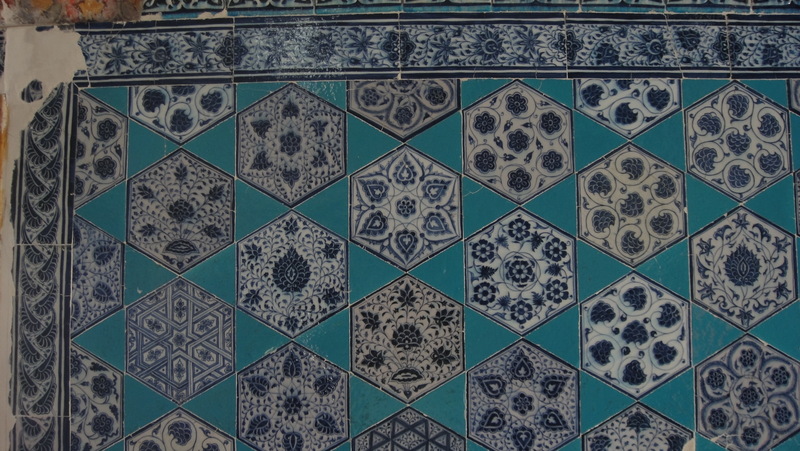 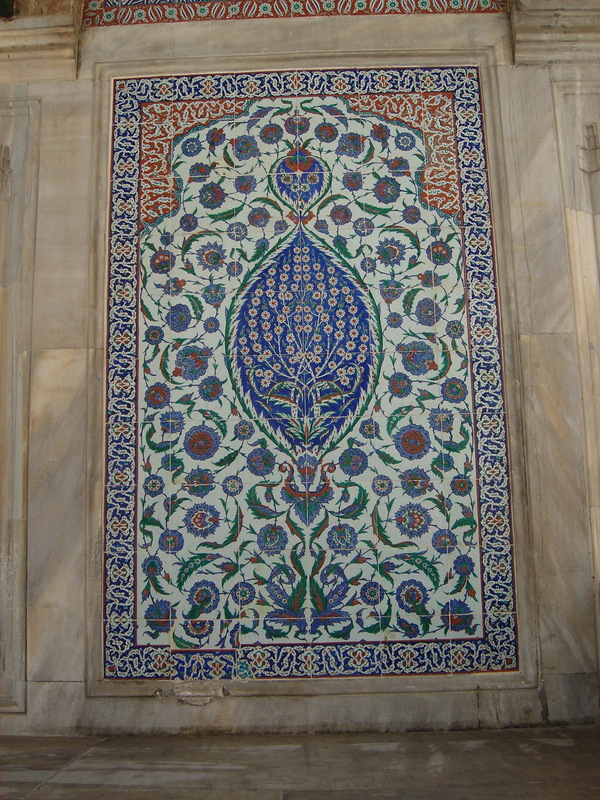 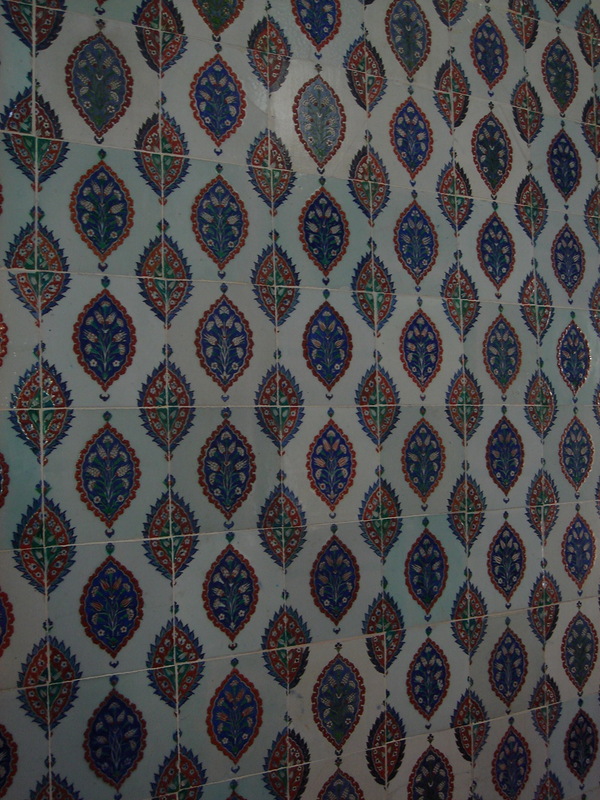 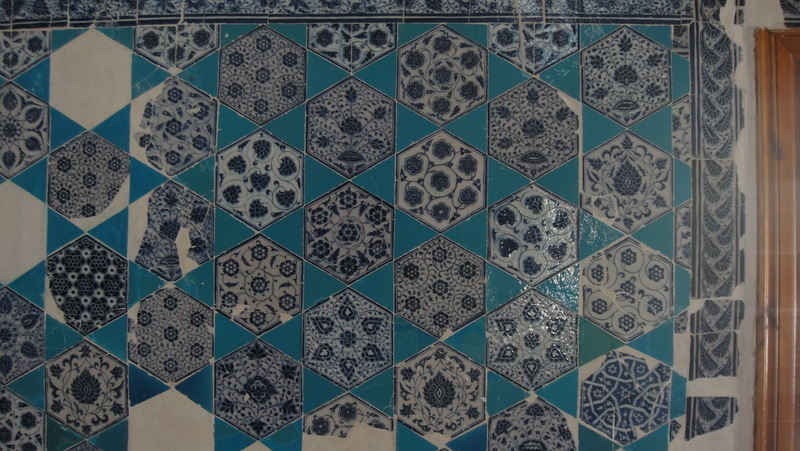 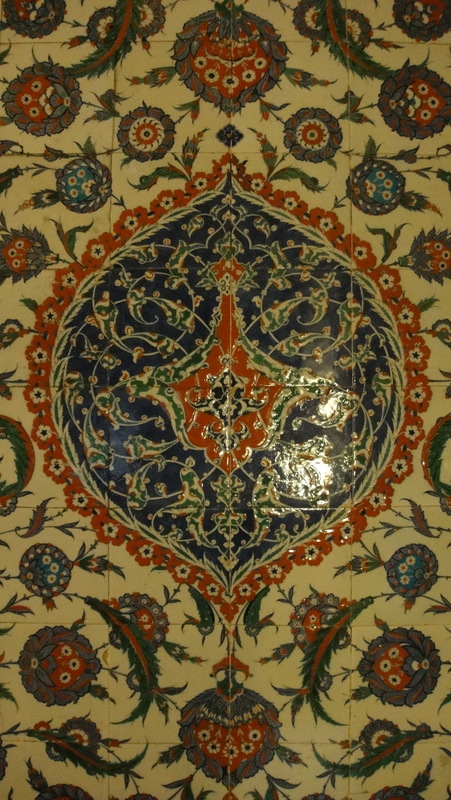 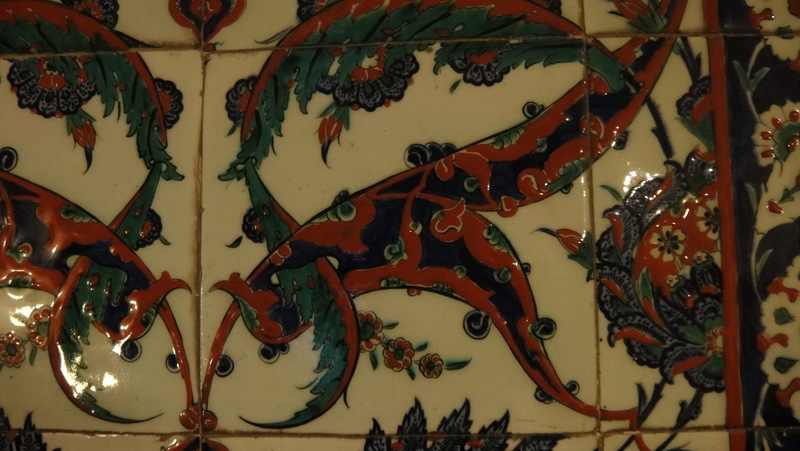 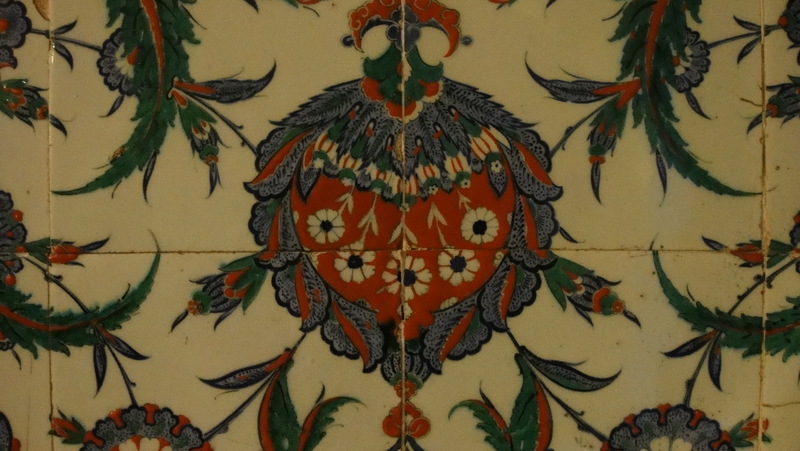 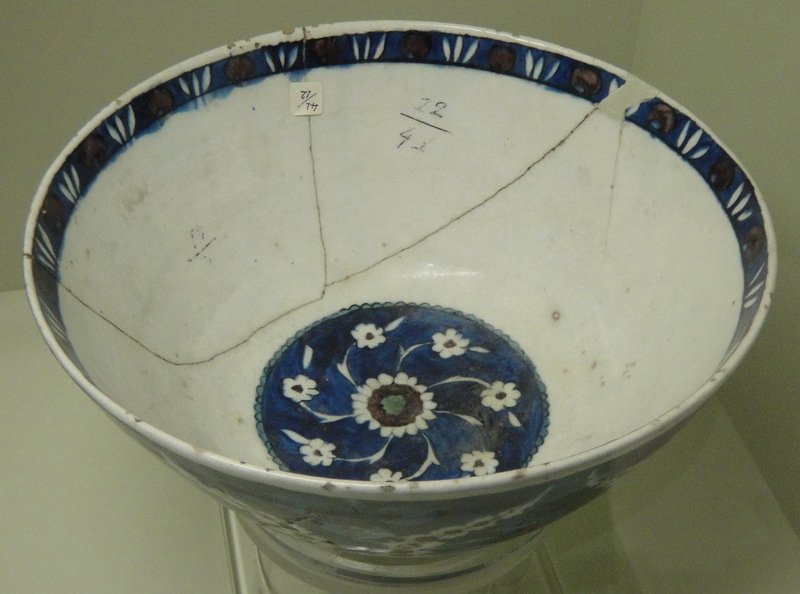 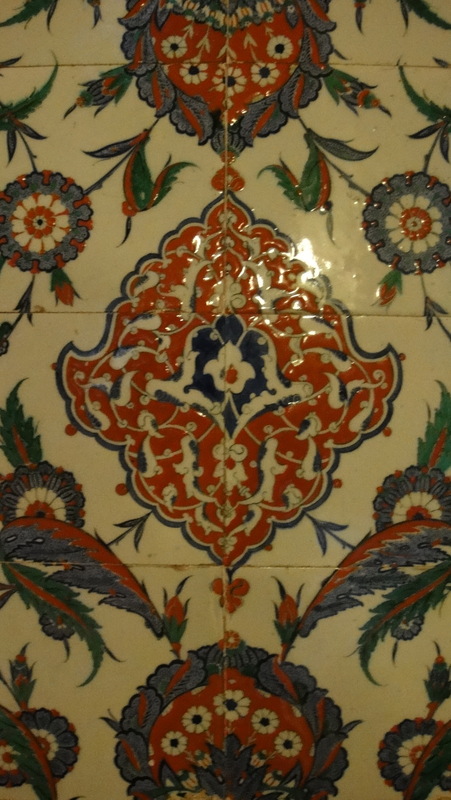 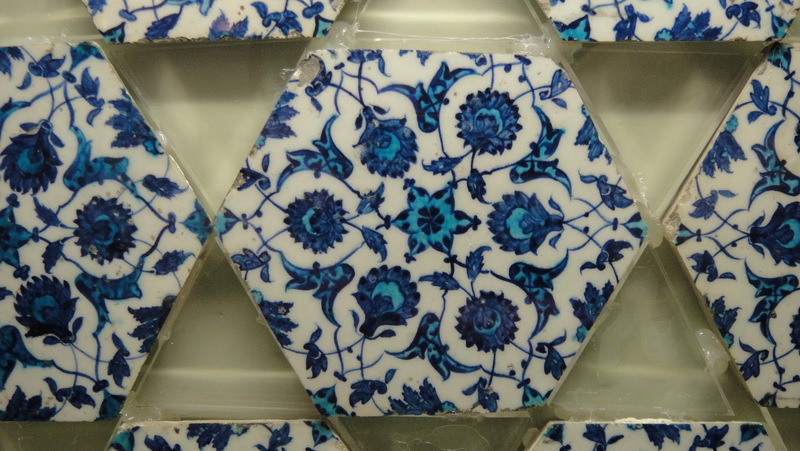 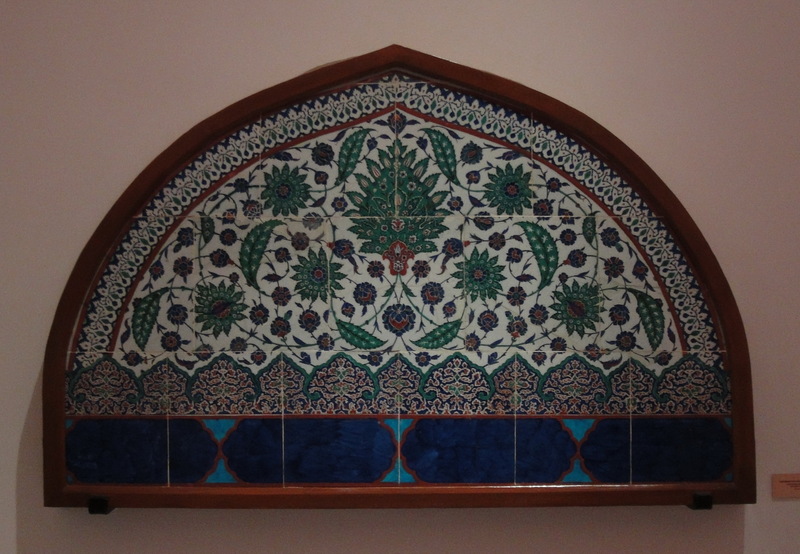 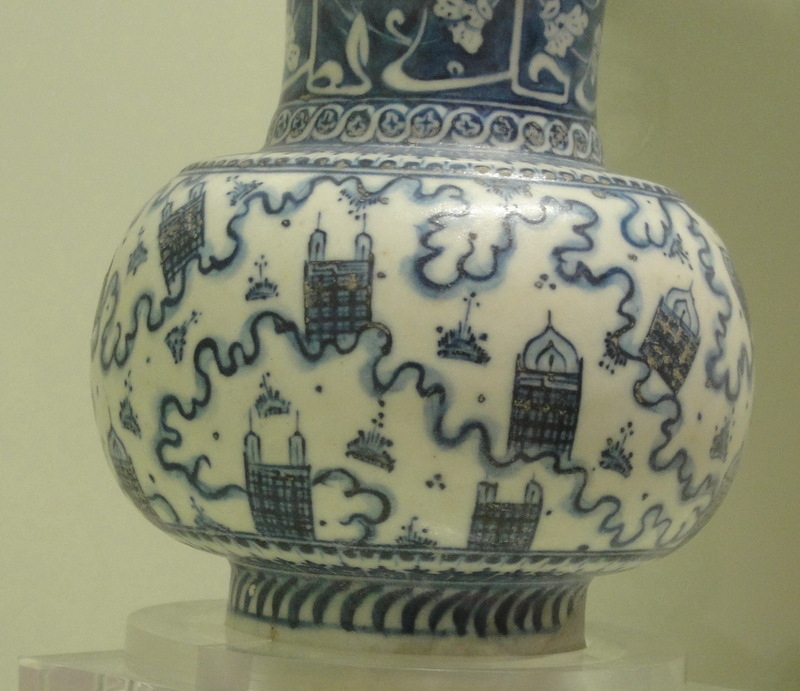 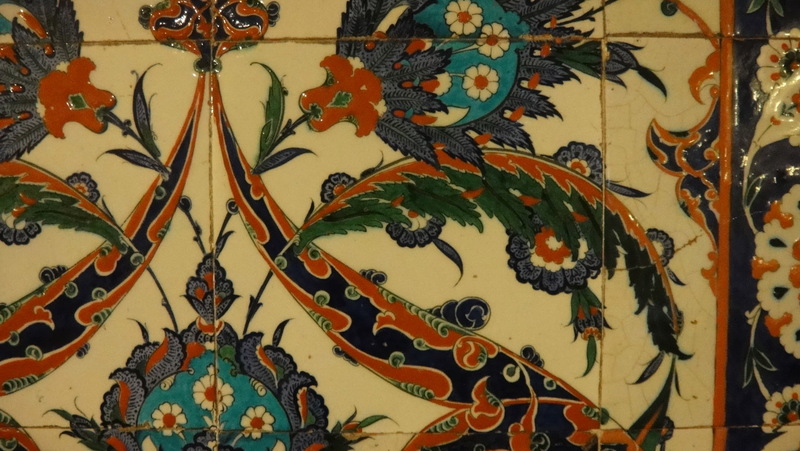 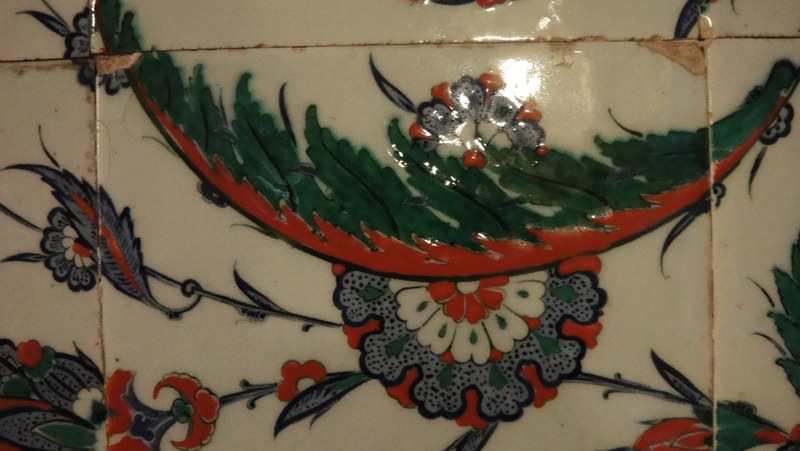 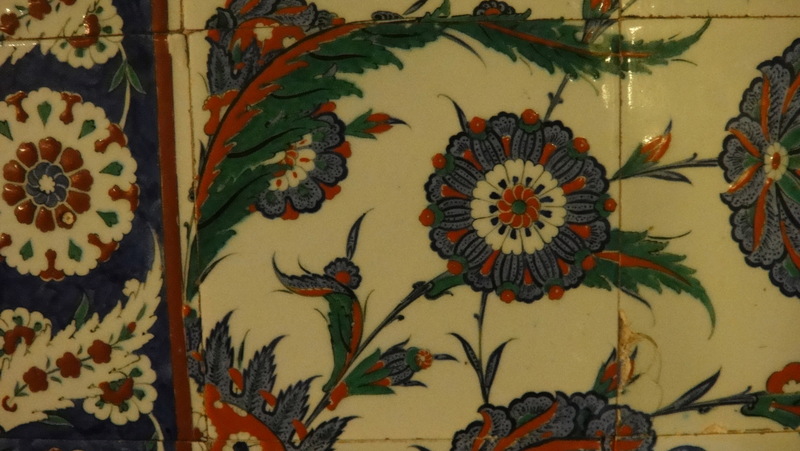 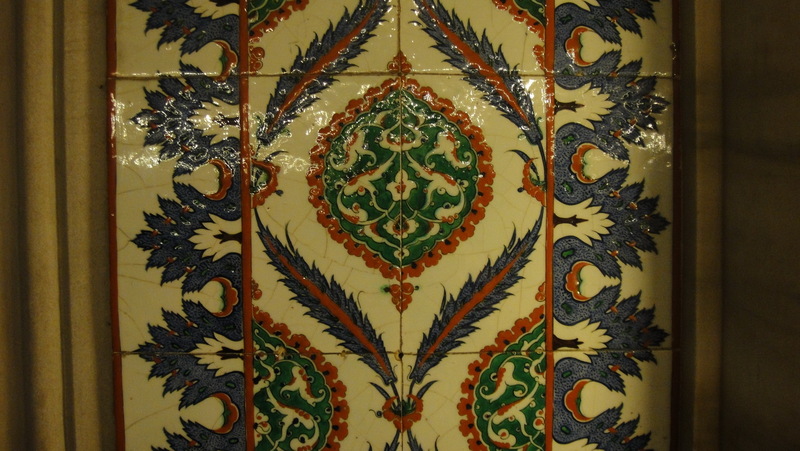 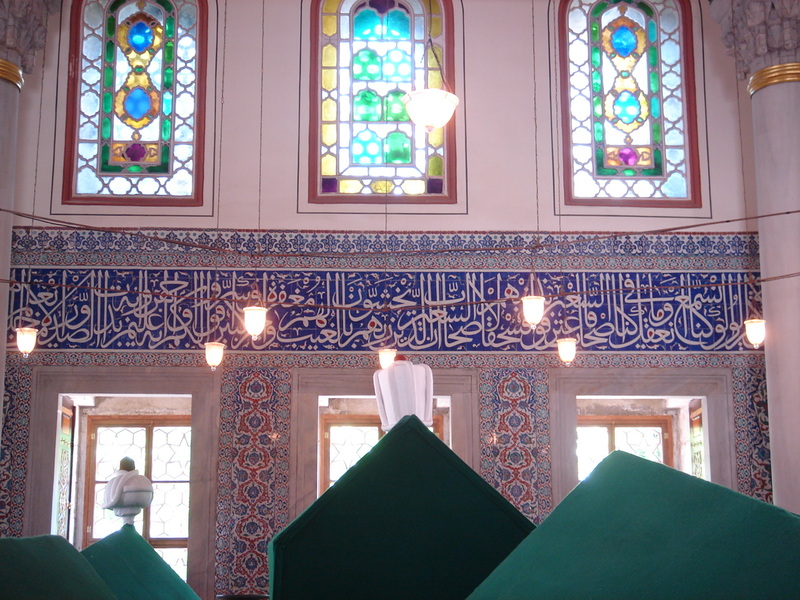 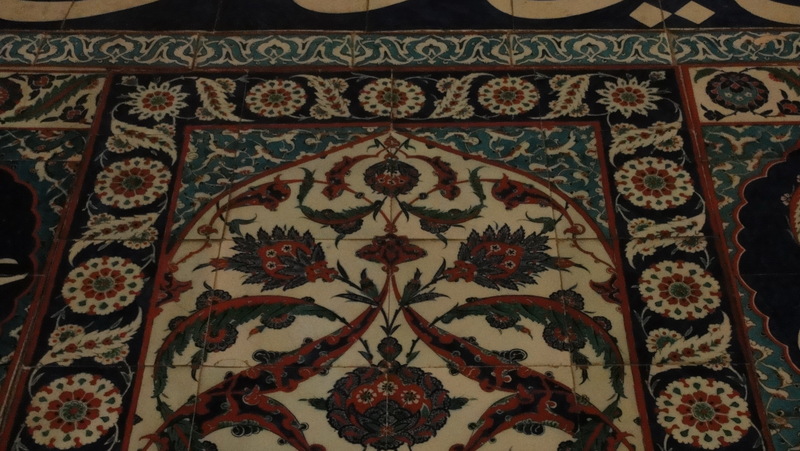 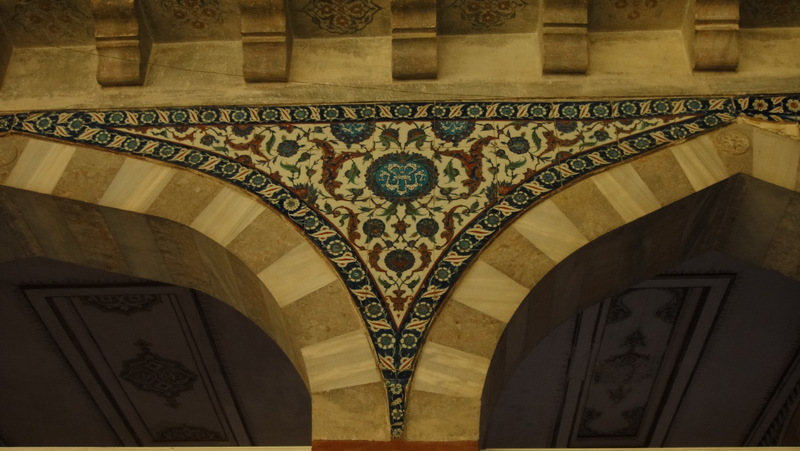 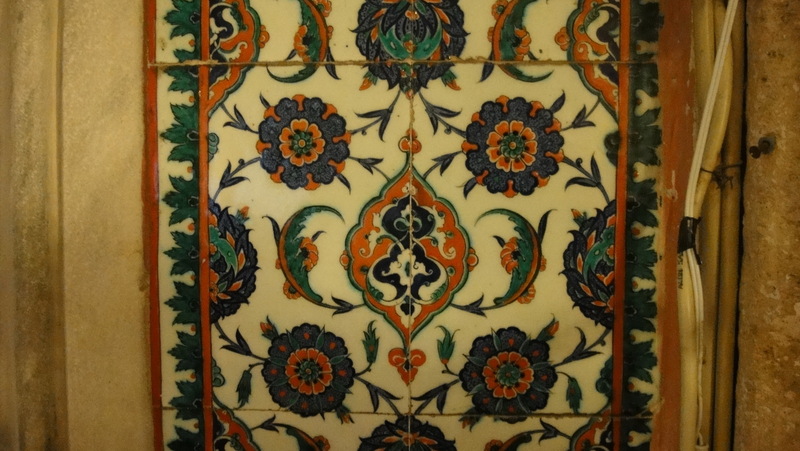 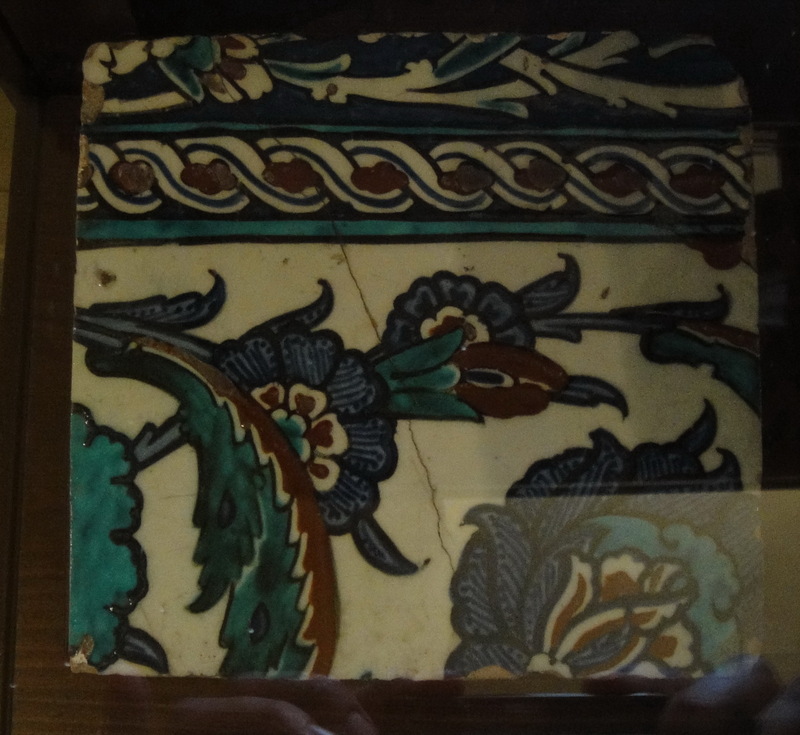 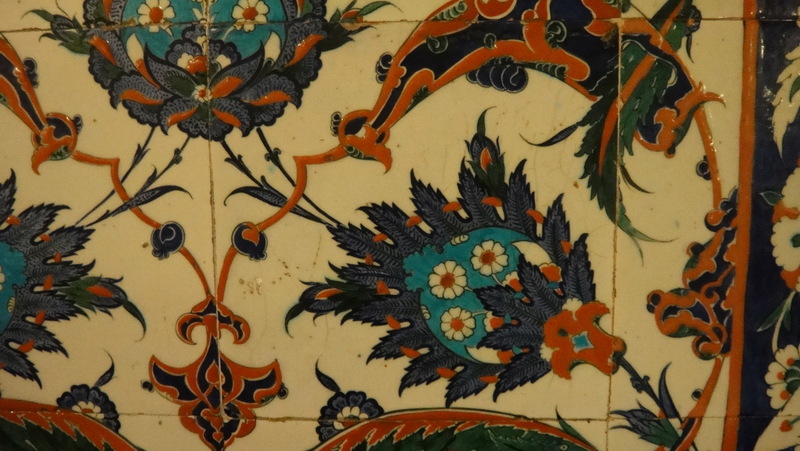 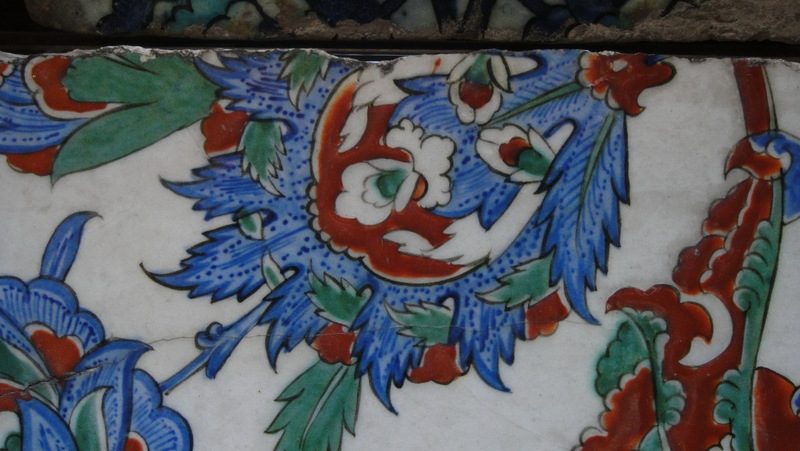 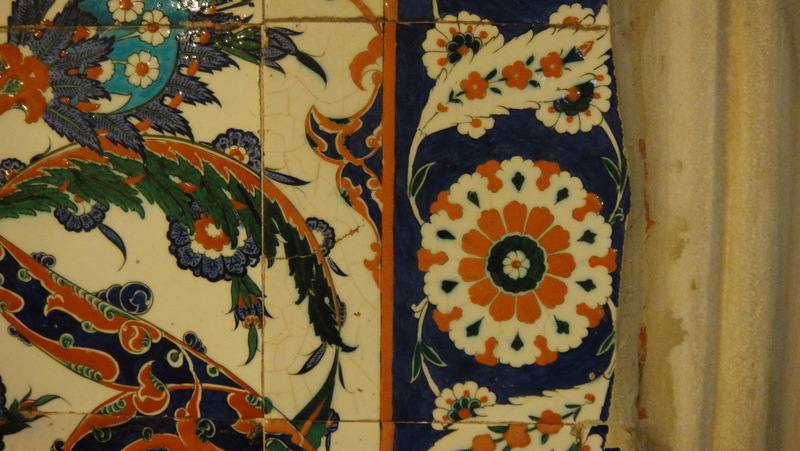 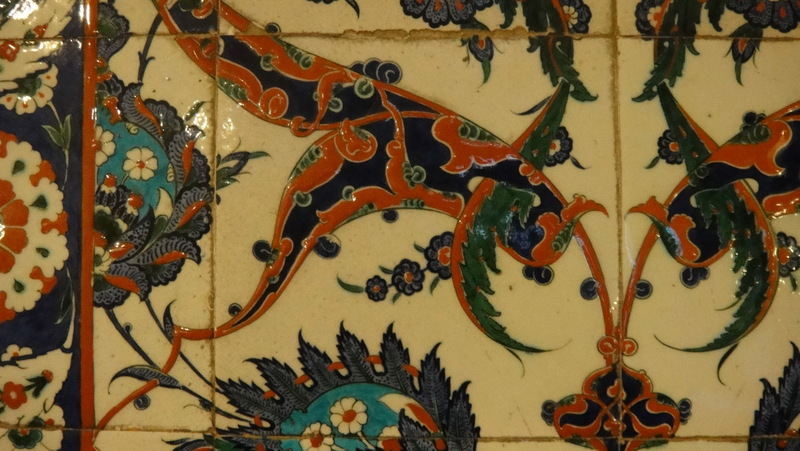 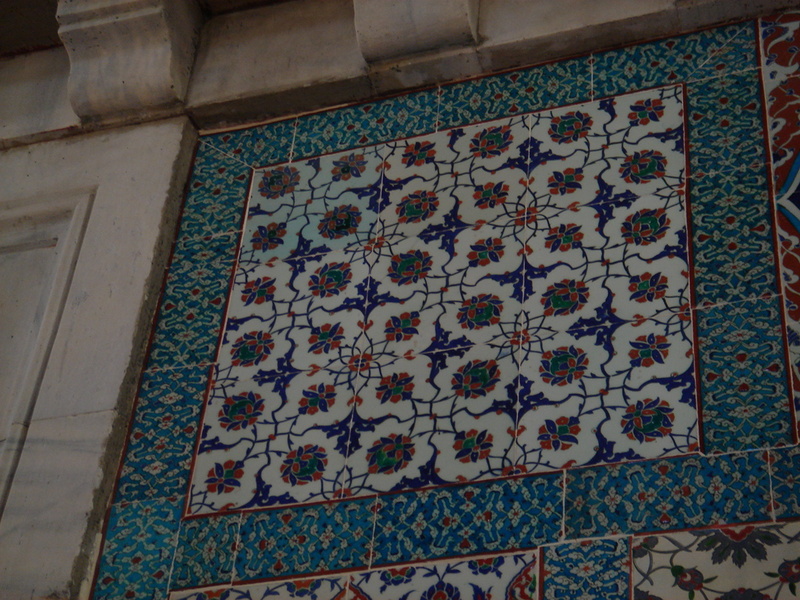 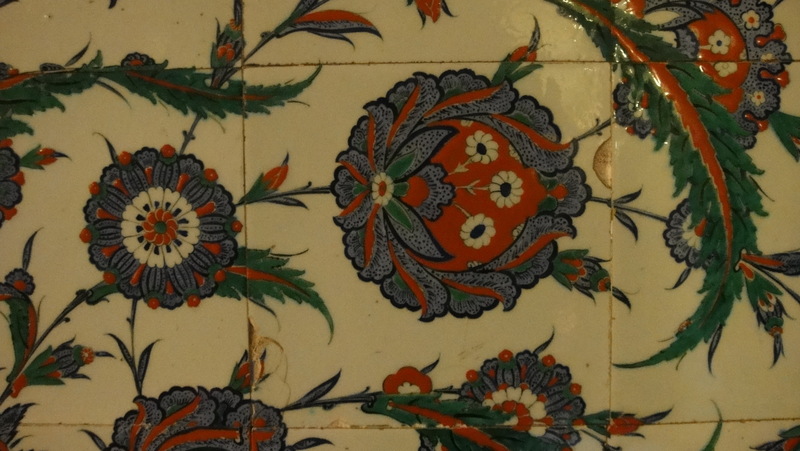 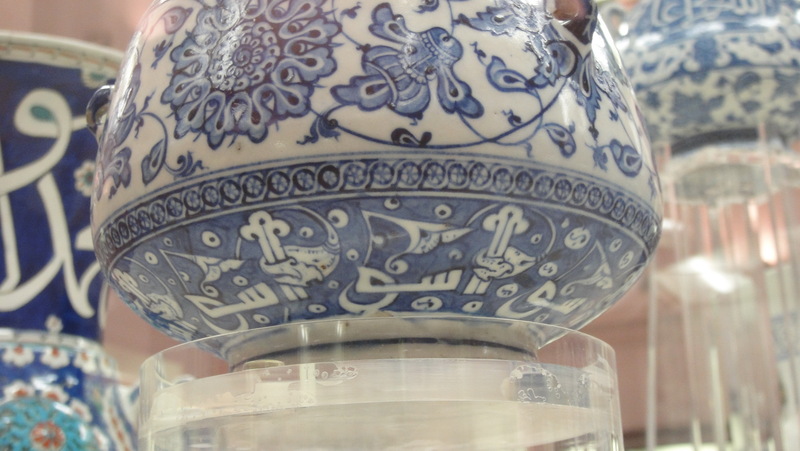 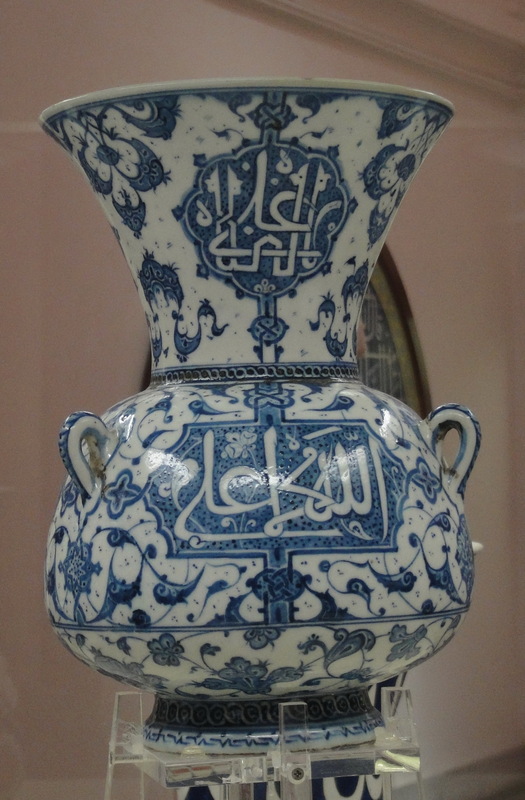 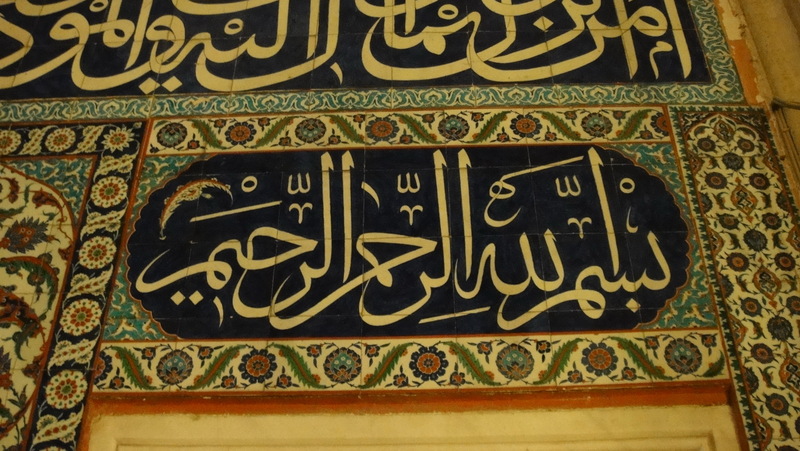 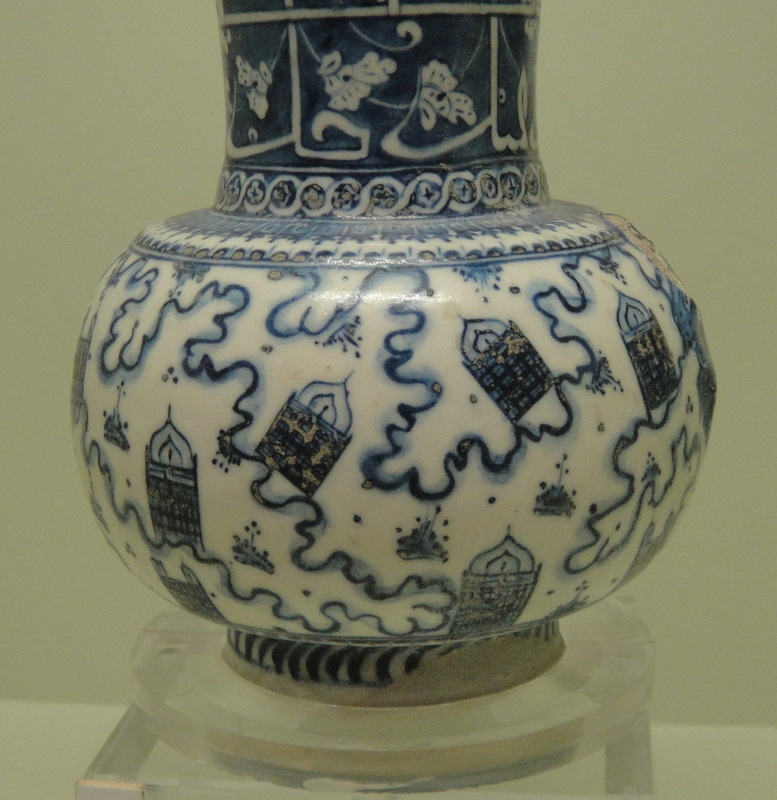 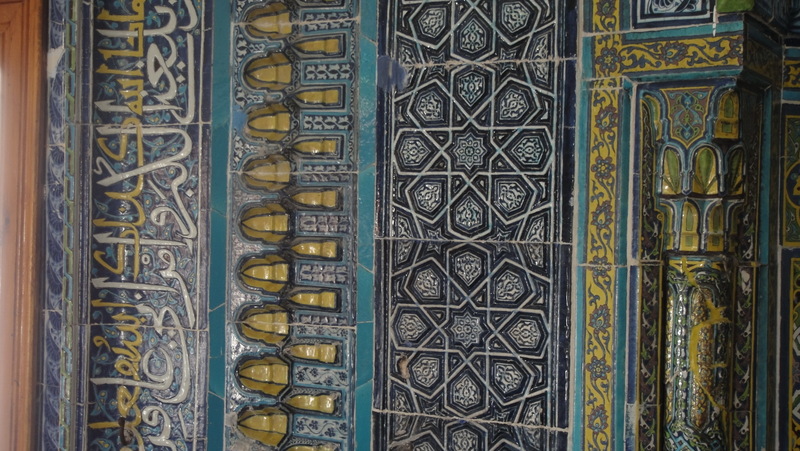 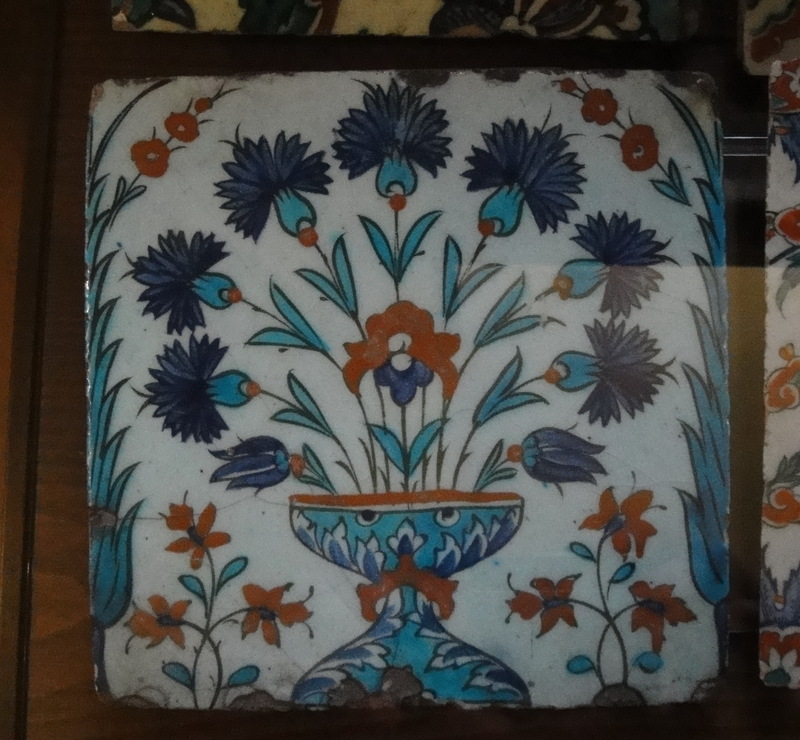 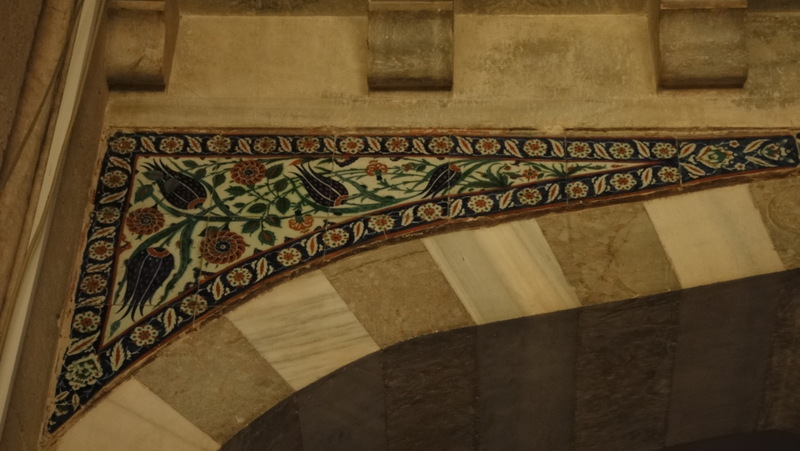 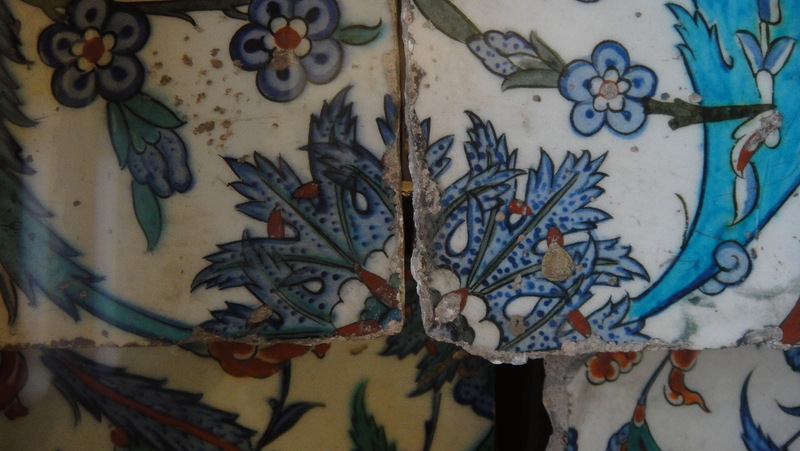 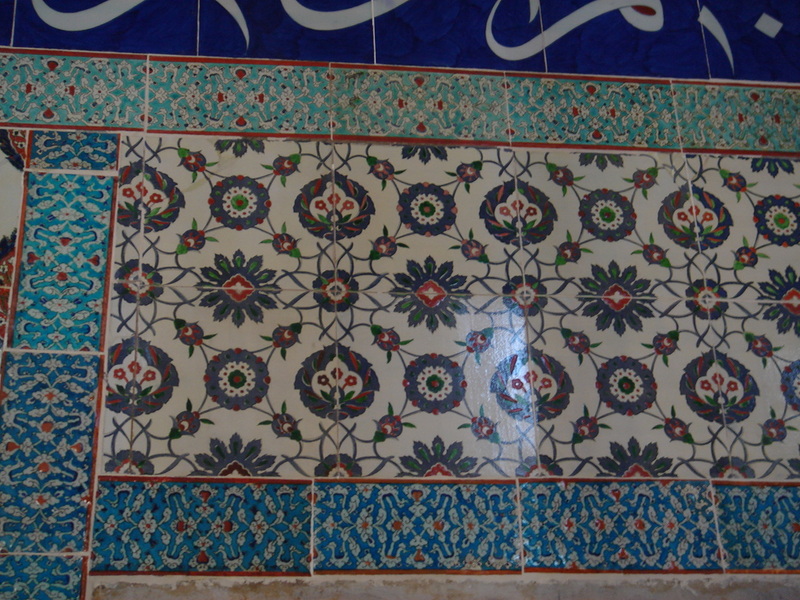 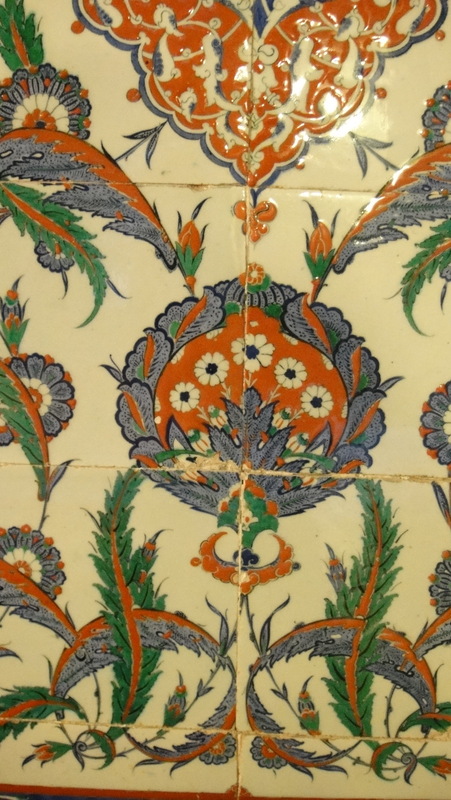 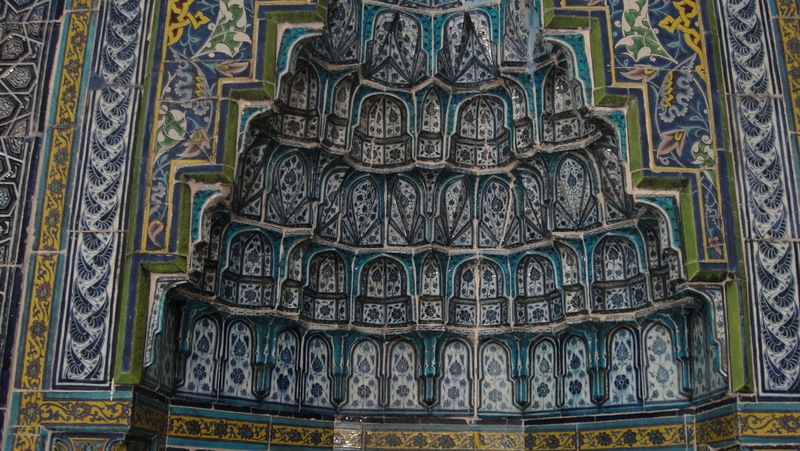 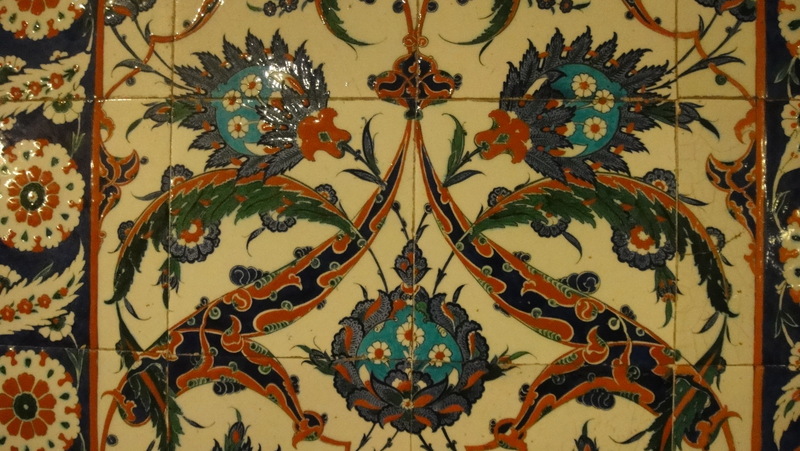 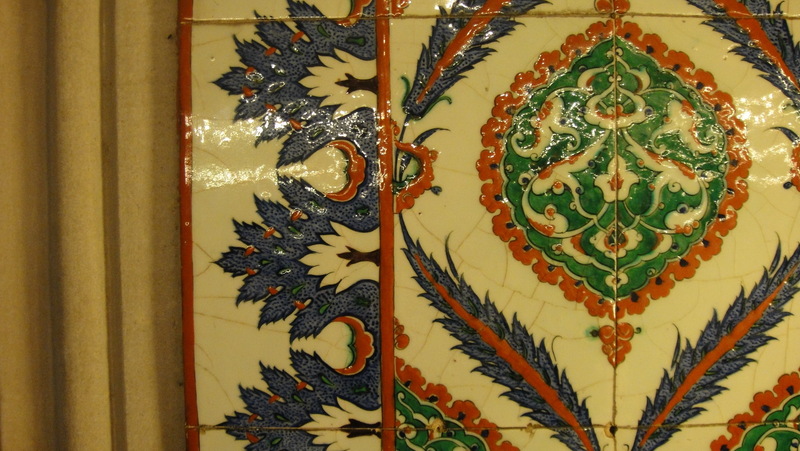 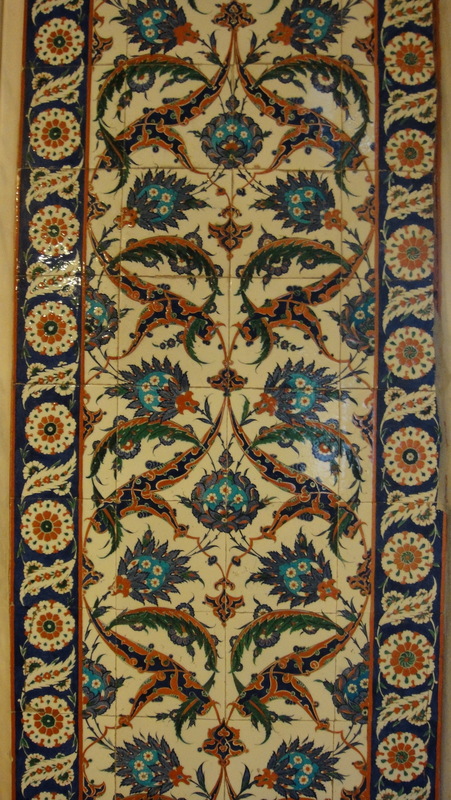 So, you have spent two days looking at the modern experiments and then stumble onto a couple shards from the Topkapi – perhaps late 16th century – and you are stunned by the color, the precision, the quality of painting. 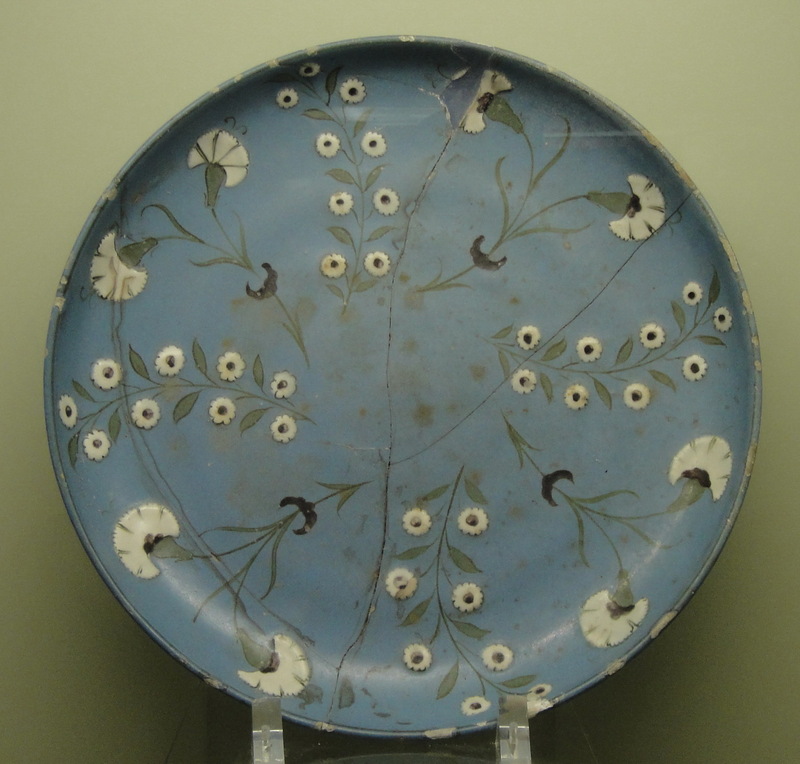 The artists of the past were very special people – says one of the modern day artists. 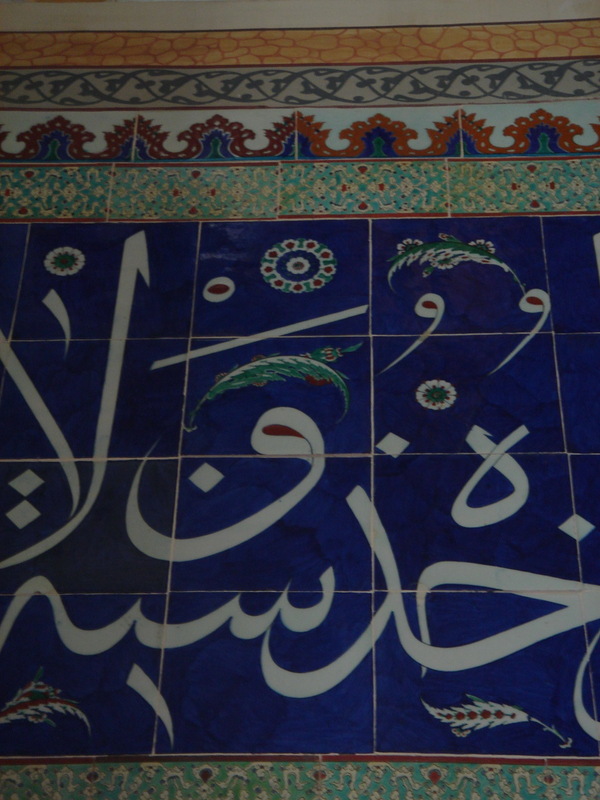 They were… – he looks for a word – inspired, he says. 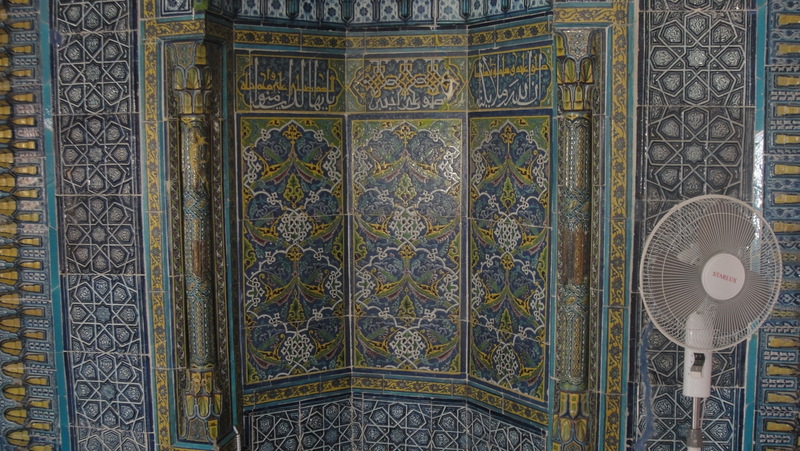 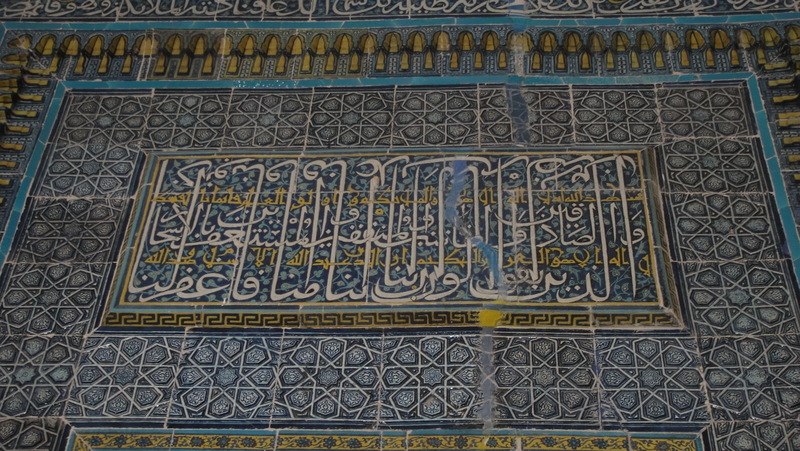 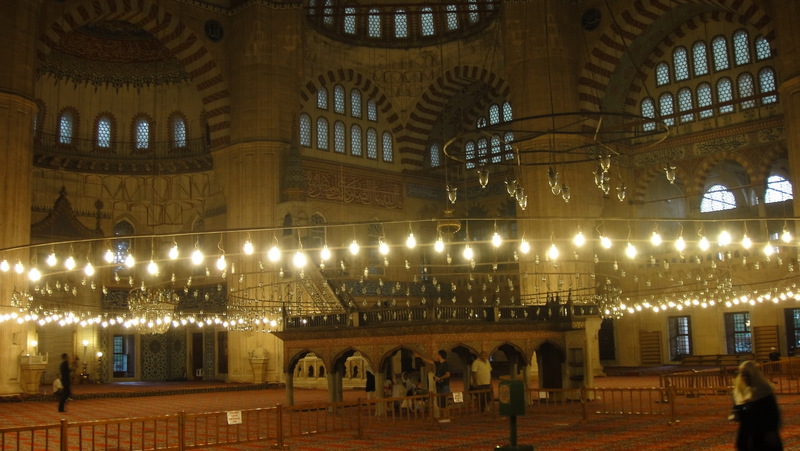 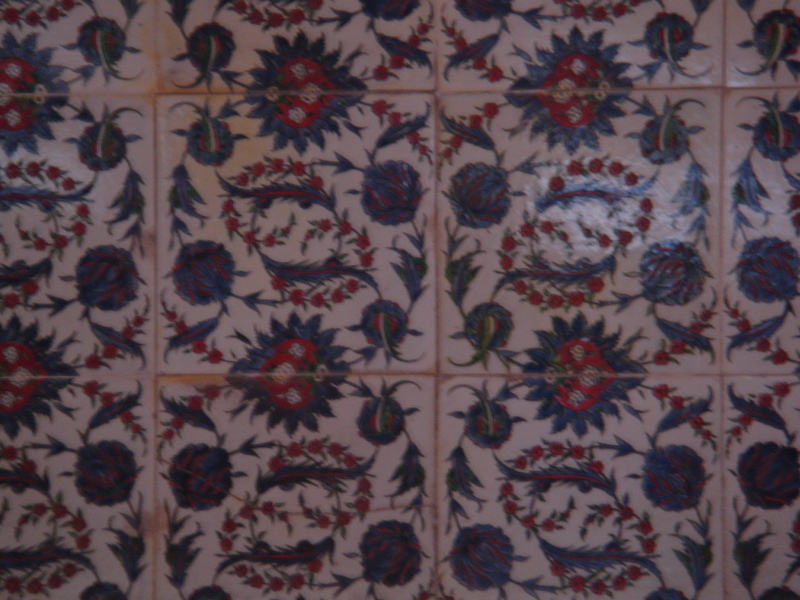 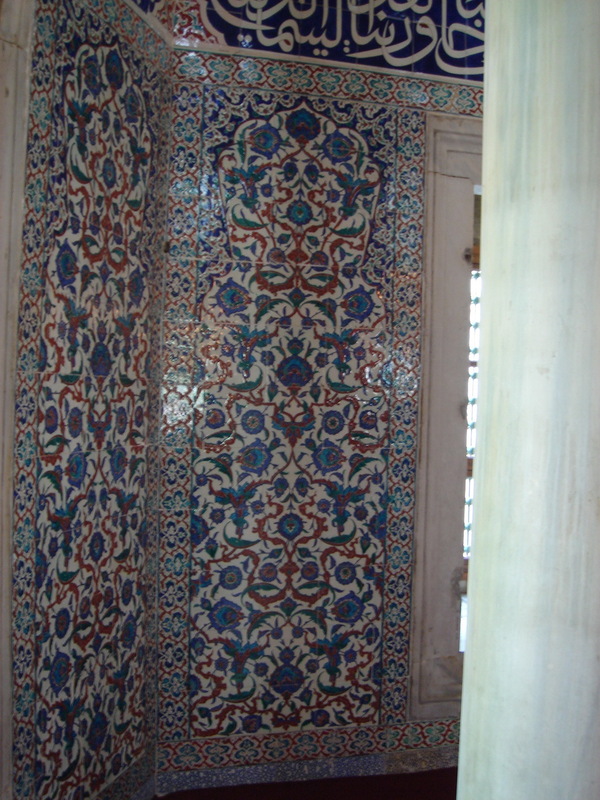 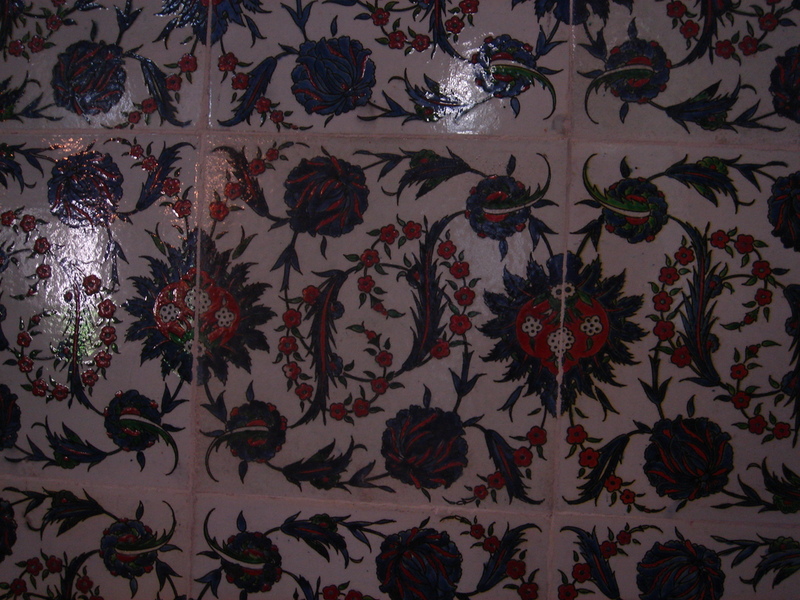 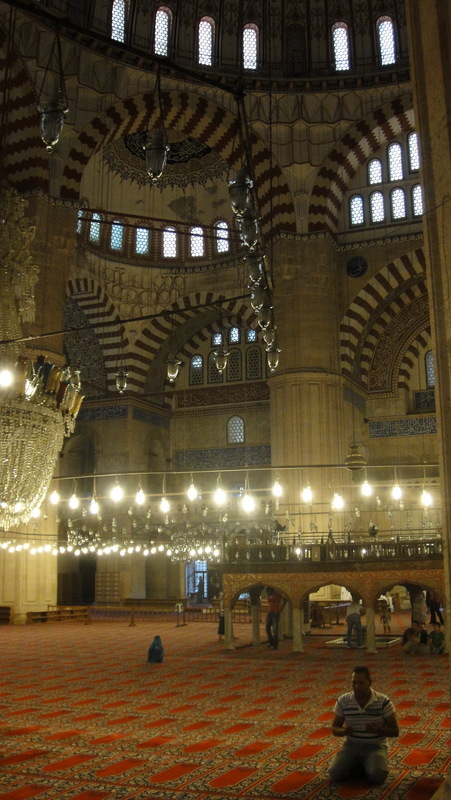 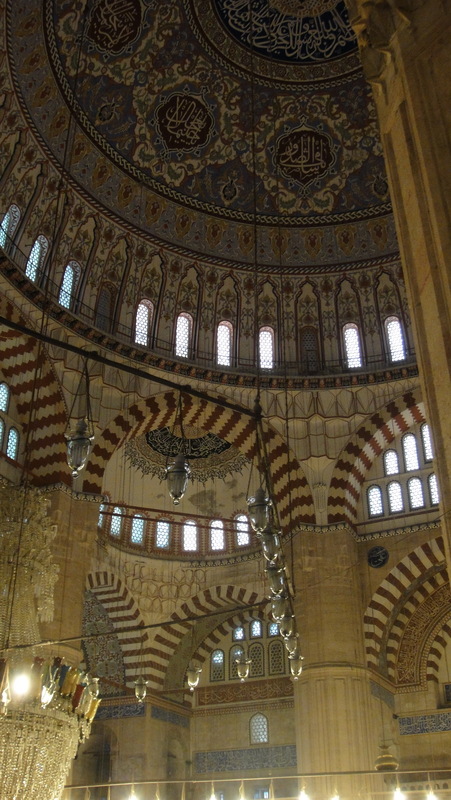 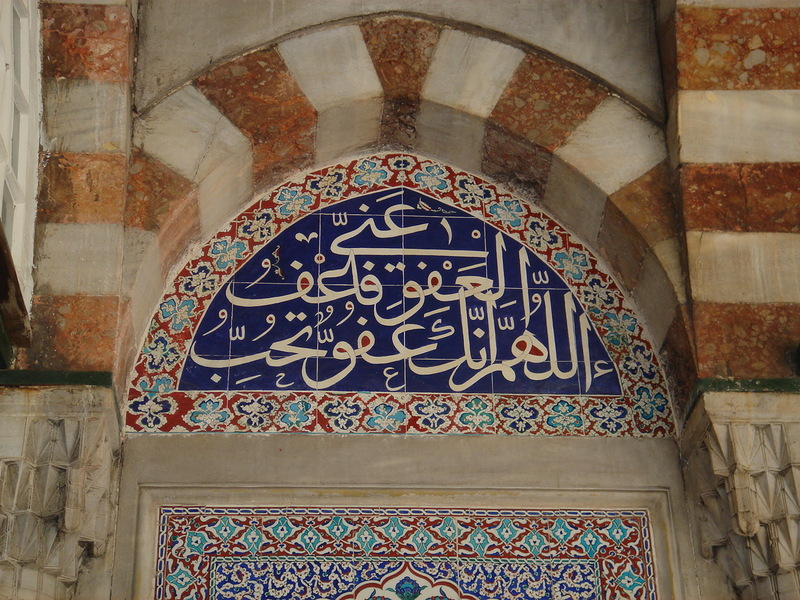 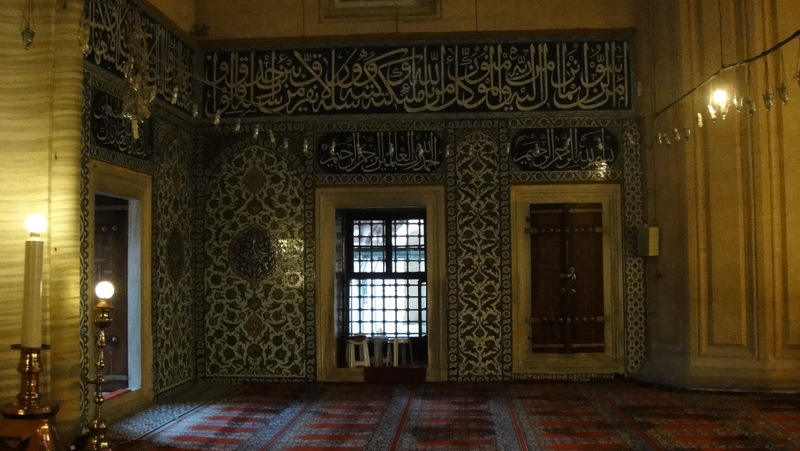 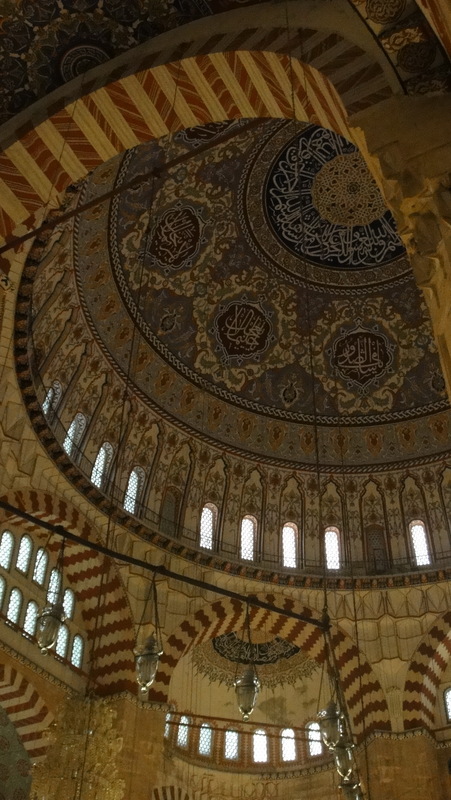 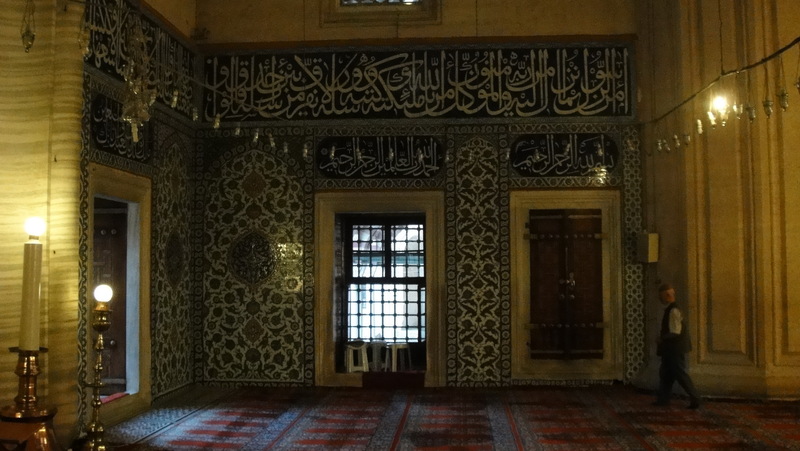 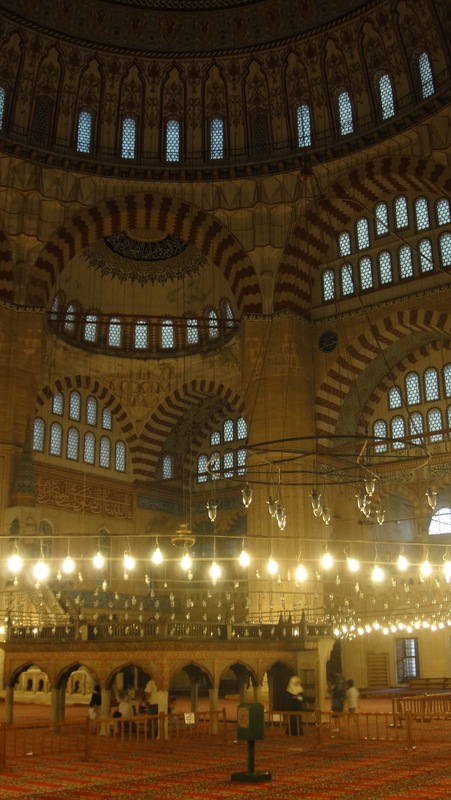 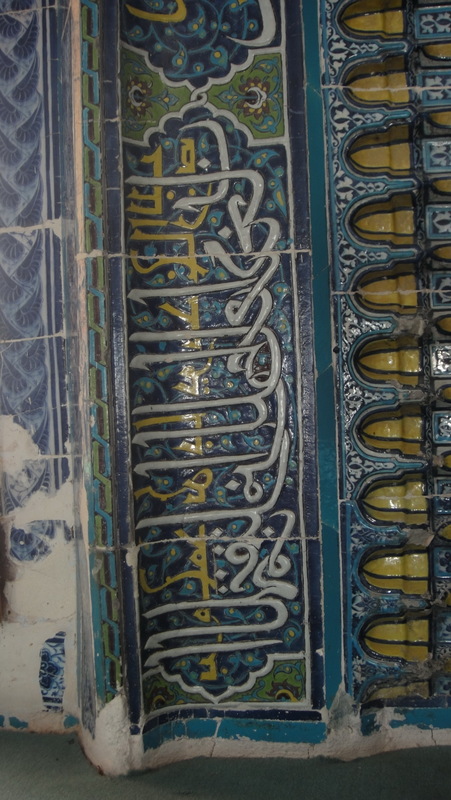 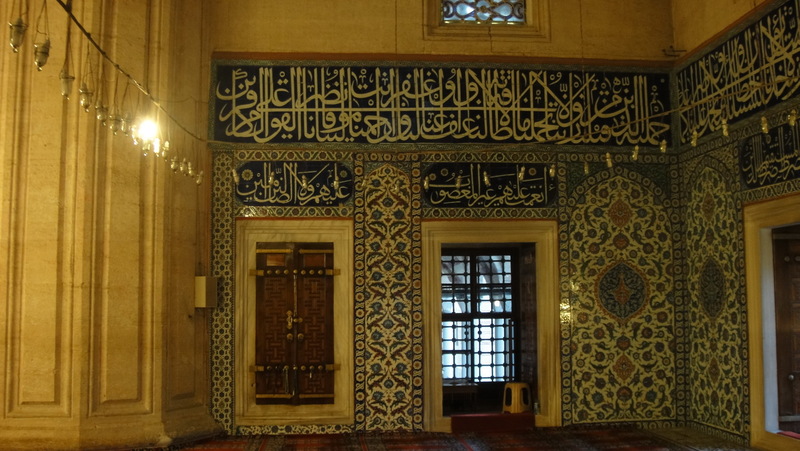 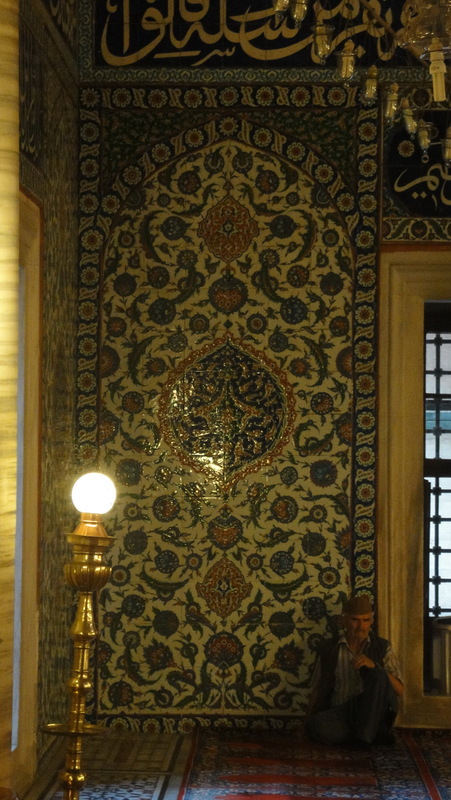 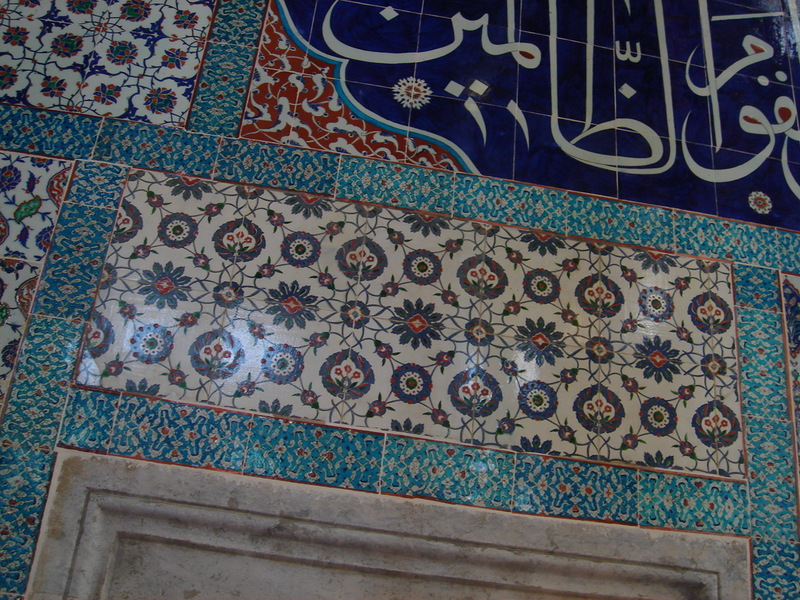 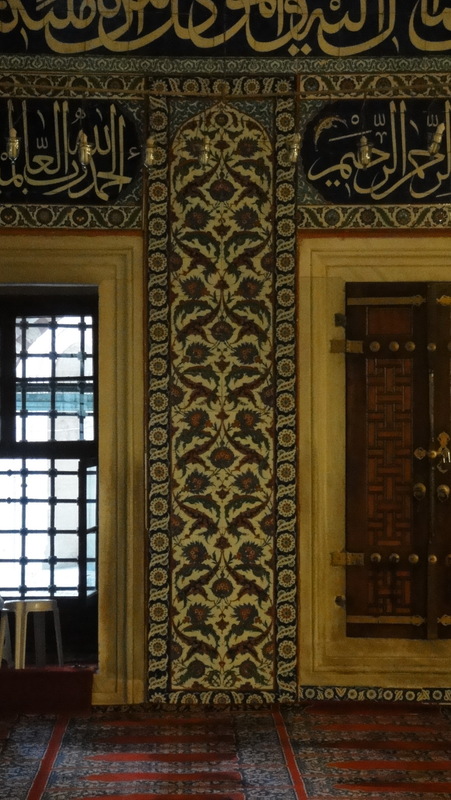 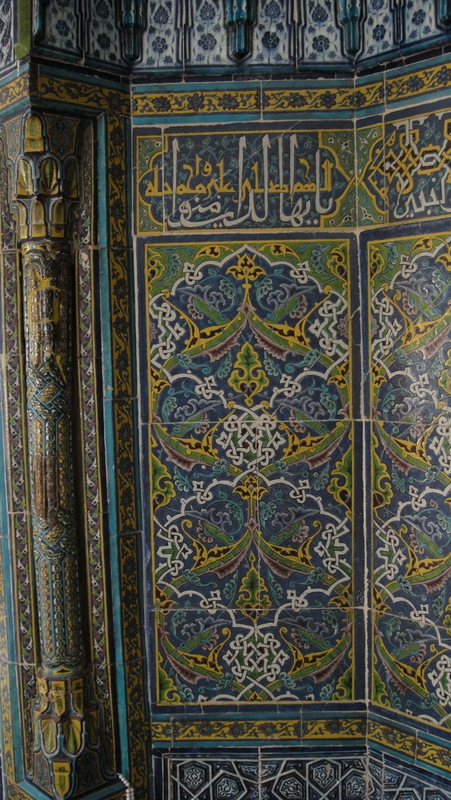 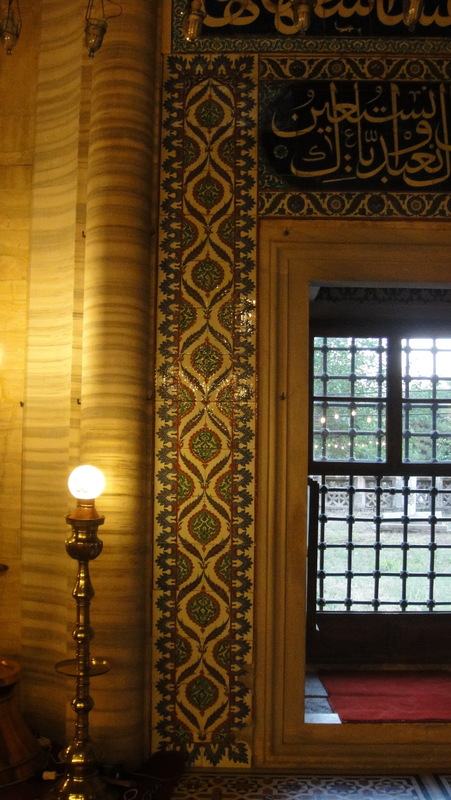 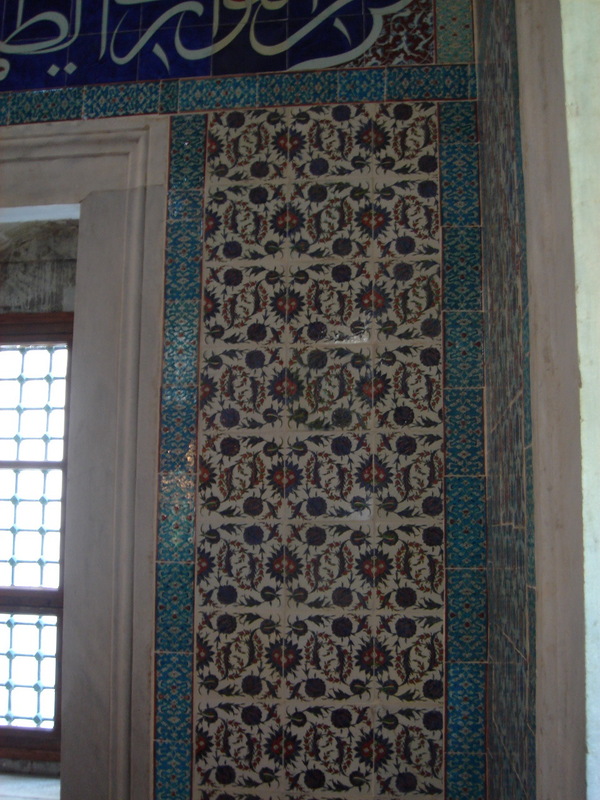 And since 3dmekanlar has done such a superb job photographing the interior, I’ll limit this post to a few tile shots.